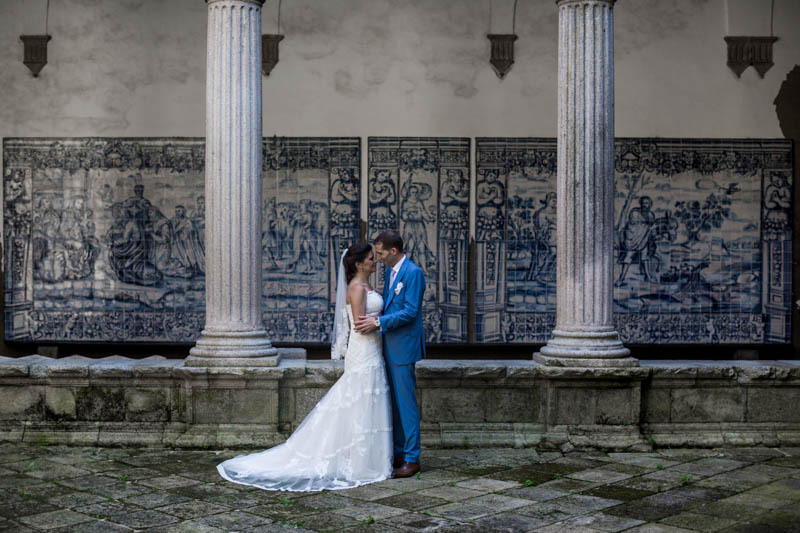 Last summer I had the great opportunity to shoot my first destination wedding in Portugal with Carolina & David, a cute half-French half-Portuguese couple. 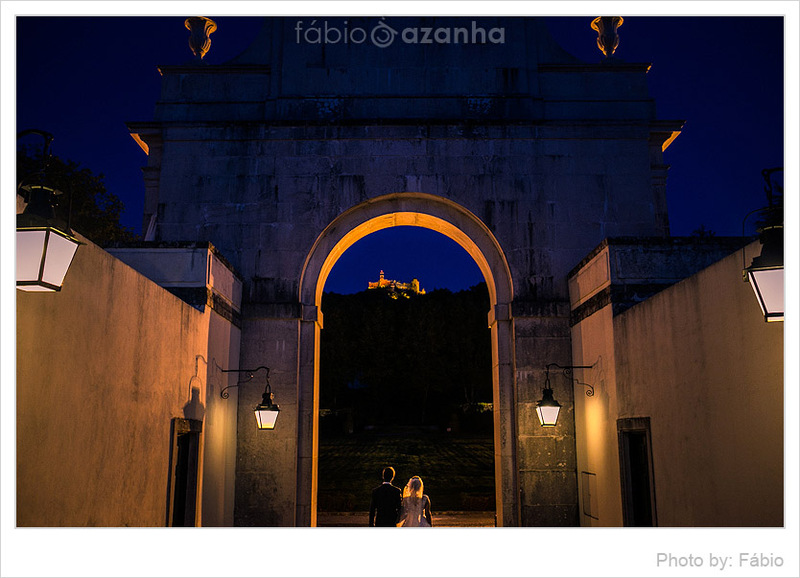 Since I wanted to make the most of it, we met in Porto the day before their wedding so we could shoot an engagement session in the Portuguese capital. 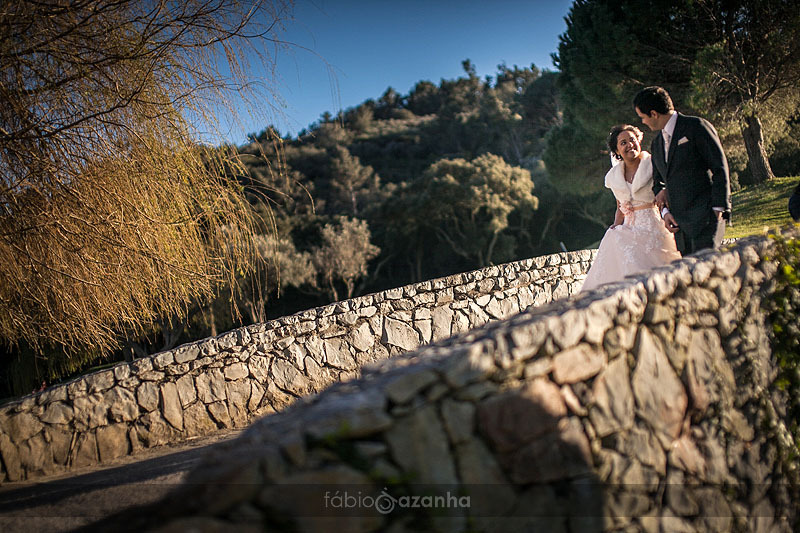 Our story started right there, on Gondarém beach, a beautiful white sand beach just outside Porto. 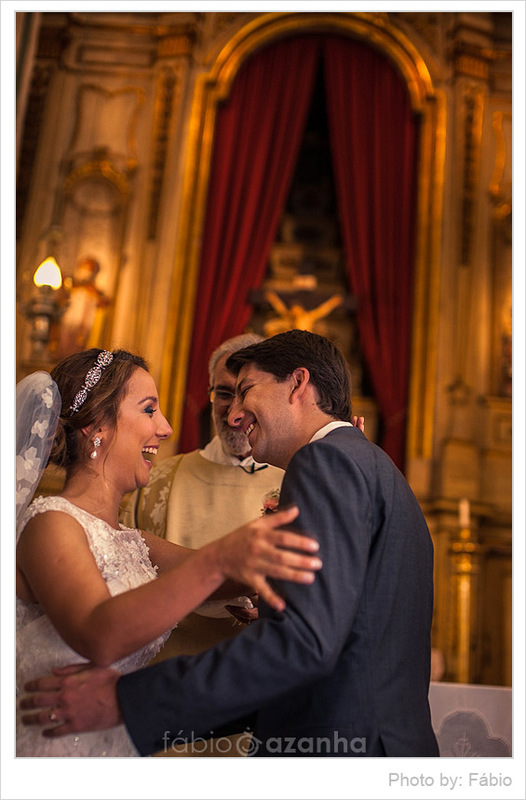 Carolina & David did not want to see each other before the ceremony at the church. 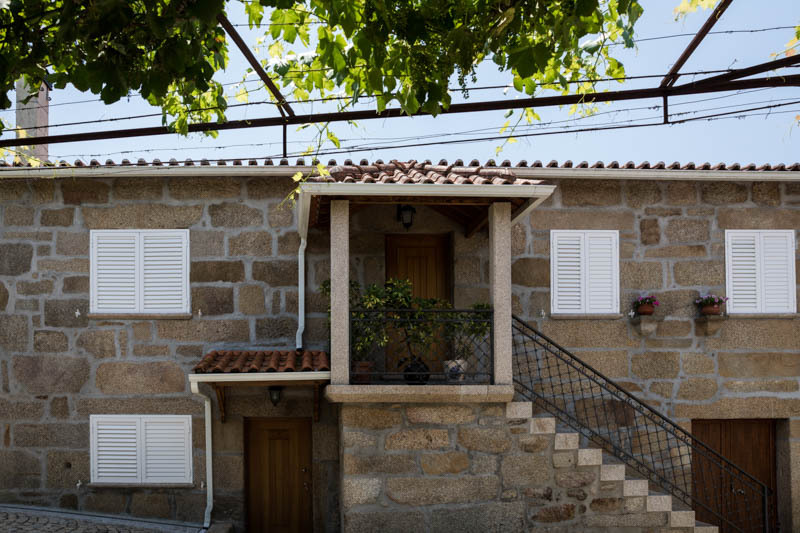 So they got ready in separate houses located next to each other. 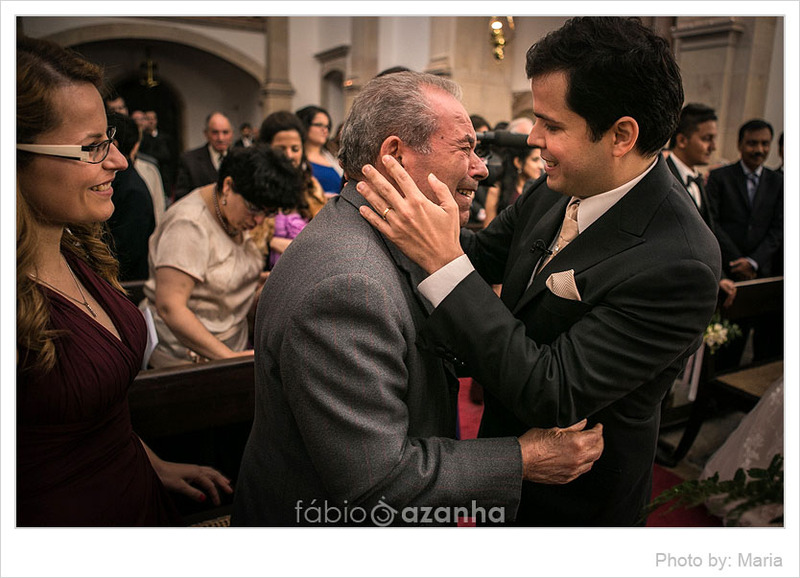 David was helped by his mom, and I could tell she was very emotional about the wedding. 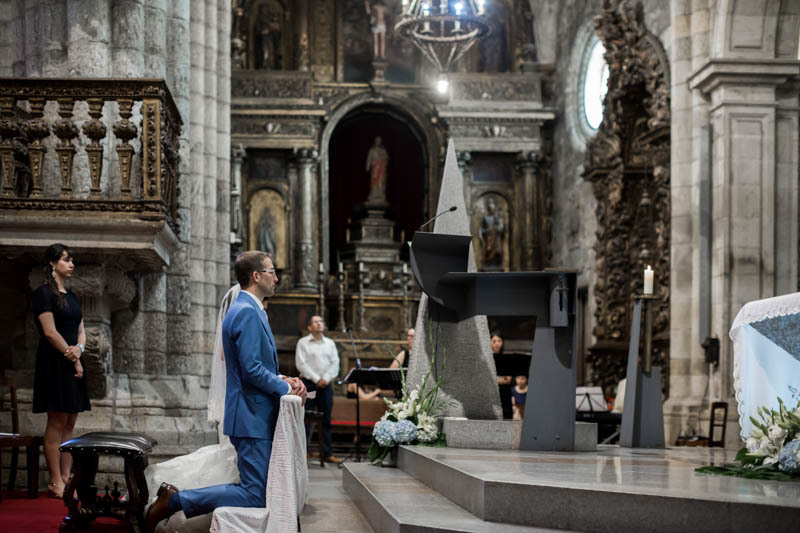 At one point David took a letter out of an envelope and started reading it. 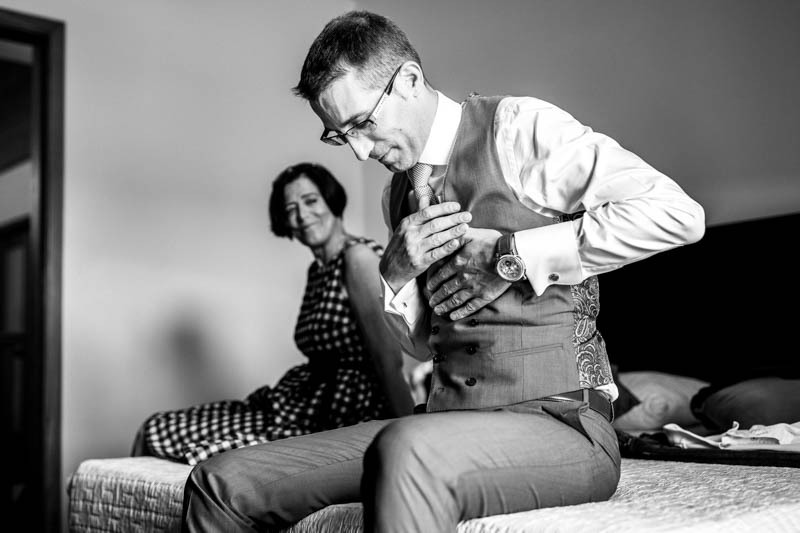 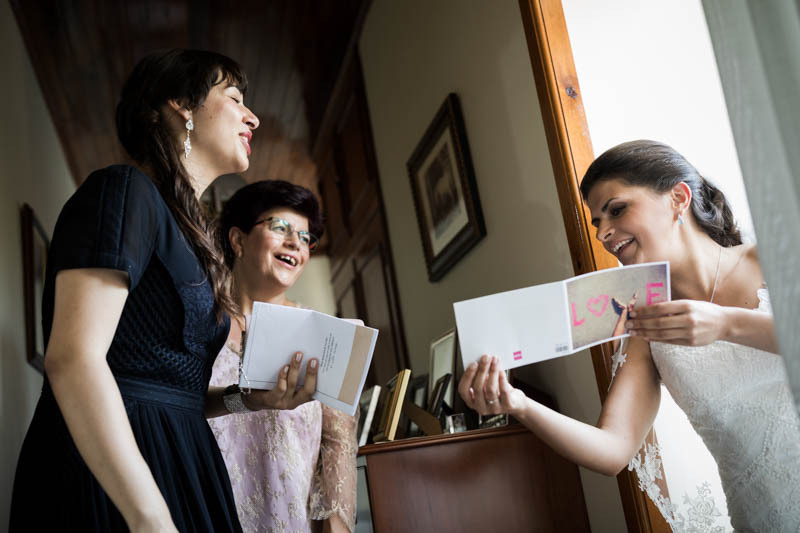 The couple had this brilliant idea of exchanging letters on their wedding day, which they would read during the getting ready. 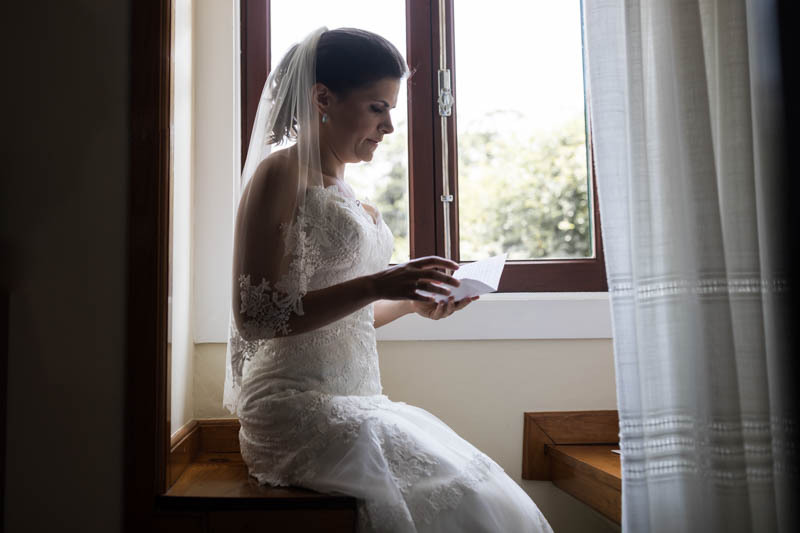 Carolina did read her letter too. 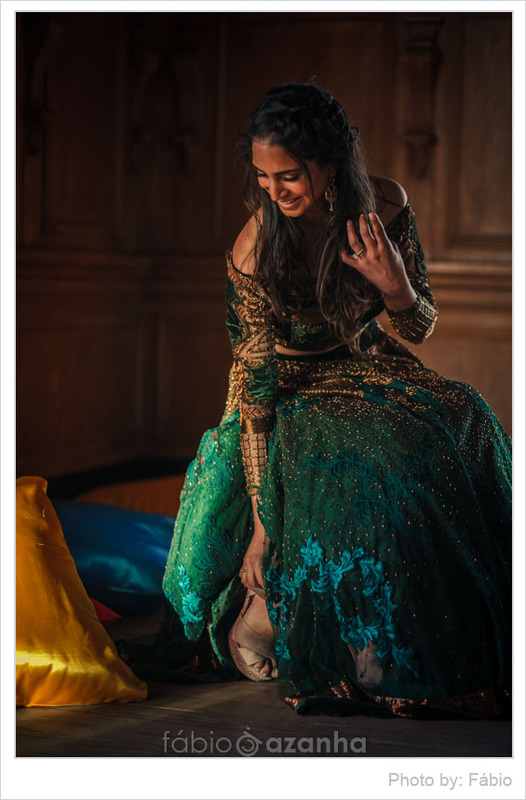 But to do so, she sat by the window behind a curtain. 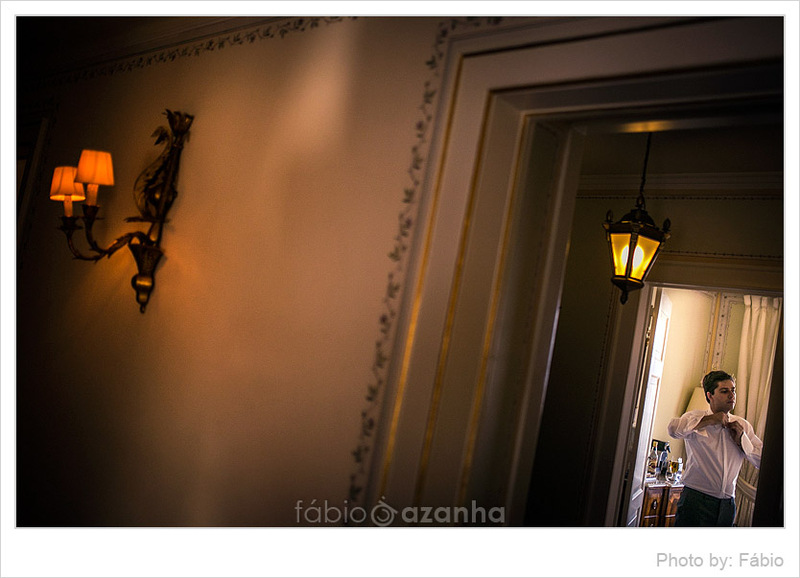 In the old times, this is exactly the place where the bride would wait for her husband-to-be to come by the window and shout his love for her. 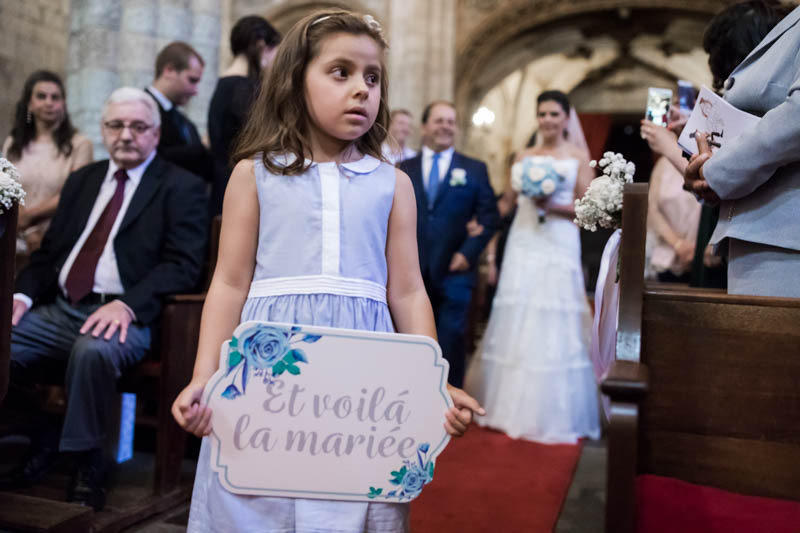 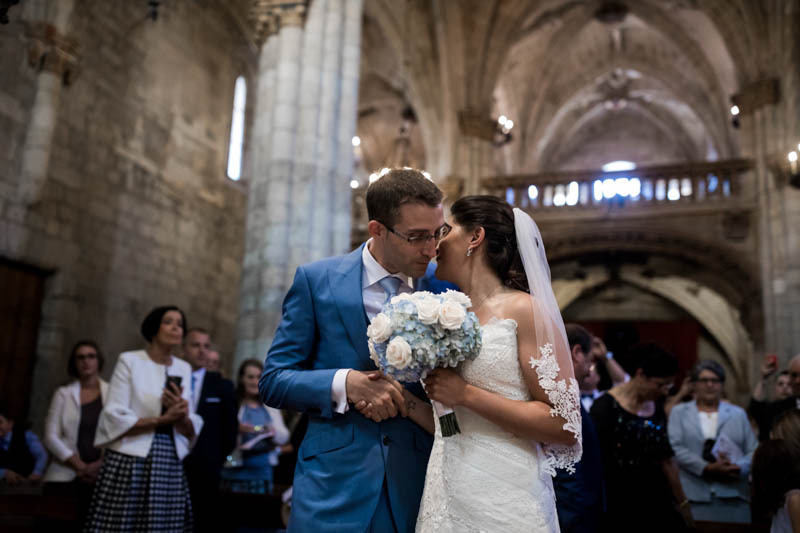 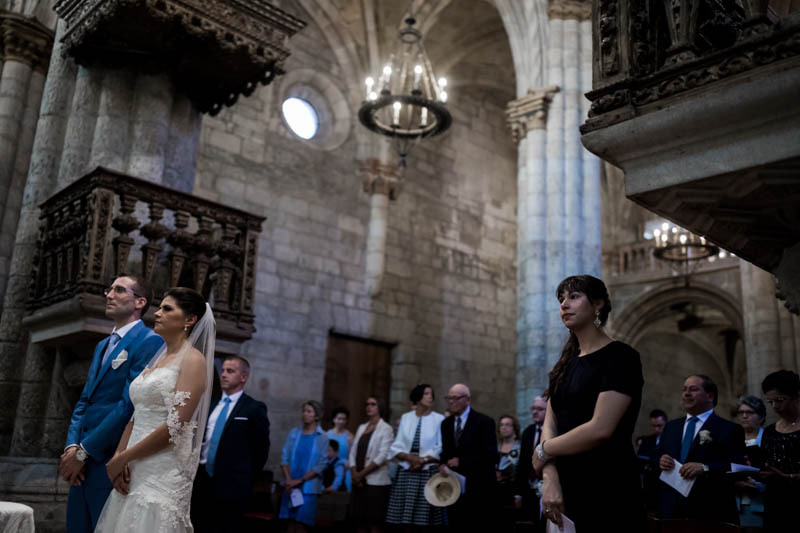 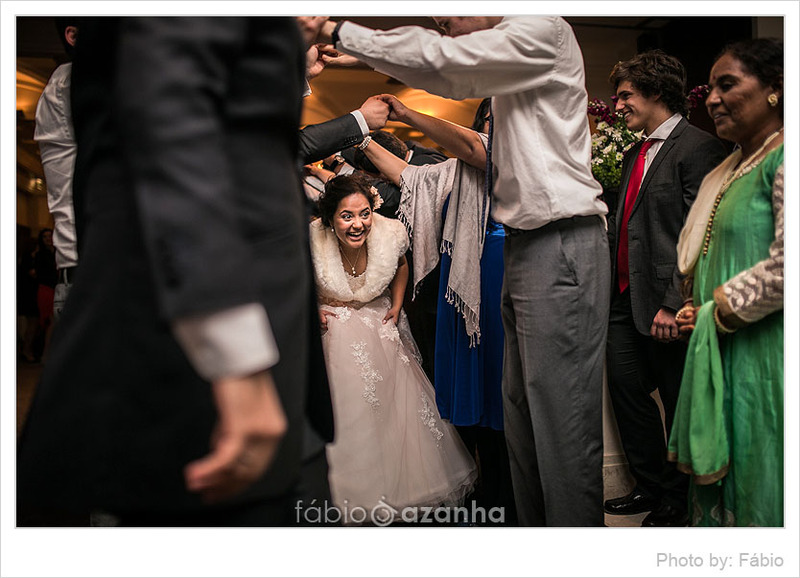 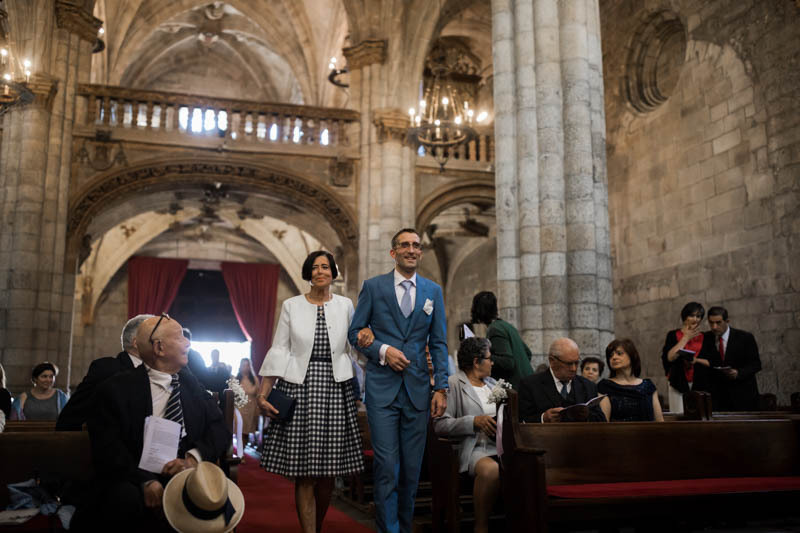 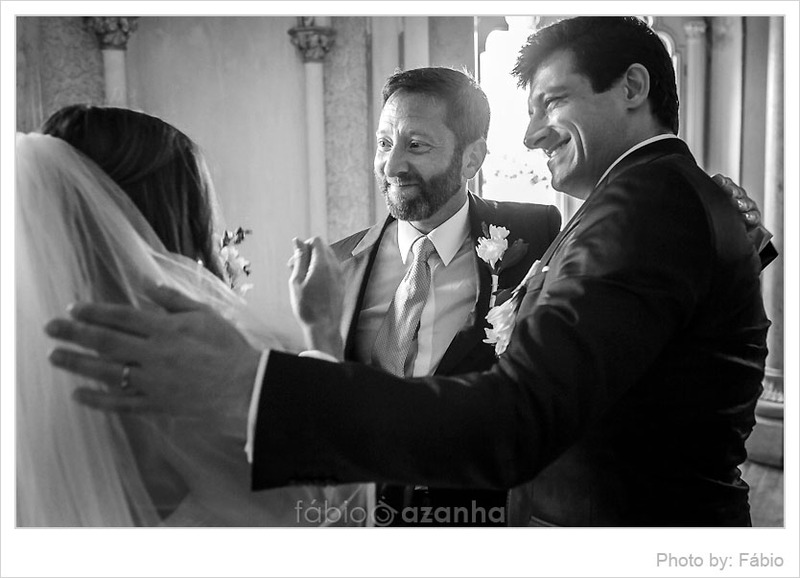 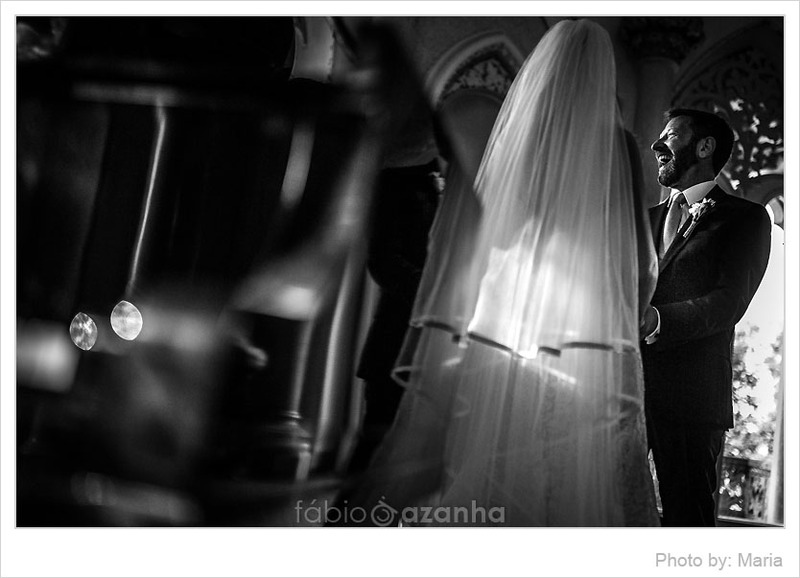 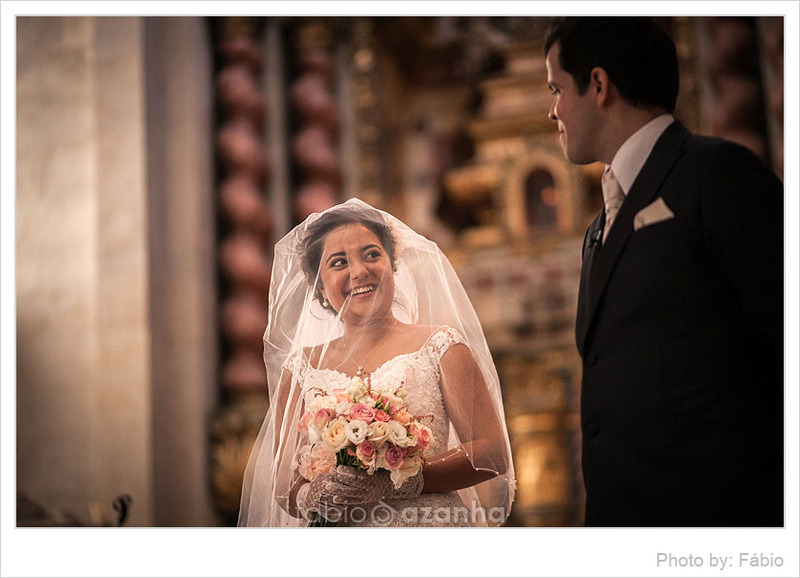 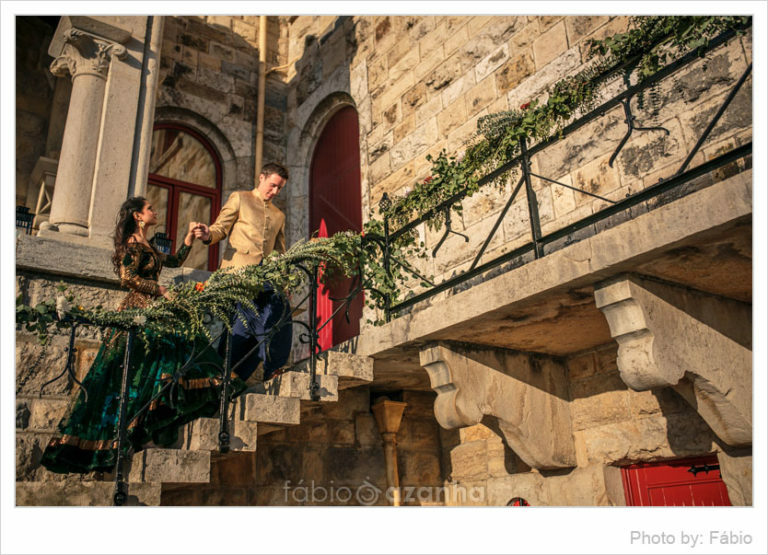 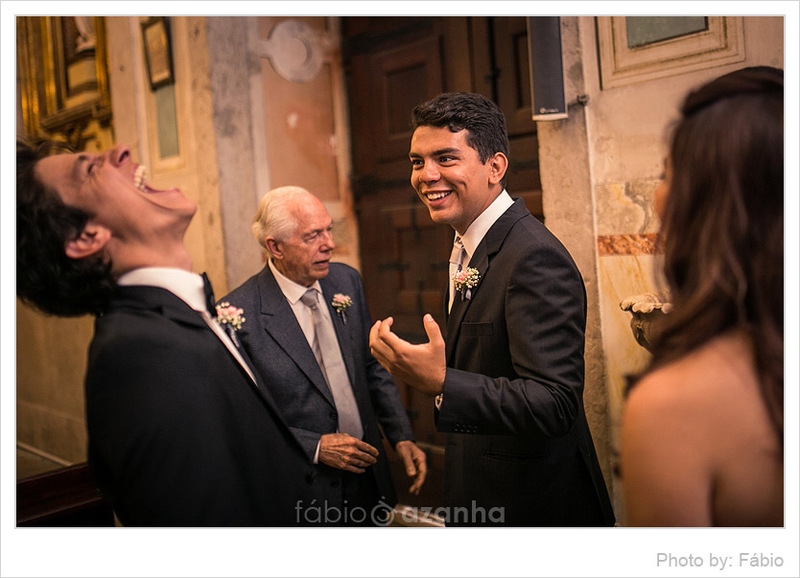 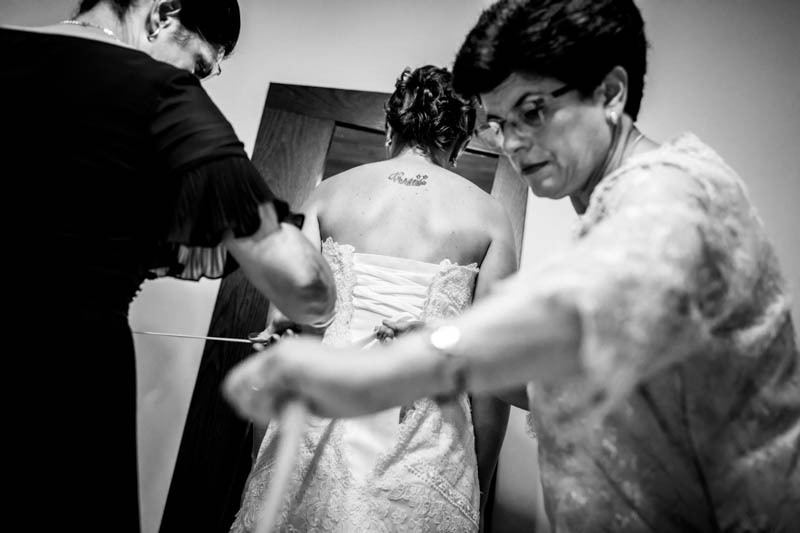 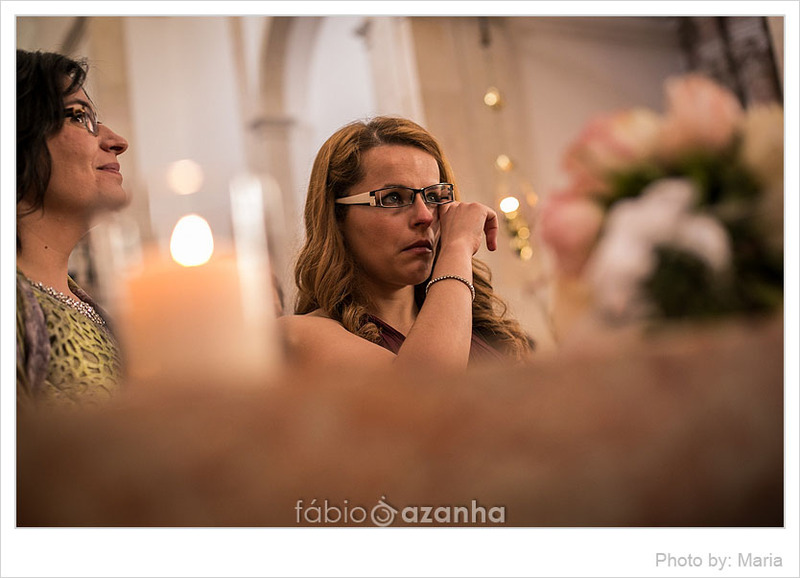 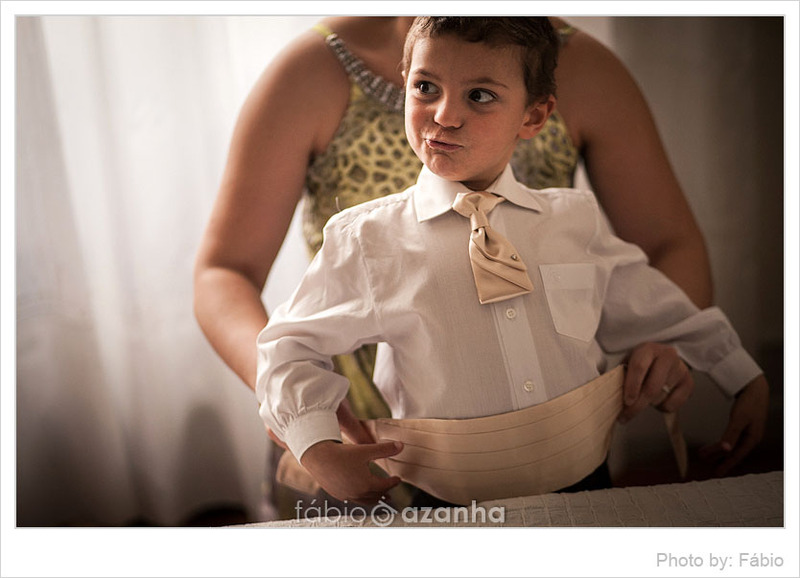 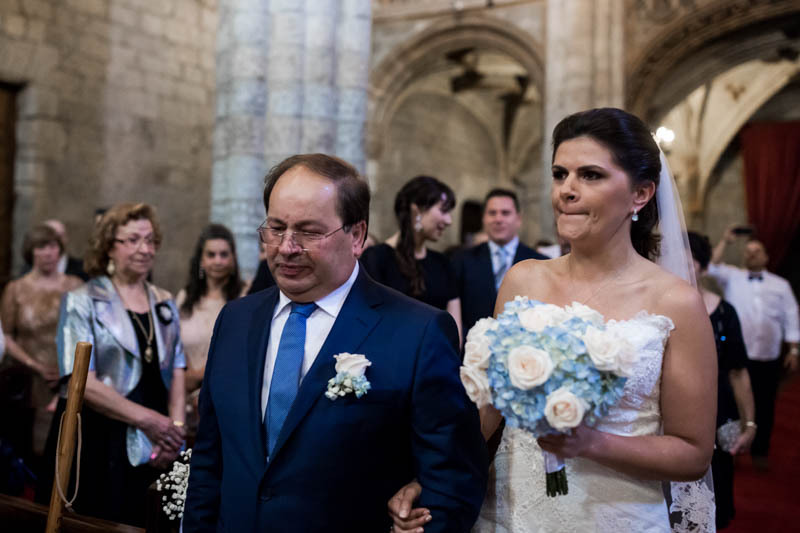 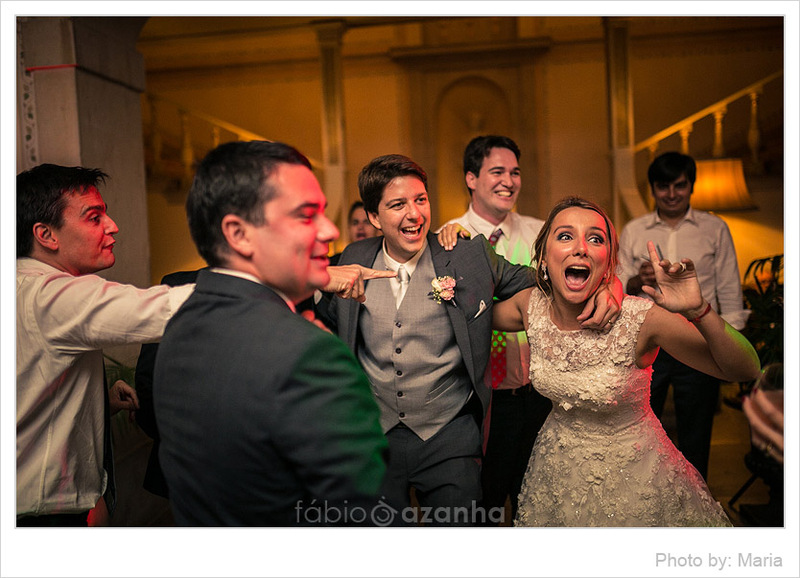 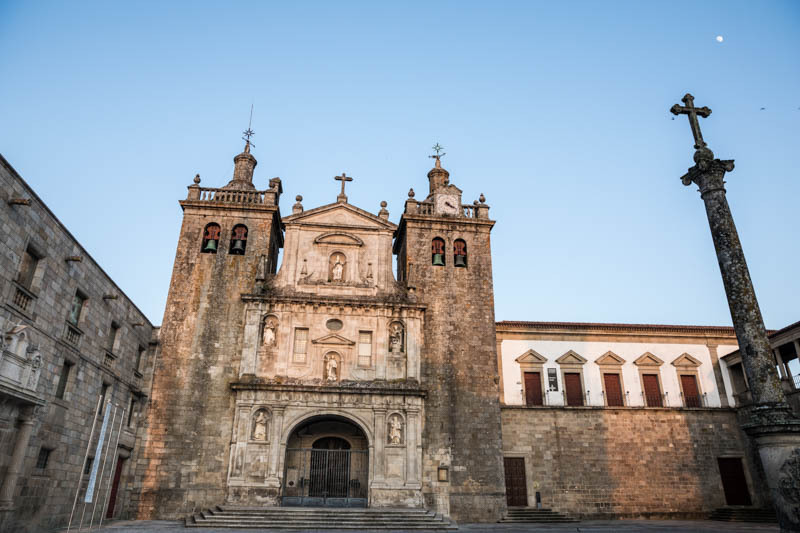 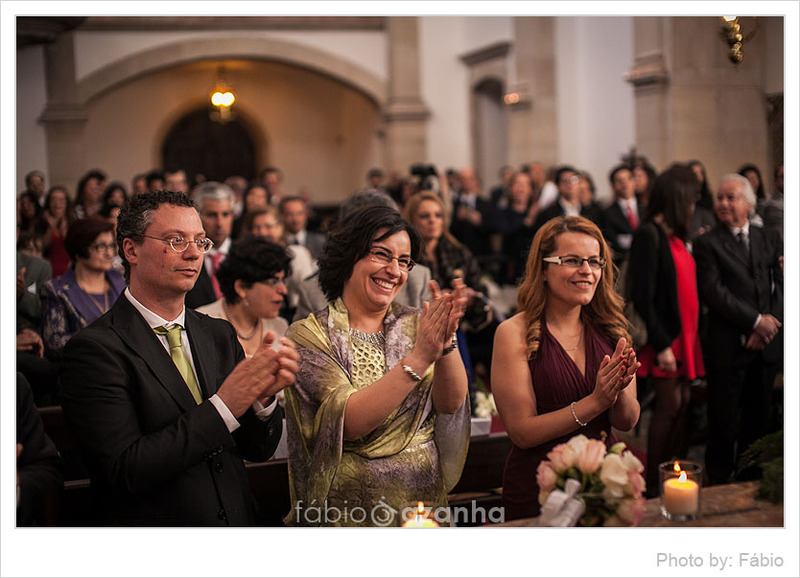 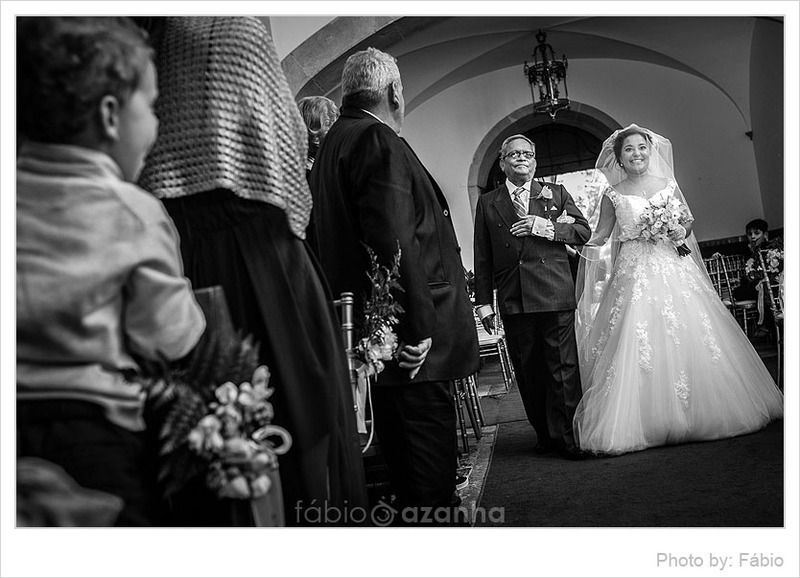 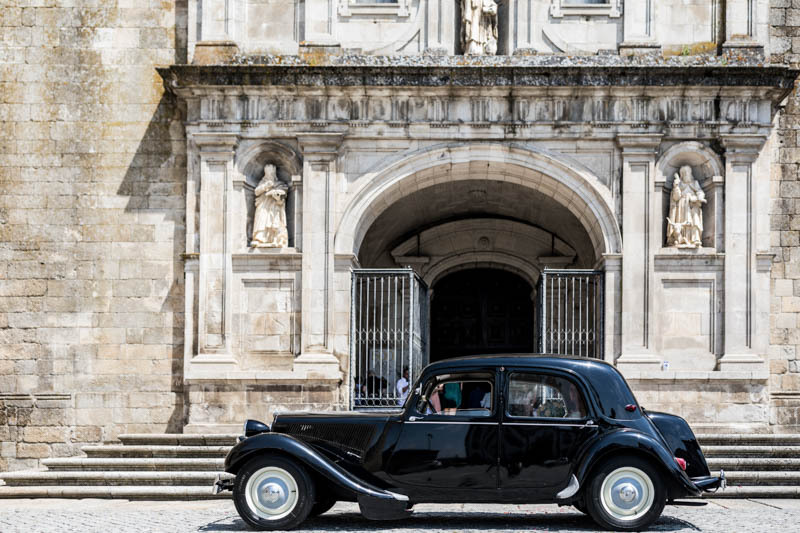 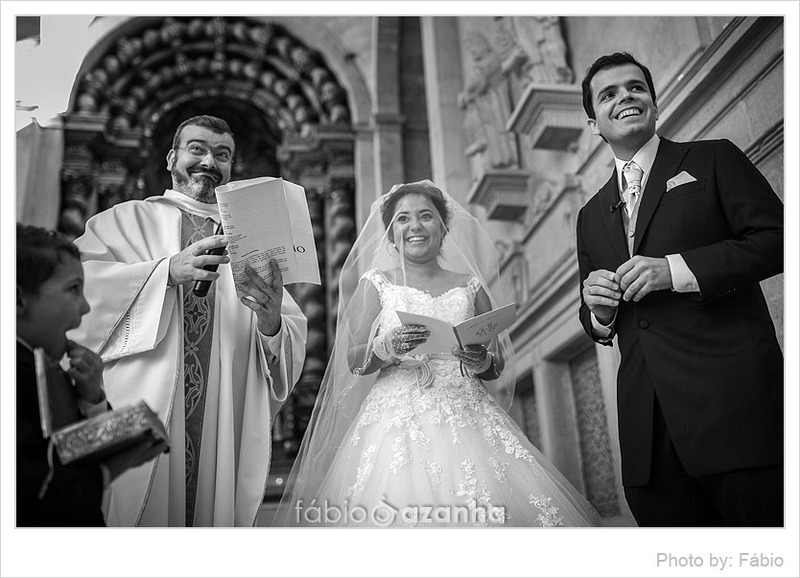 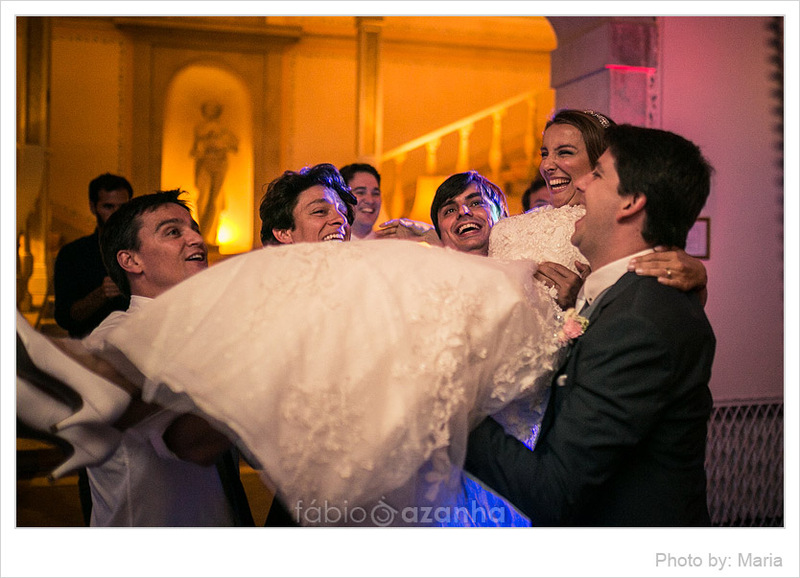 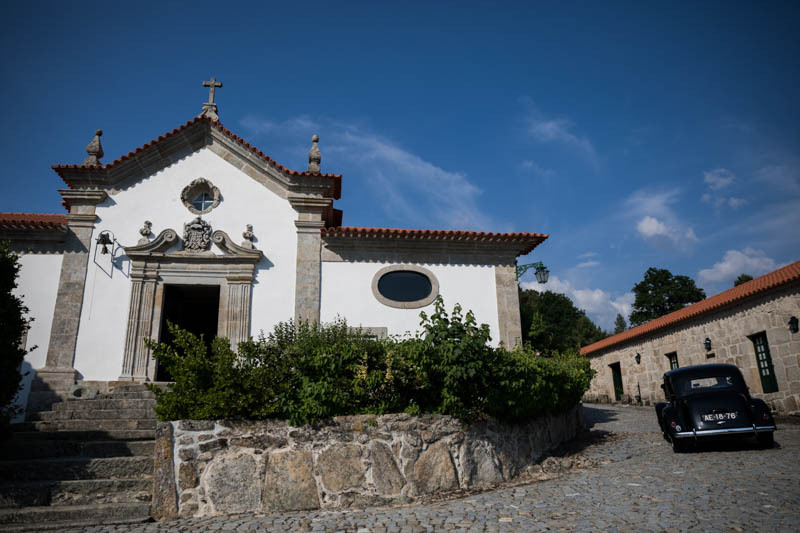 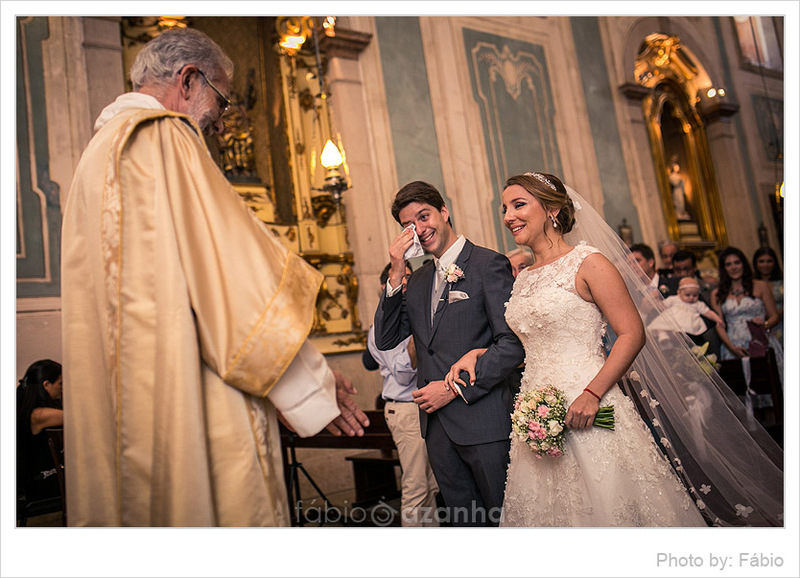 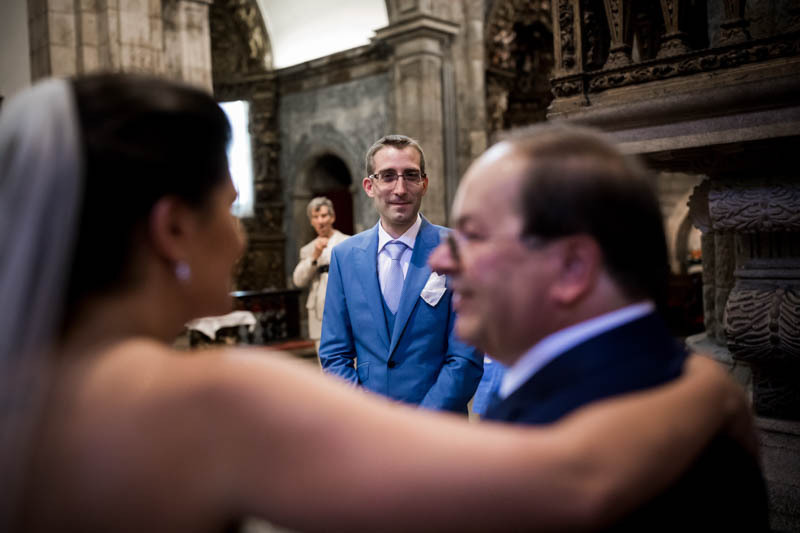 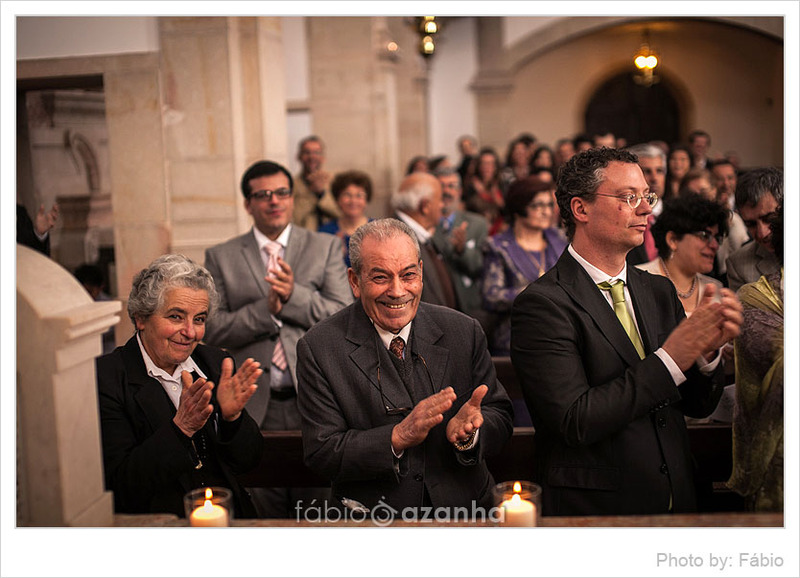 The wedding ceremony took place in a magnificent church in the small town of Viseu. 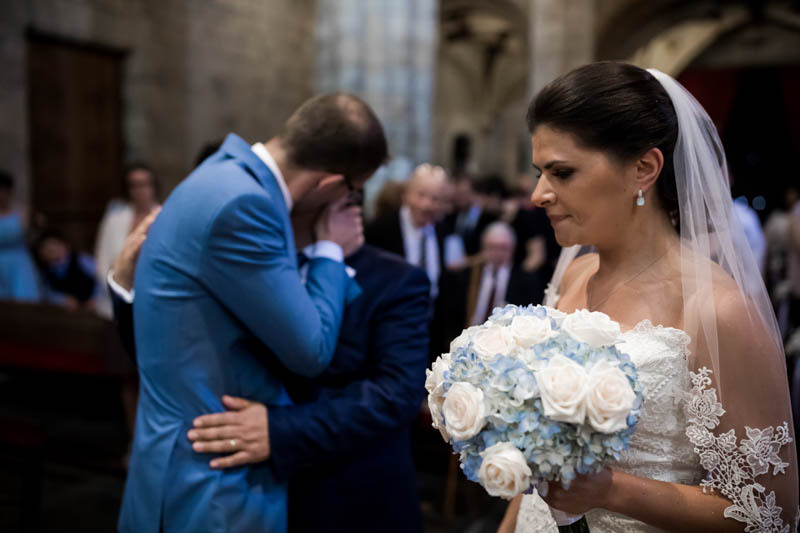 There was a lot of emotion going with speeches by the closest relatives, including David’s grandfather, a 90-year-old man who had traveled all the way from France! 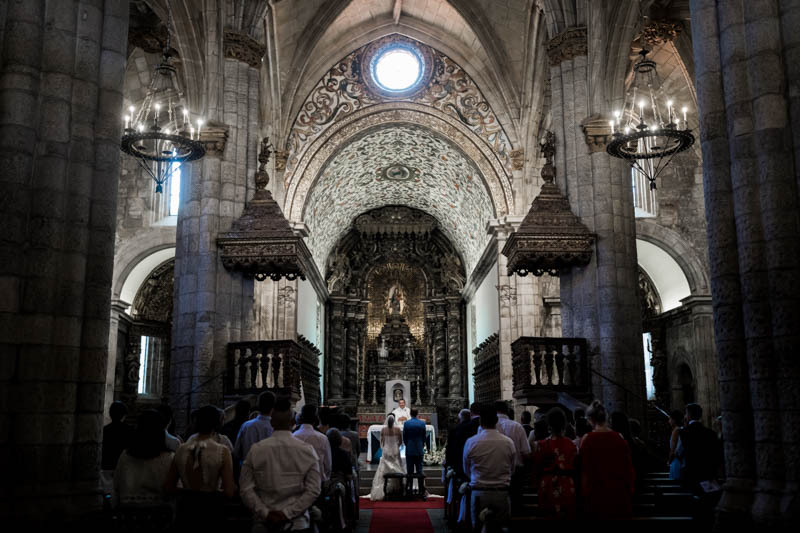 Next to the church there was this superb court with Roman arches. 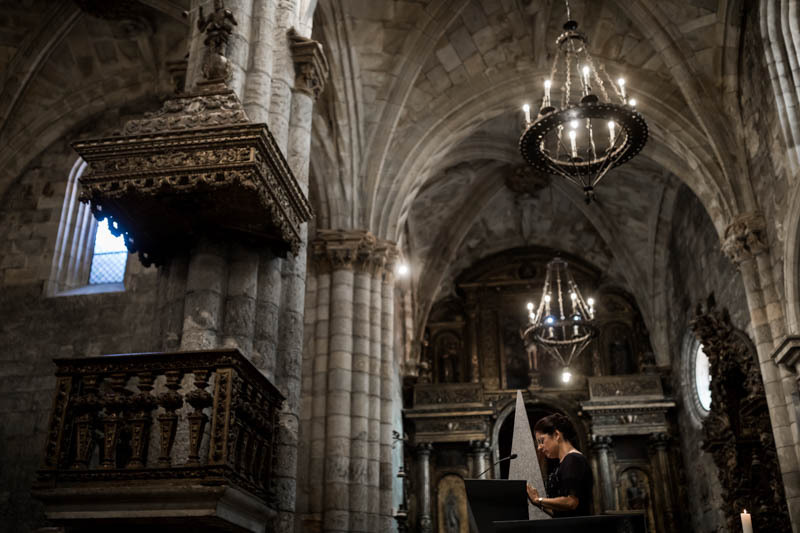 I thought I’d do the portraits there. 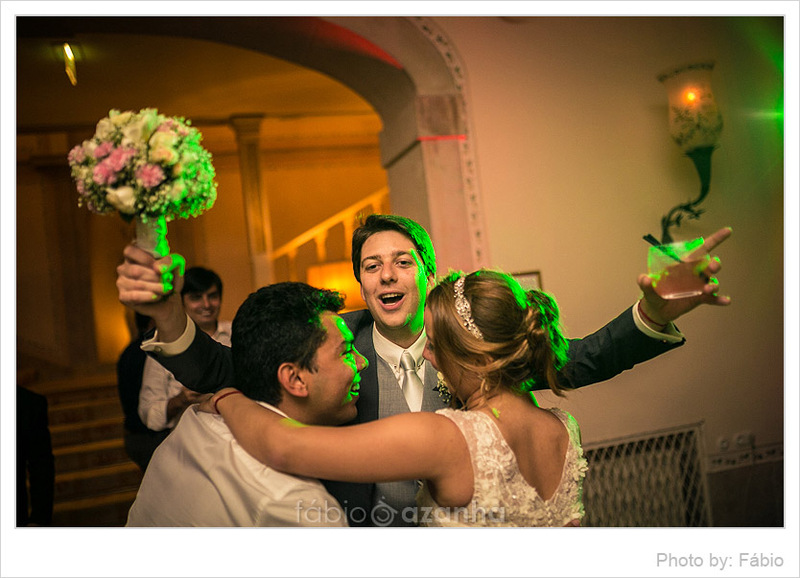 The party took place in an ancient hacienda, renovated for weddings. 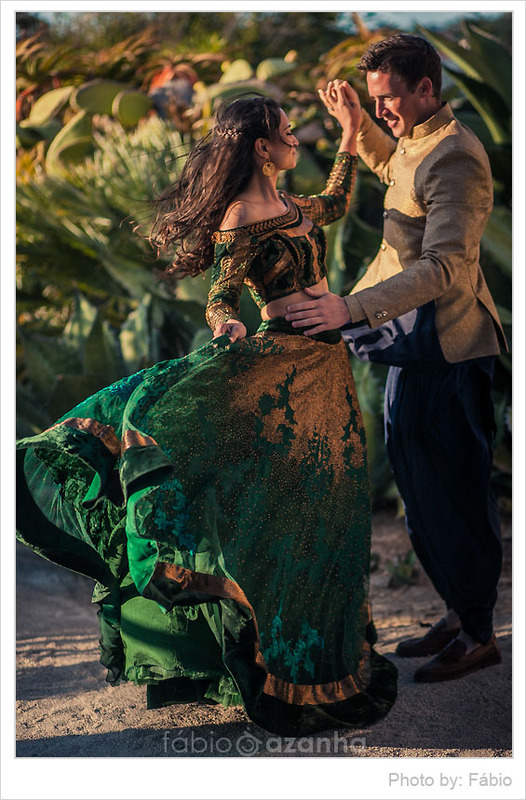 I was so happy to shoot in such a beautiful location. 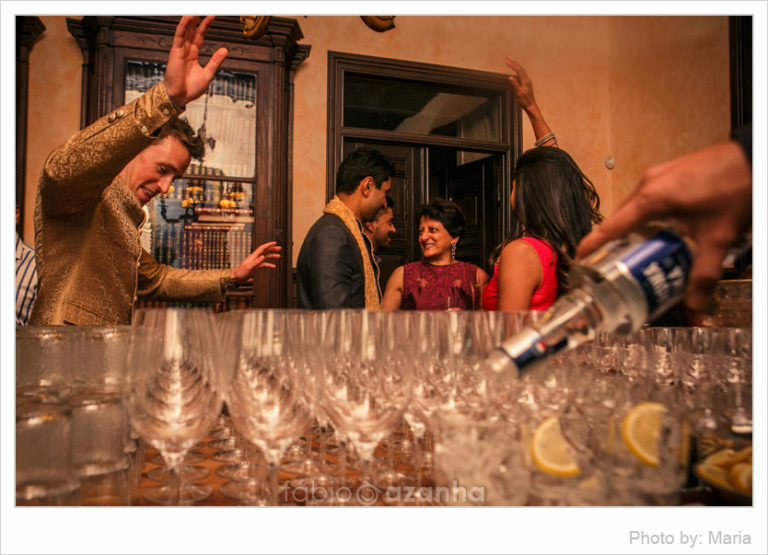 There were some great candid shots to take there during the cocktail. 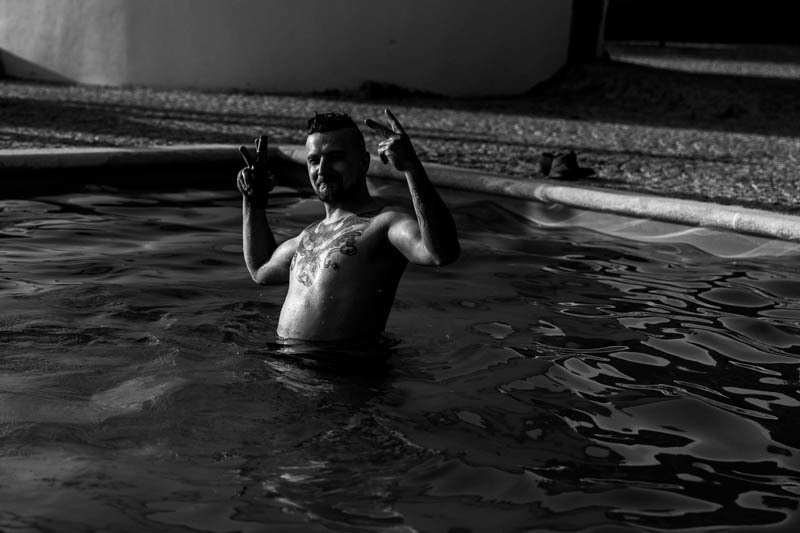 Especially around the swimming pool when the sun was going down. 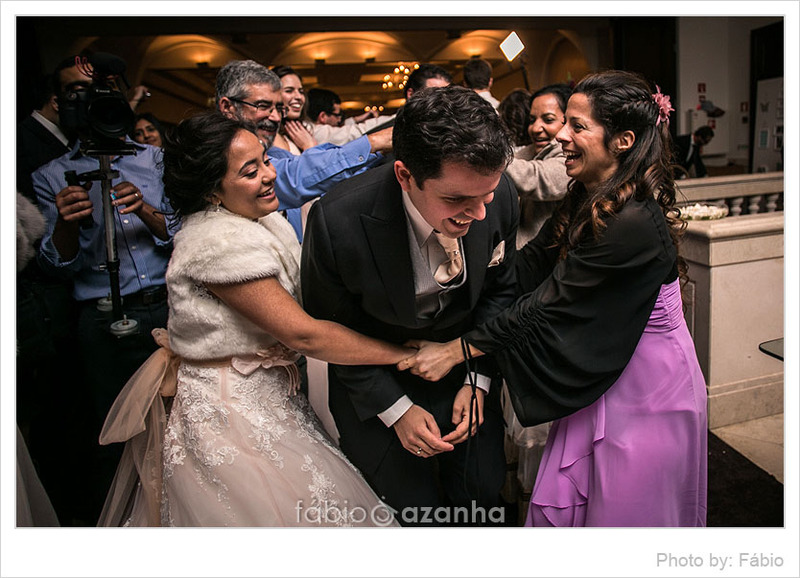 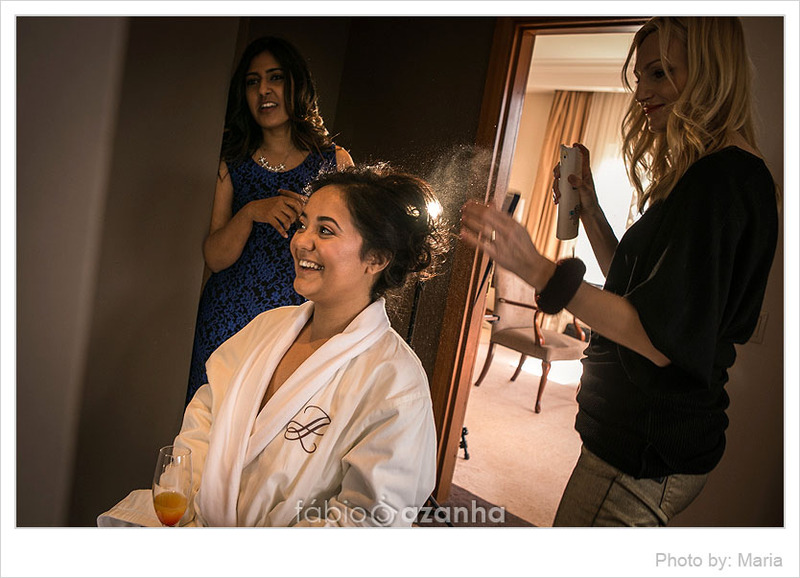 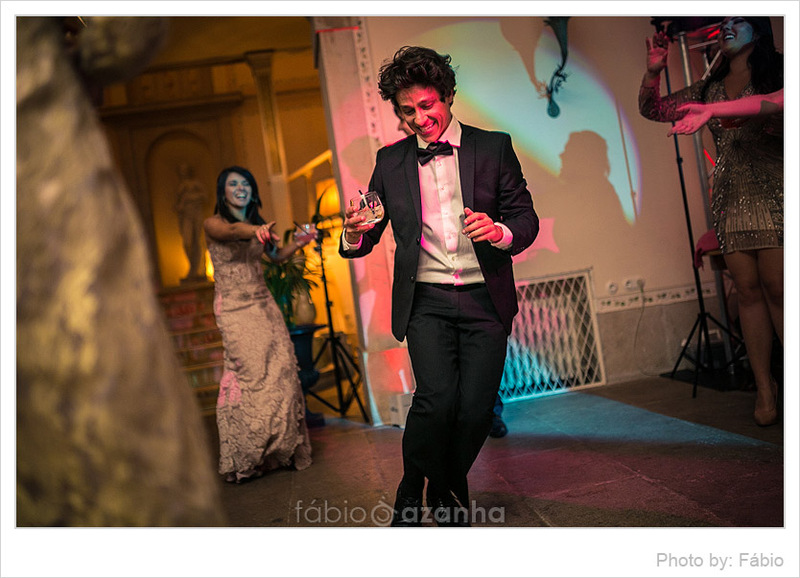 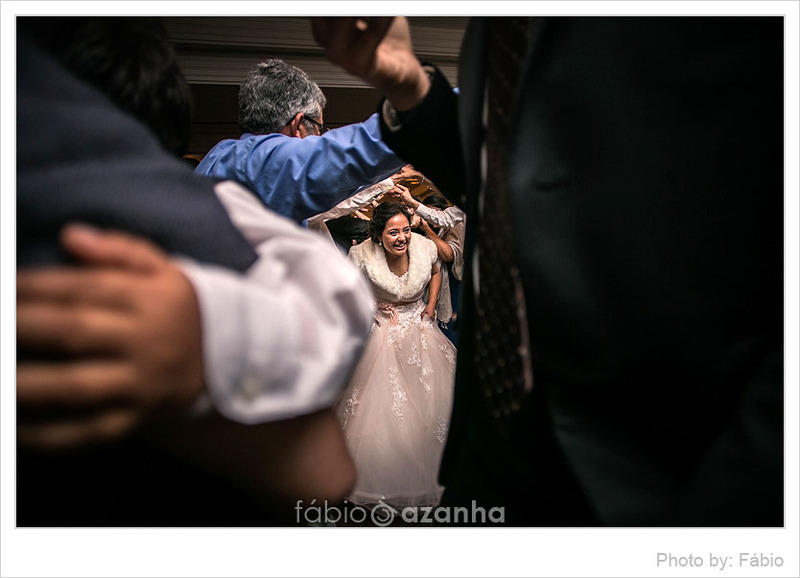 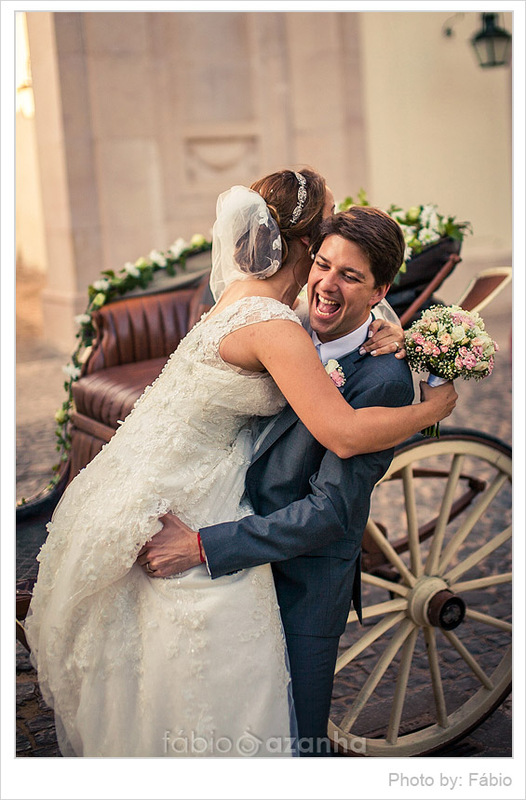 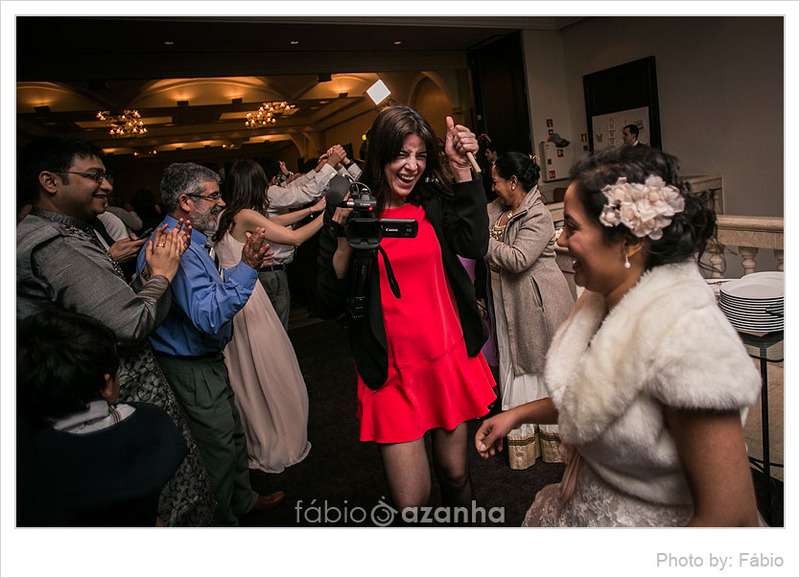 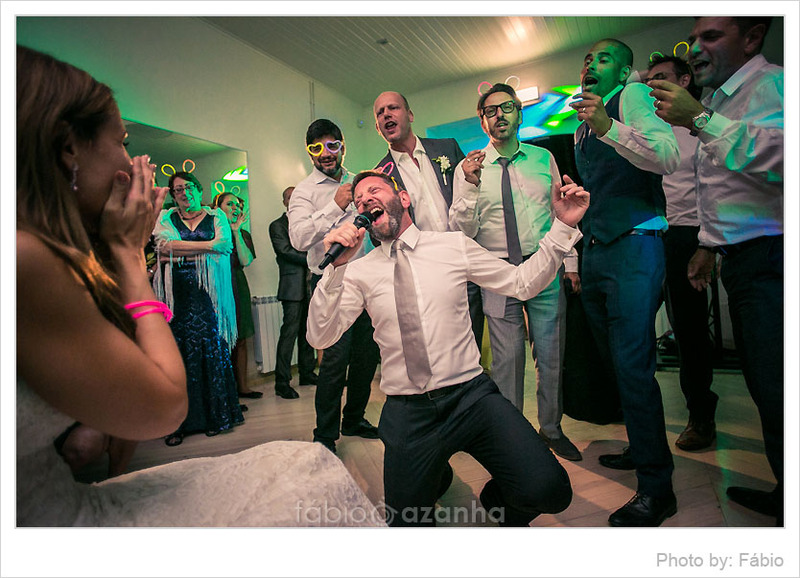 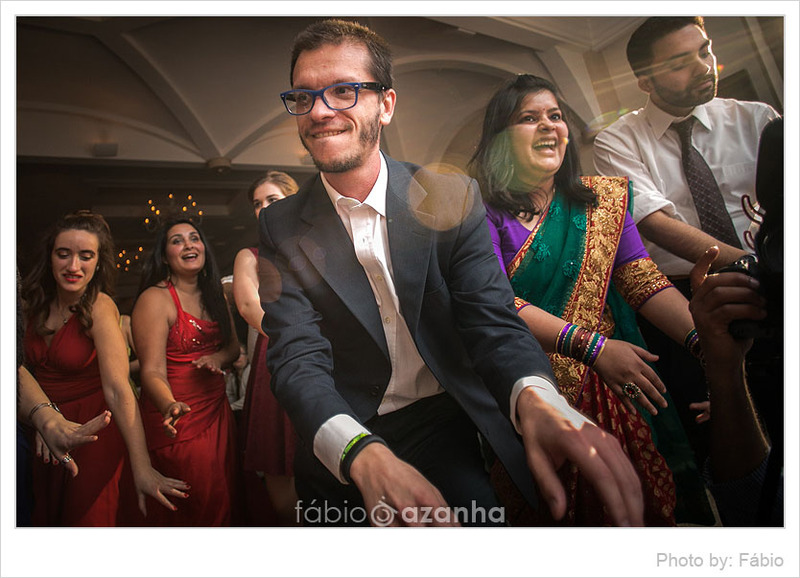 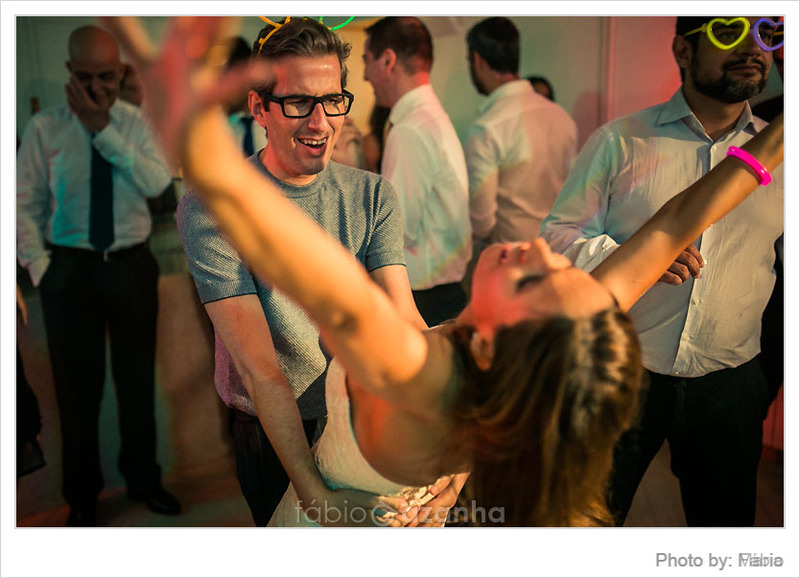 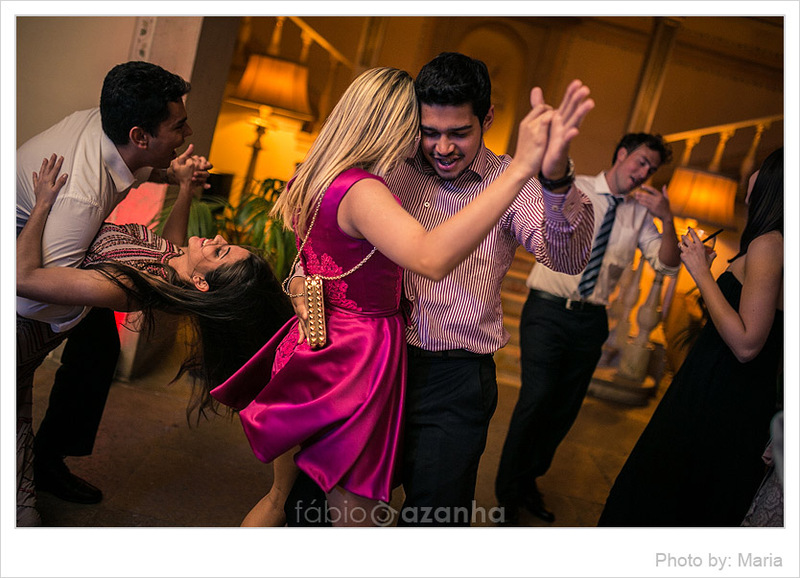 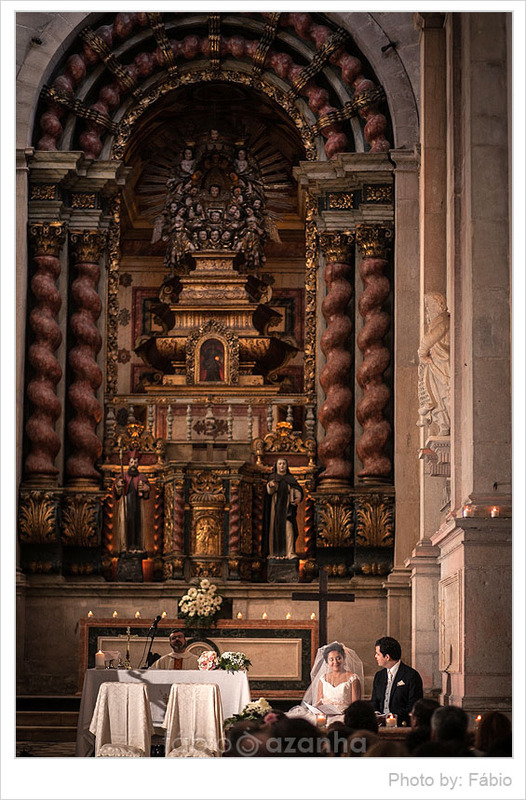 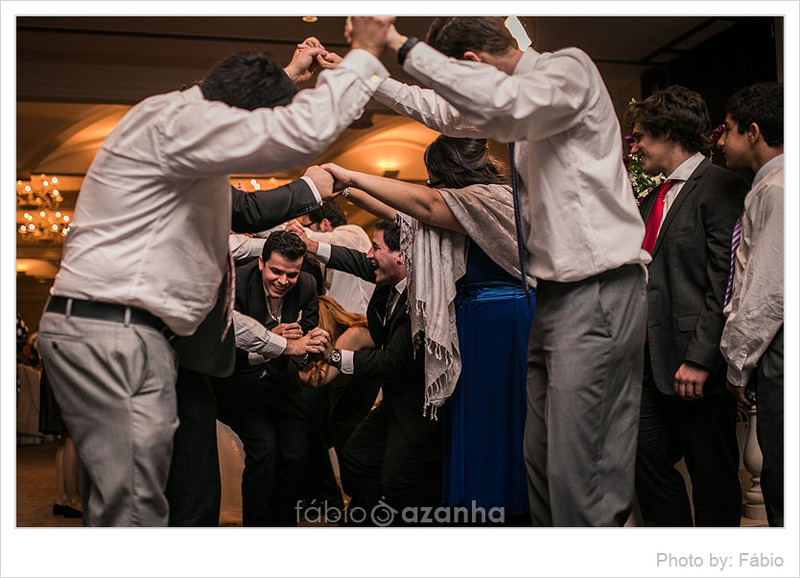 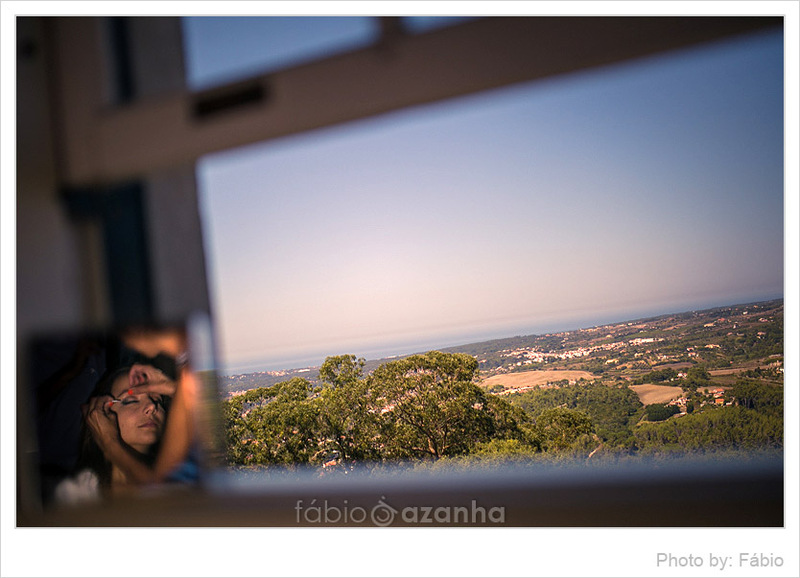 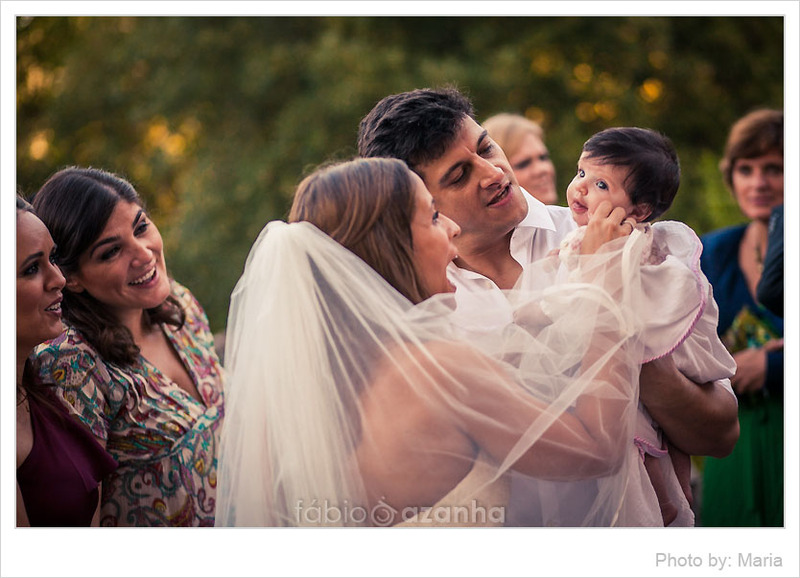 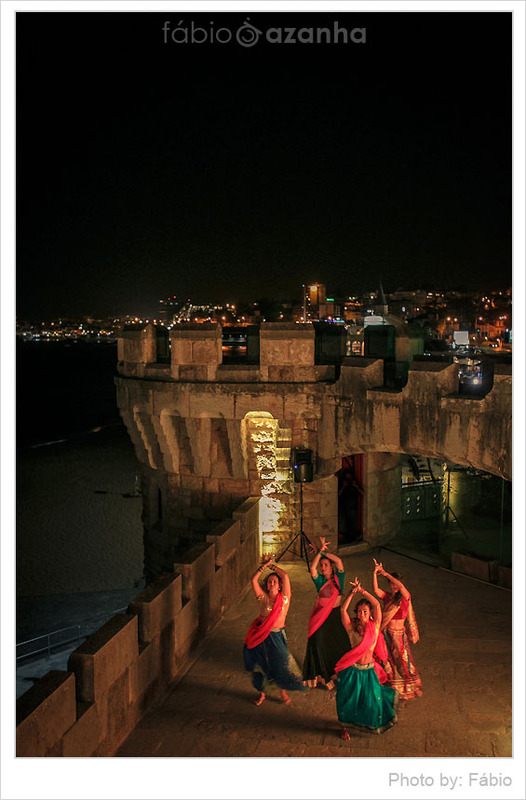 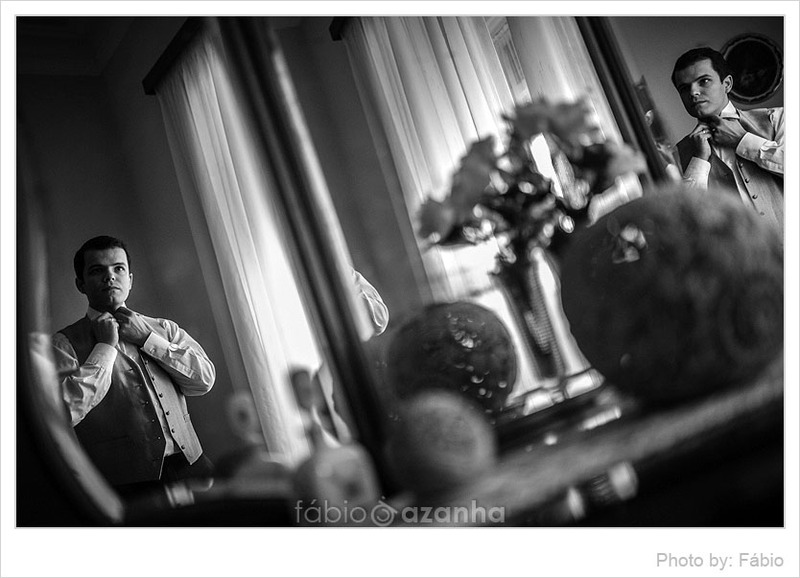 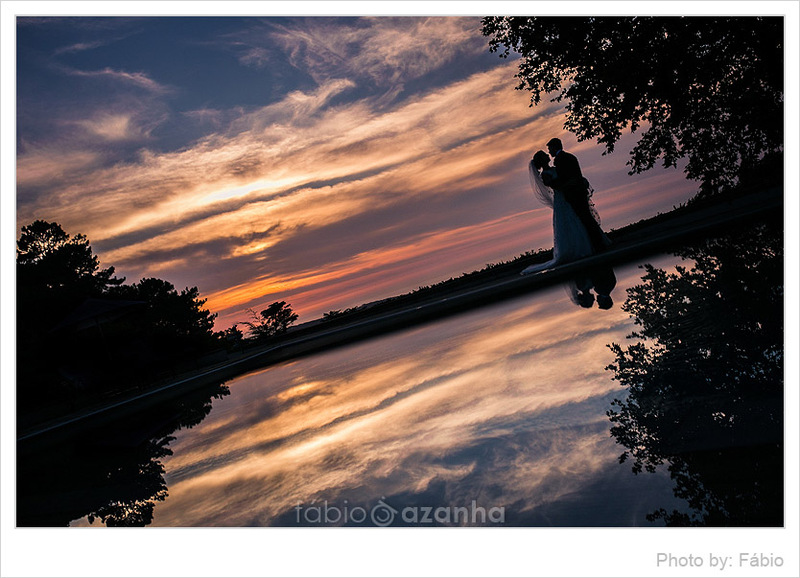 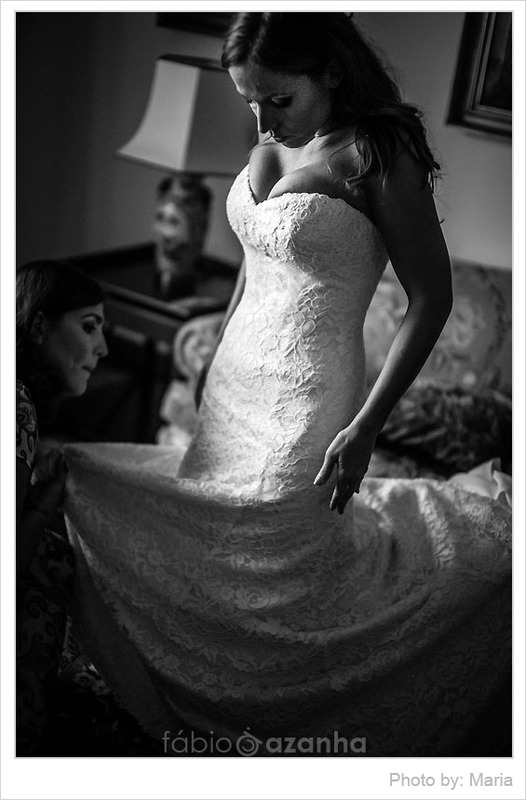 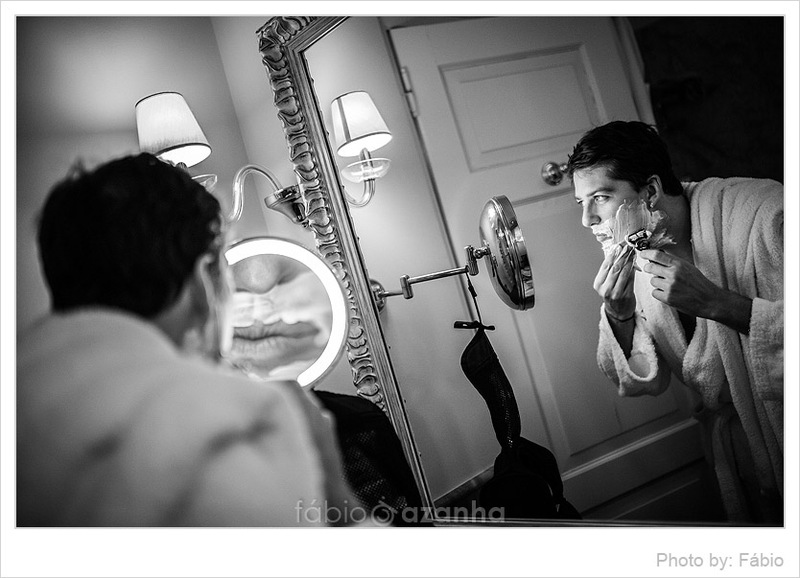 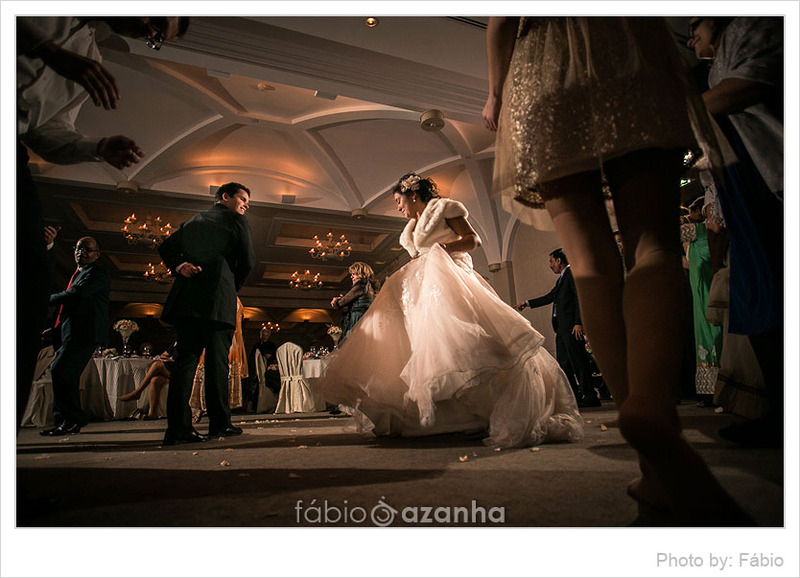 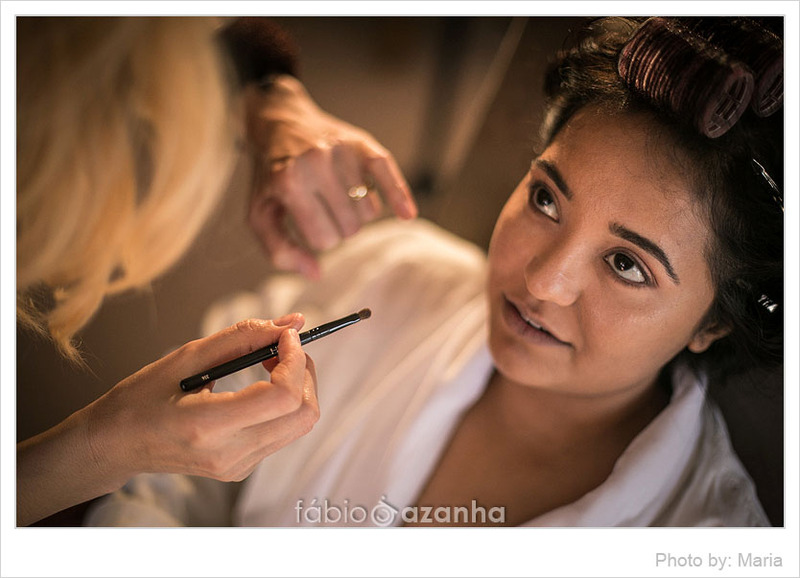 This was a fantastic experience for me, and I can’t wait to shoot another wedding in Portugal! 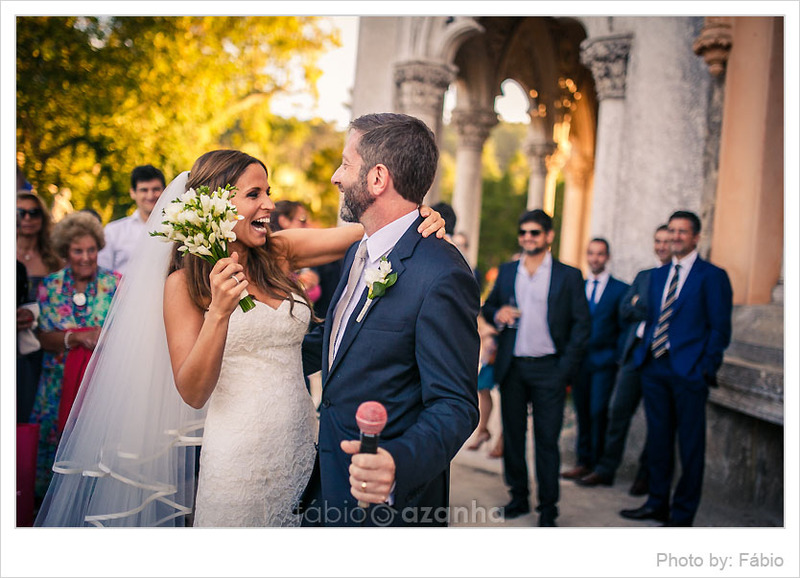 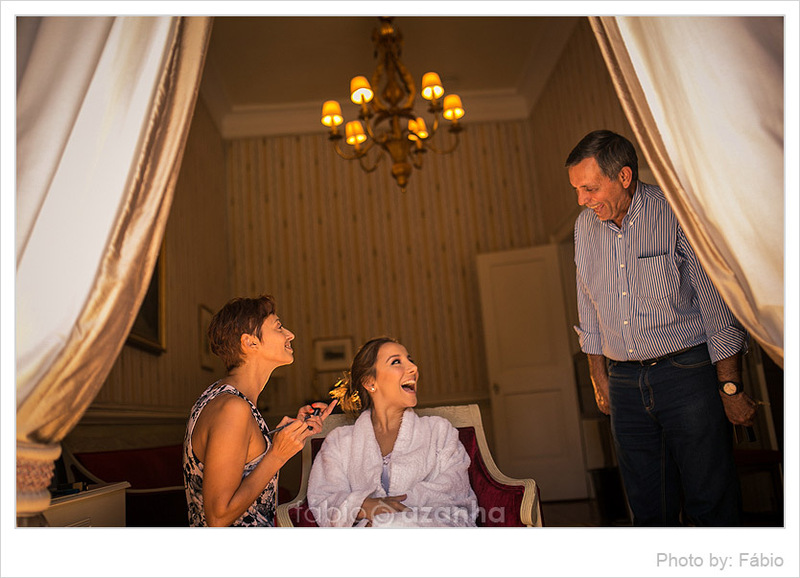 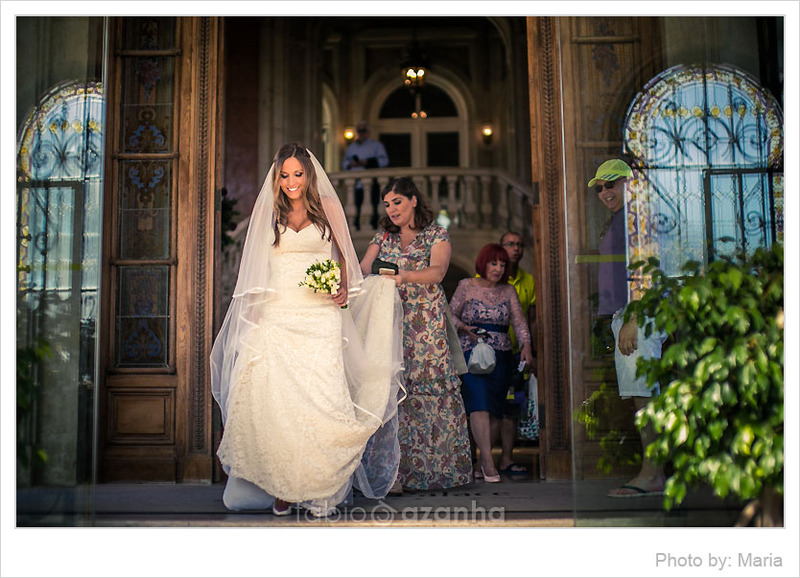 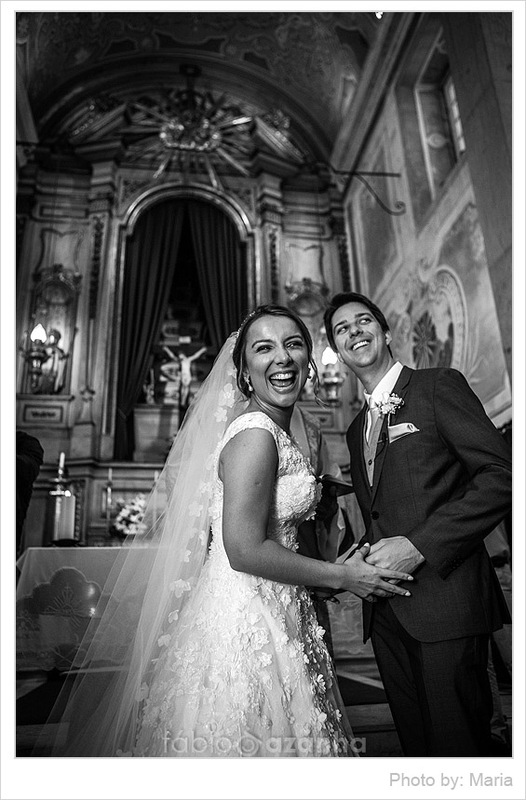 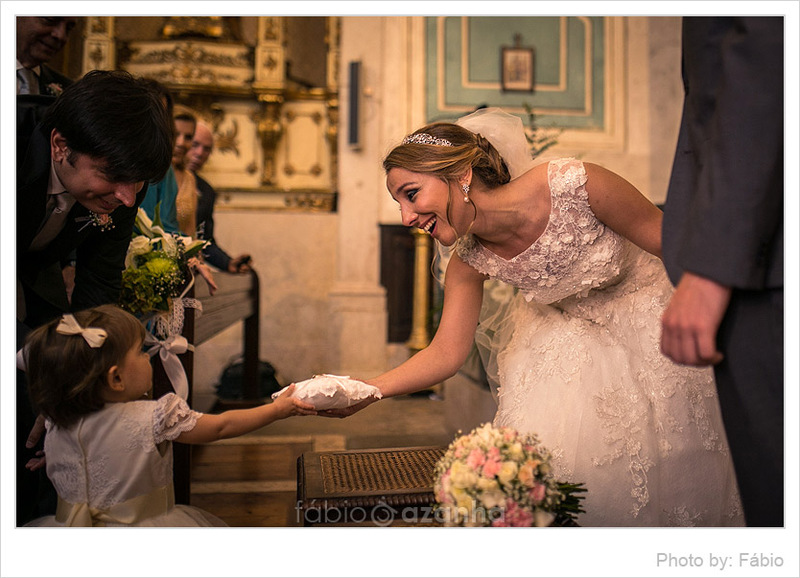 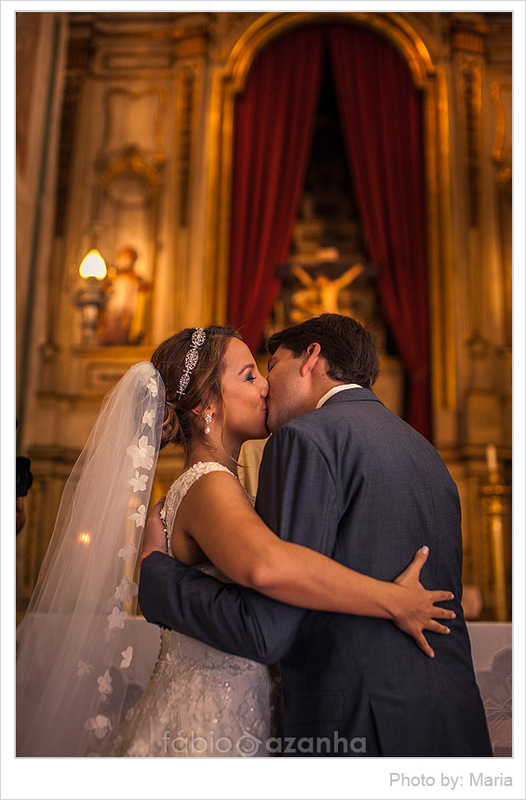 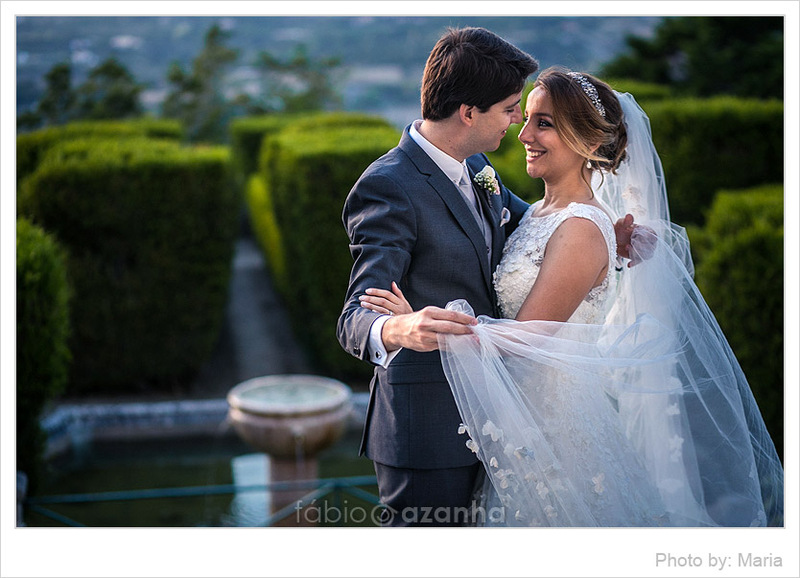 Meet gorgeous Renata and Harry and their beautiful Portugal Wedding in Monserrate Palace. 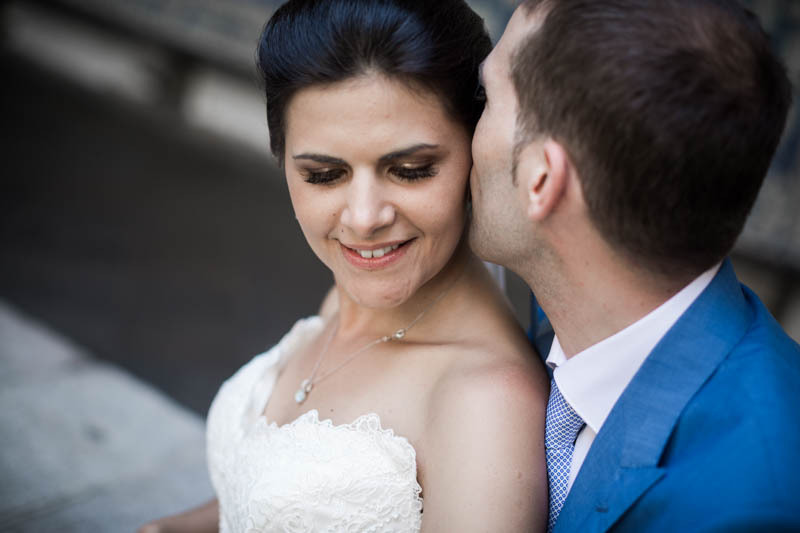 This couple is one of the sweetest and cutest husband and wife to be, that we photographed! 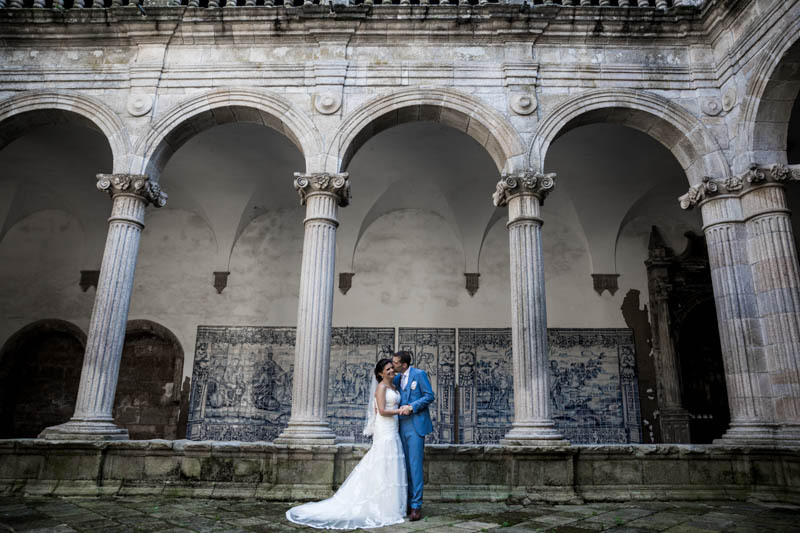 For mid-September, we just could not have asked for much better weather and climate, especially the wedding being in the heart of Sintra, that tends to be very very wet. 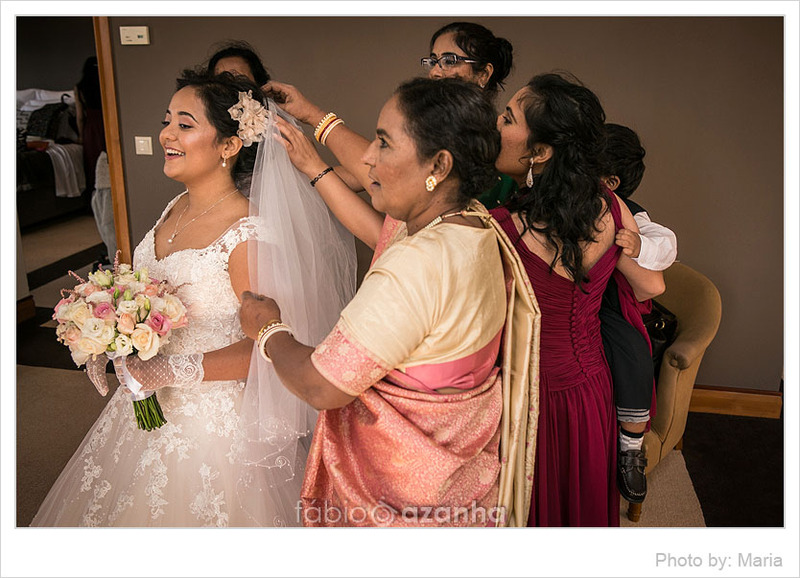 Everything fell into place perfectly for these lovely two lovebirds and their families. 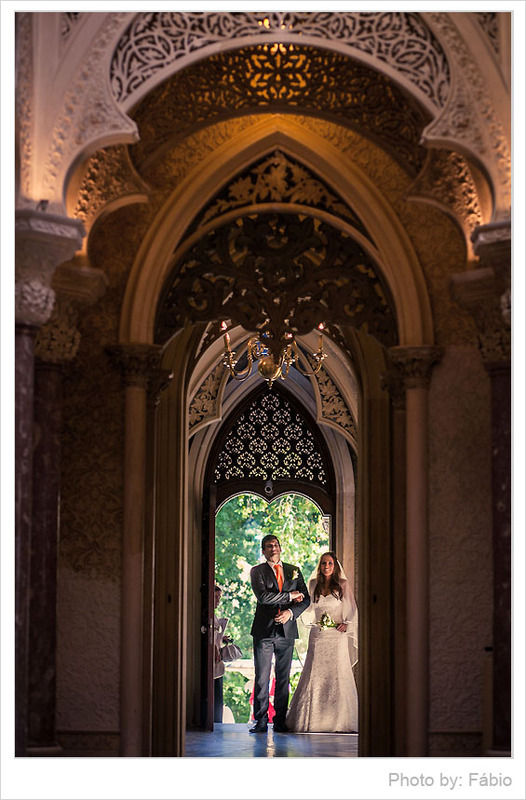 We have photographed many times at the Sintra Monserrate Palace, and we especially adore the stunning outdoors with Morrocan style architecture and the gorgeous little palace itself. 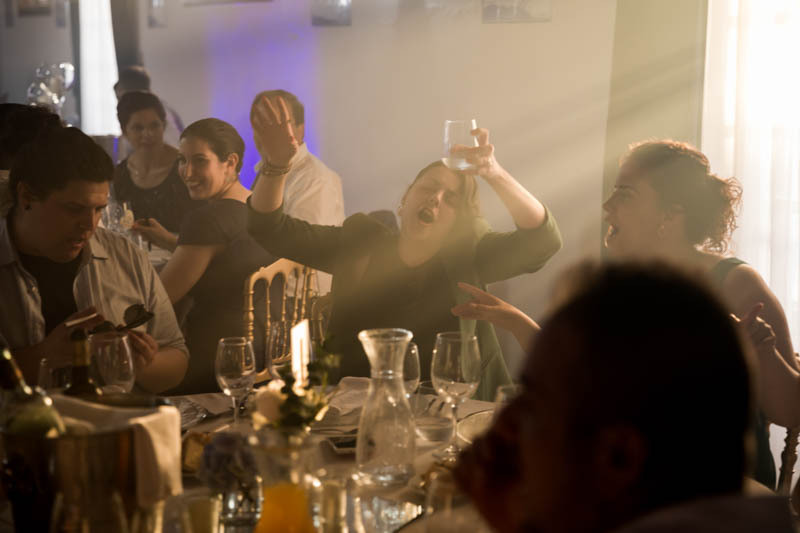 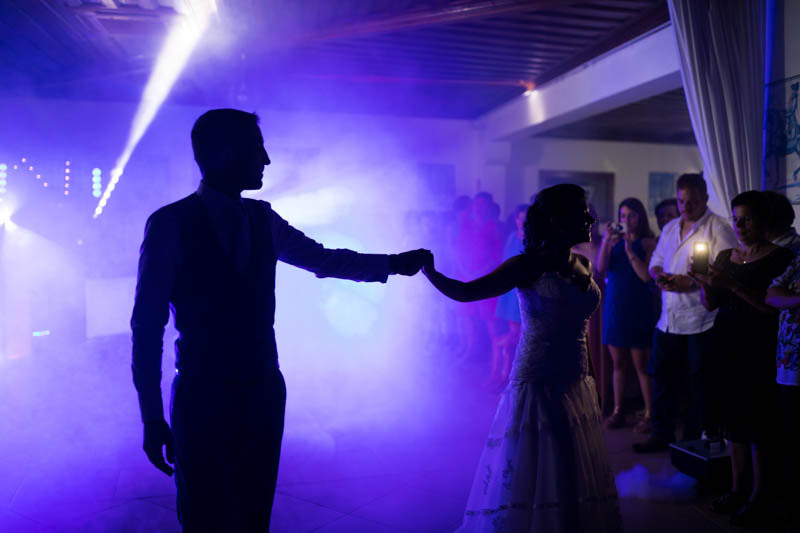 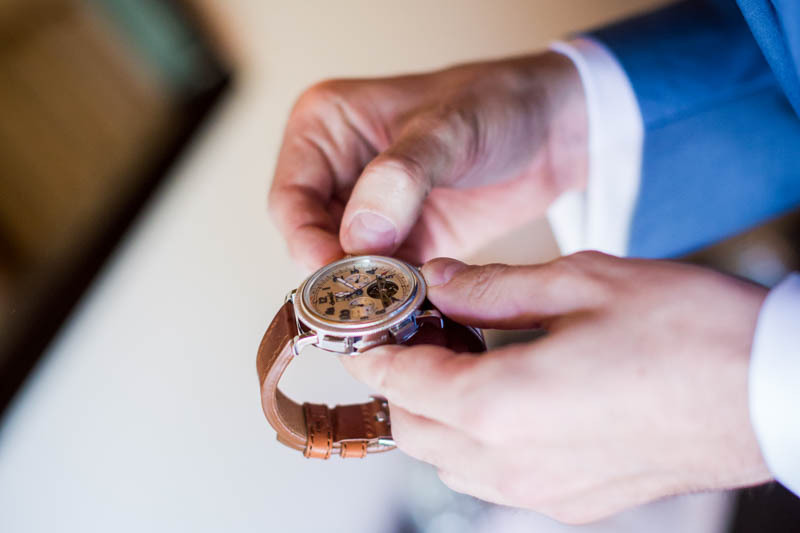 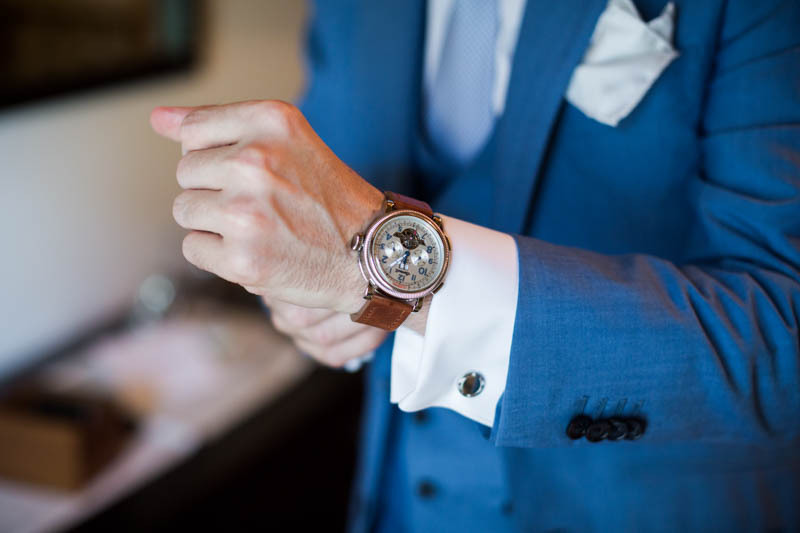 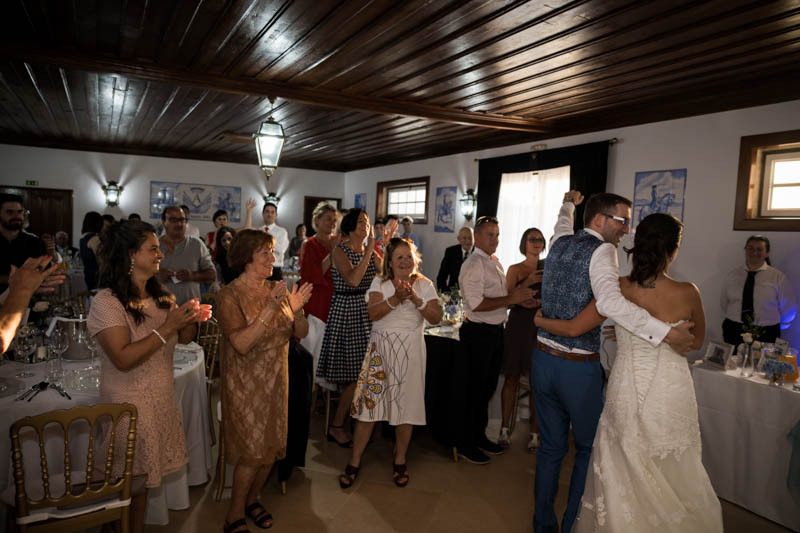 A lot of the wedding was DIY, and friends have contributed significantly in helping the couple to make the day a dream come true for the couple. 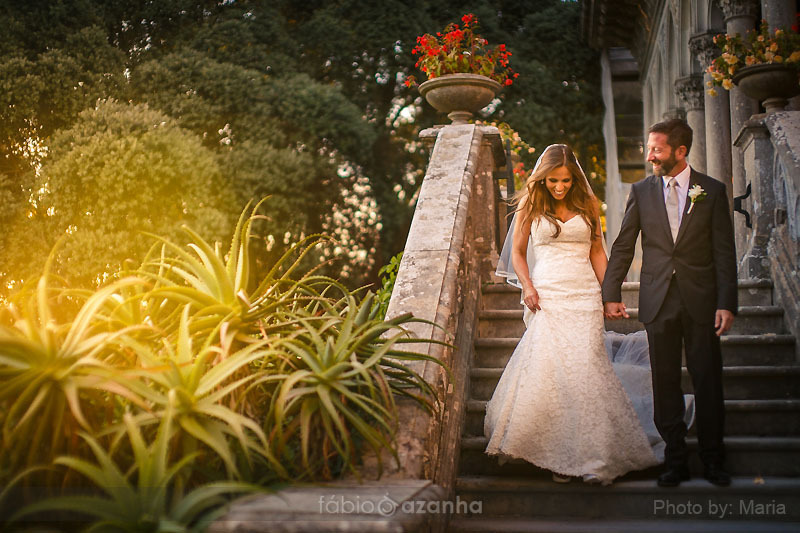 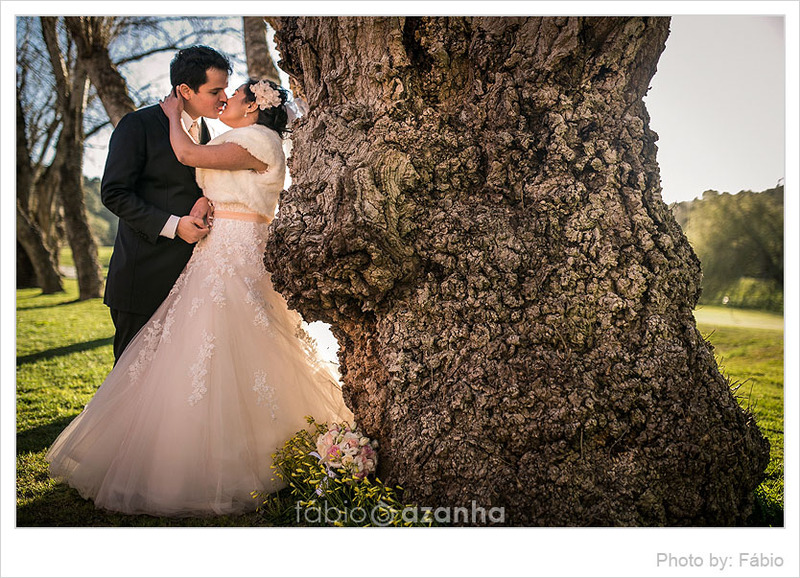 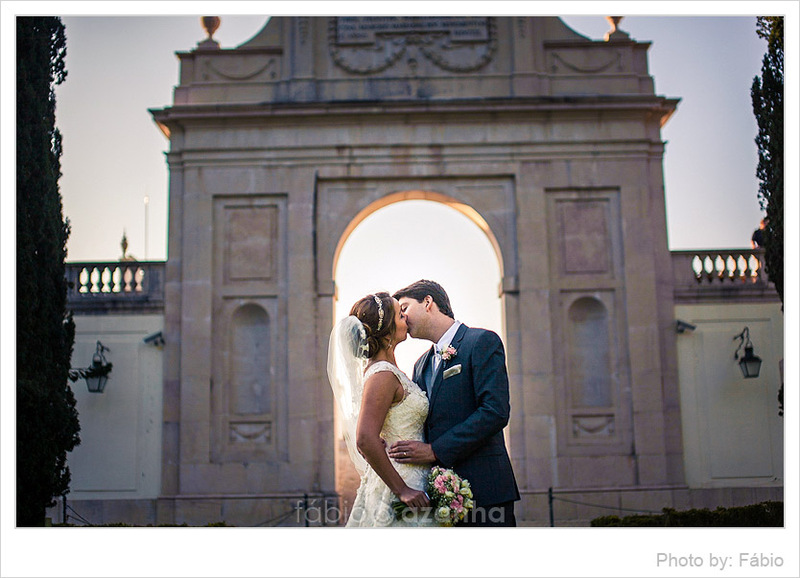 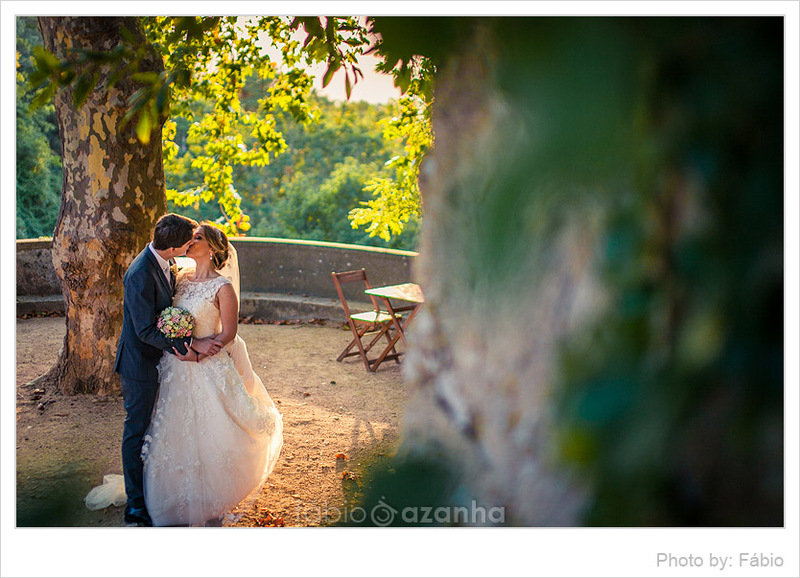 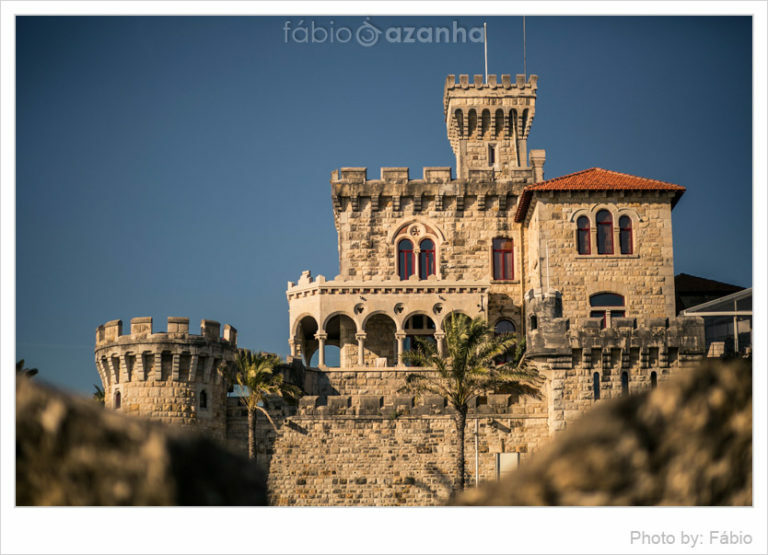 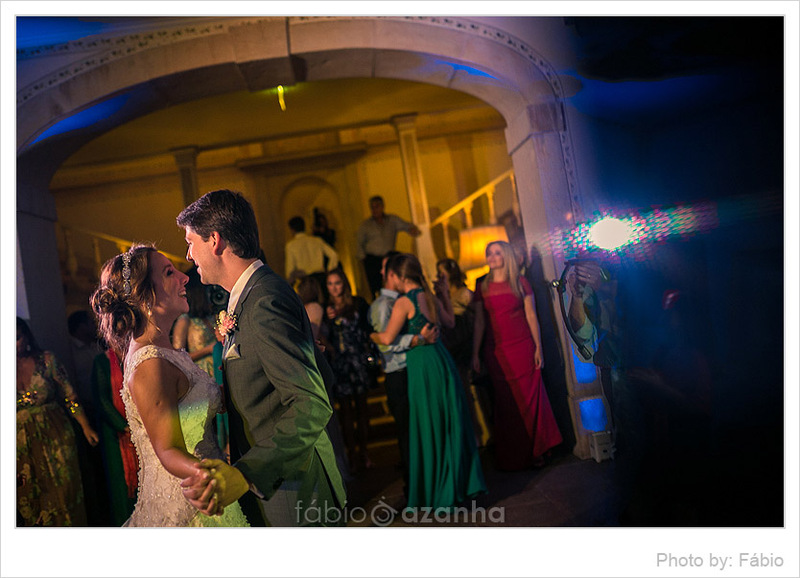 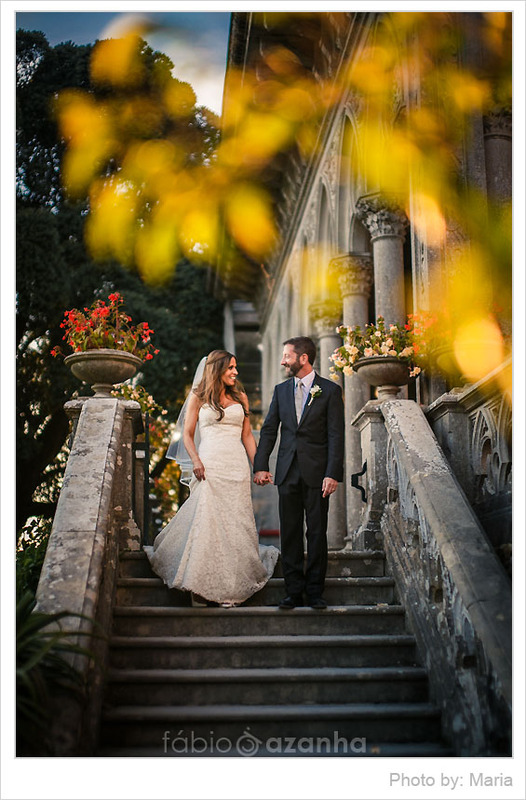 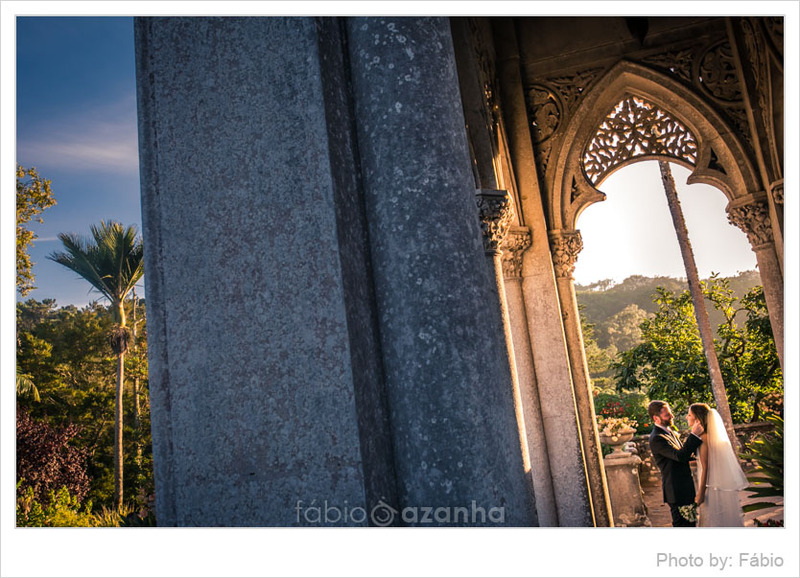 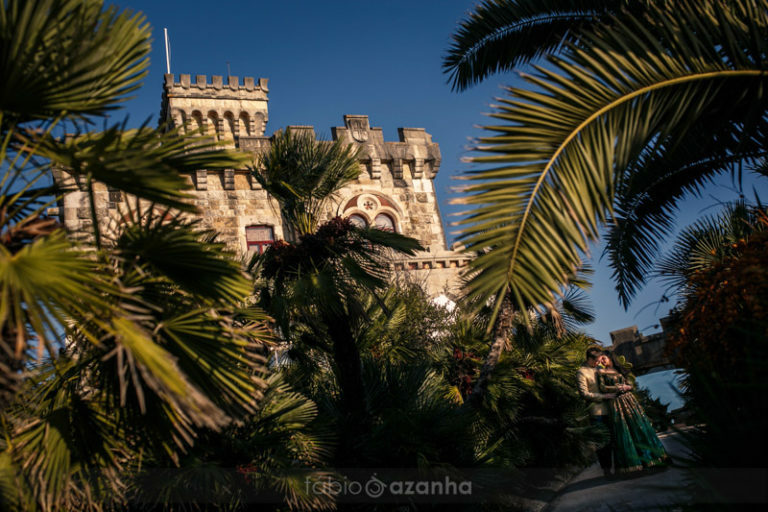 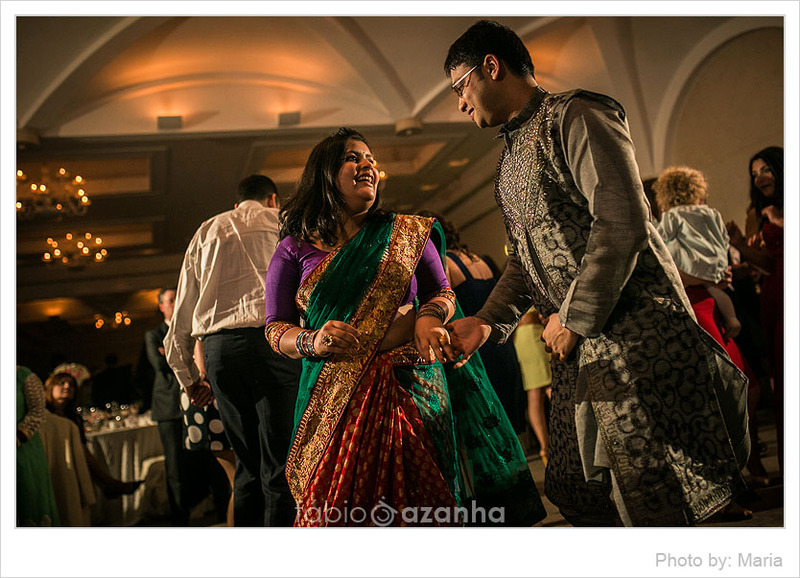 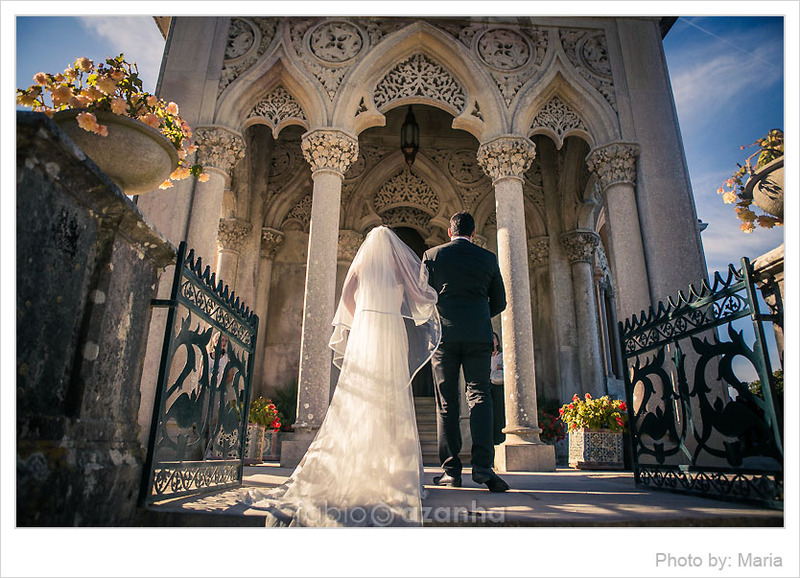 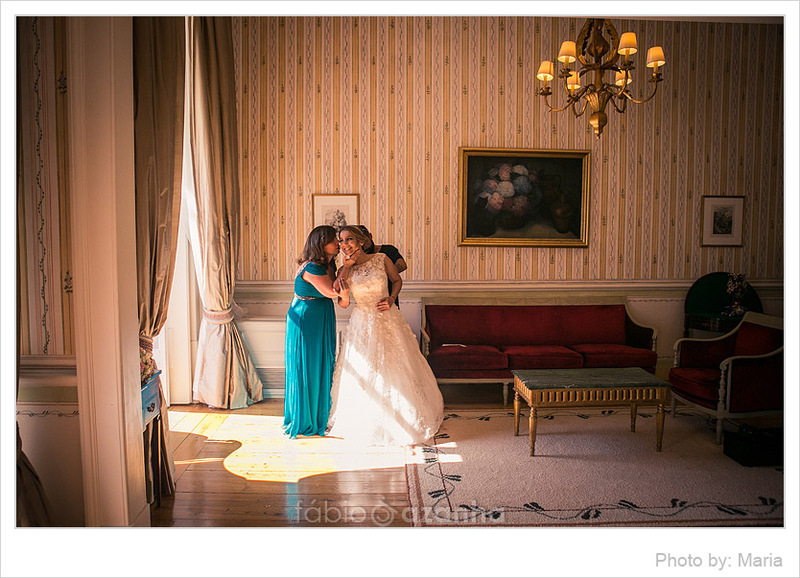 The weather was perfect on the day, and they had an unseasonably warm and sunny day in the gorgeous Sintra Venue! 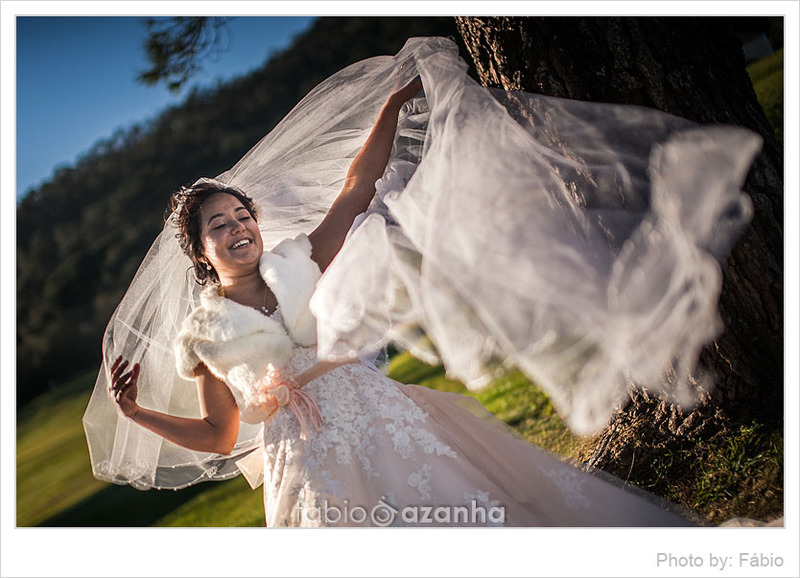 As we were arriving at the venue a thin layer of cloud appeared which broke the harshness of the sun. 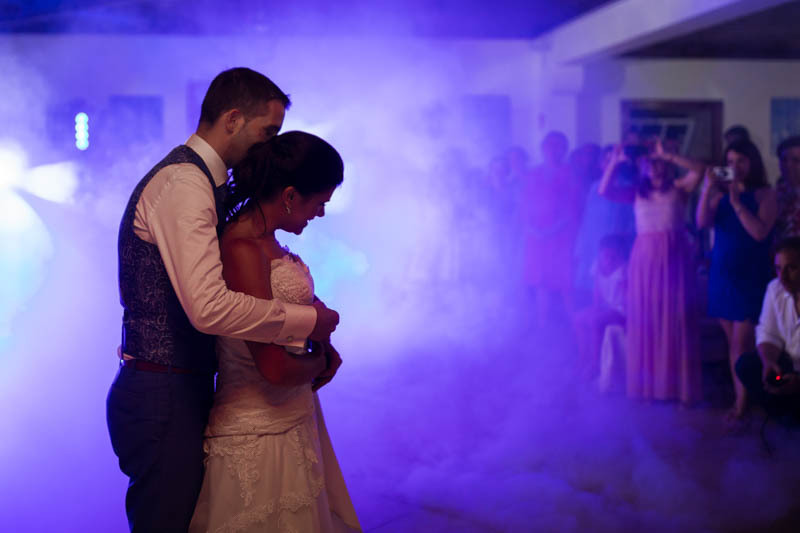 Interestingly though, on the day after the wedding, the weather took a turn and became very gloomy, windy and wet. 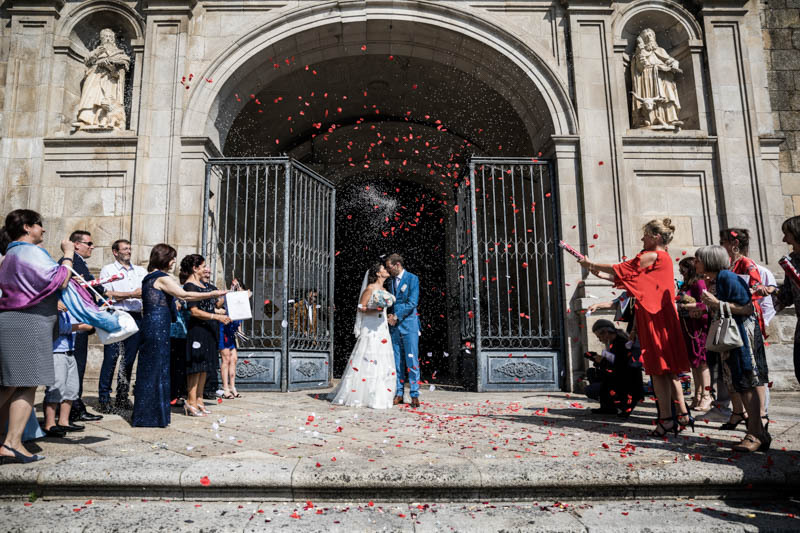 The after ceremony cocktail hour was at the main venue entrance. 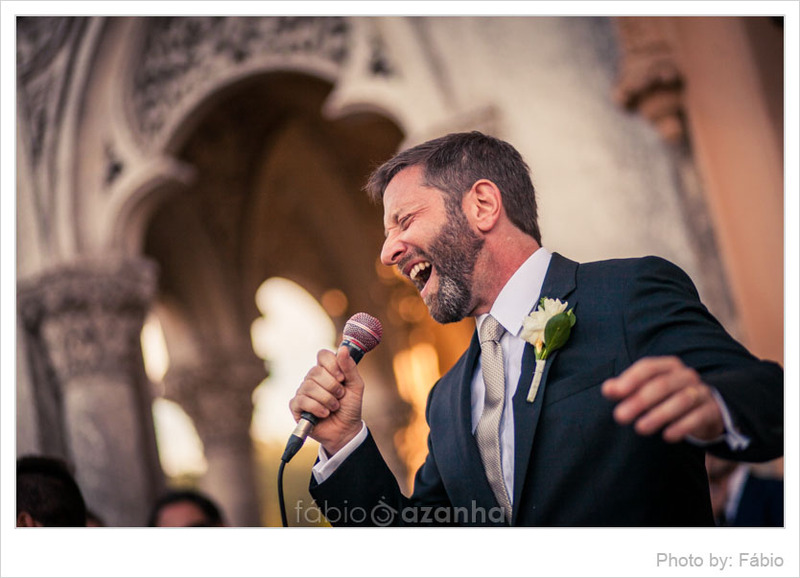 There was a live music trio, and appetizers and Harry embellished the gorgeous day with his singing talent. 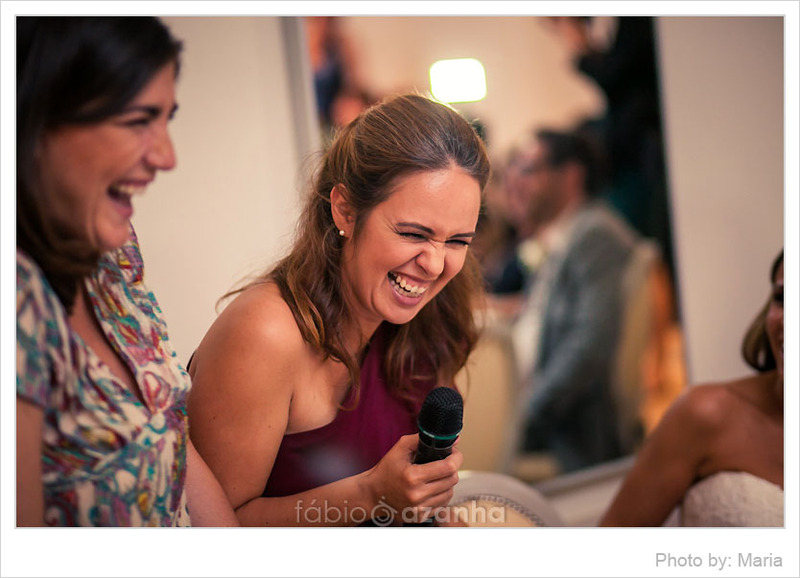 Frank Sinatra´s best tunes were sung throughout the cocktail party which took us back to the golden 60ties. 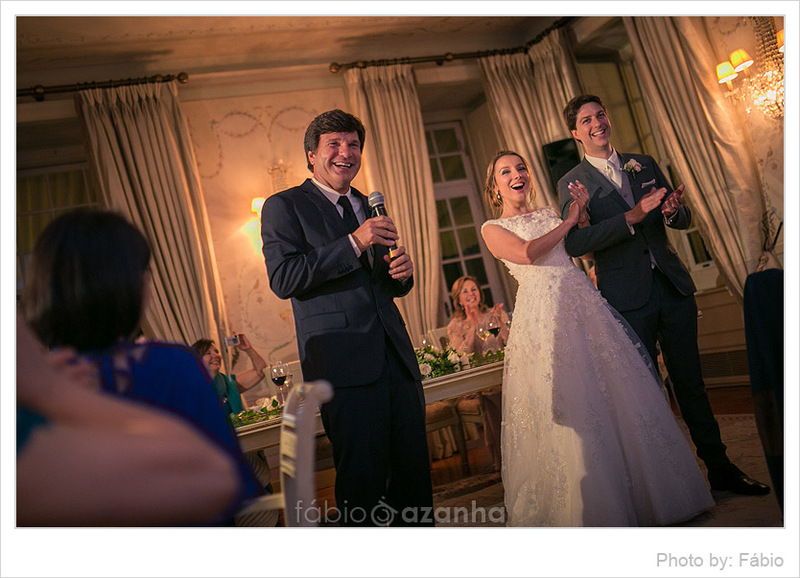 Then the couple made a great first entrance, and after speeches, dinner laughs and fun time all party move for a nightlong disco. 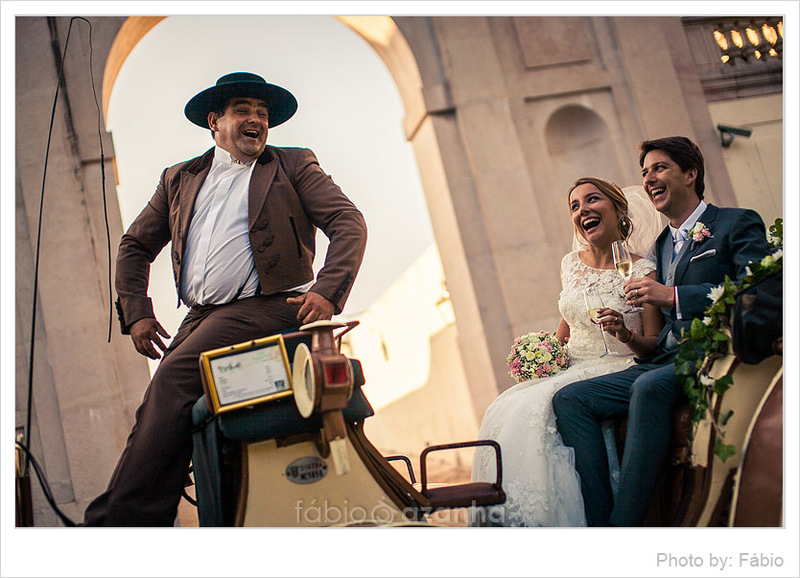 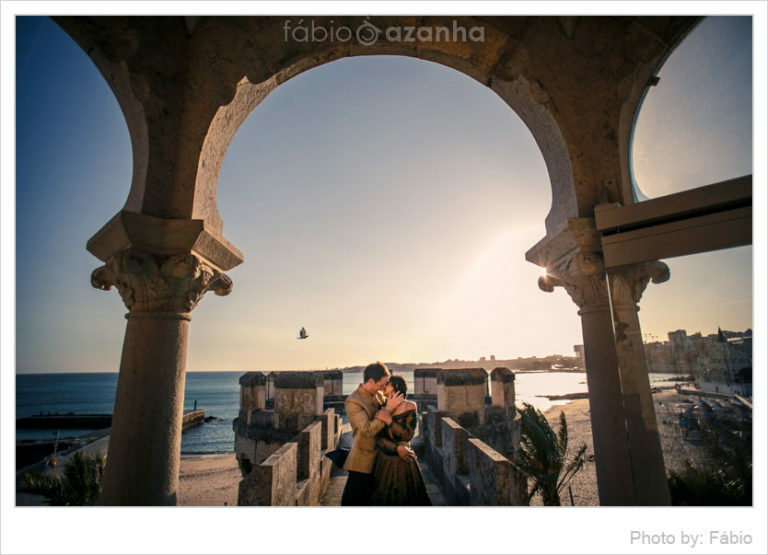 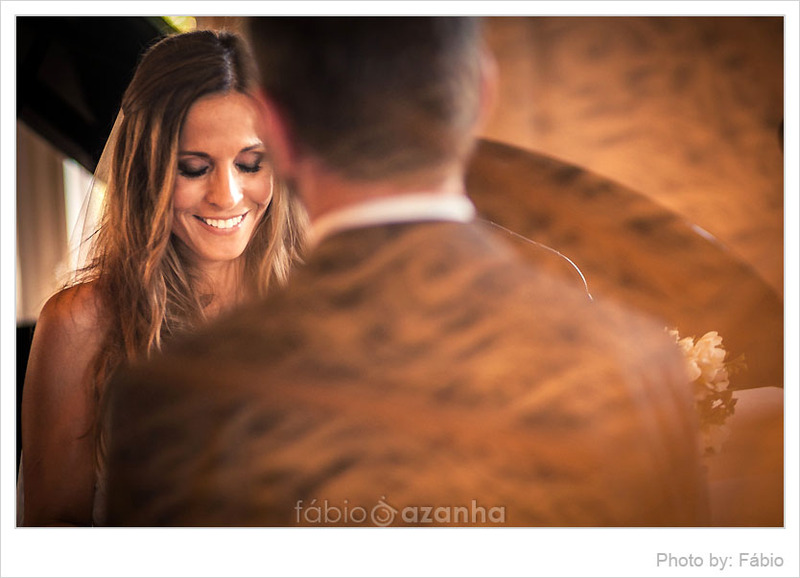 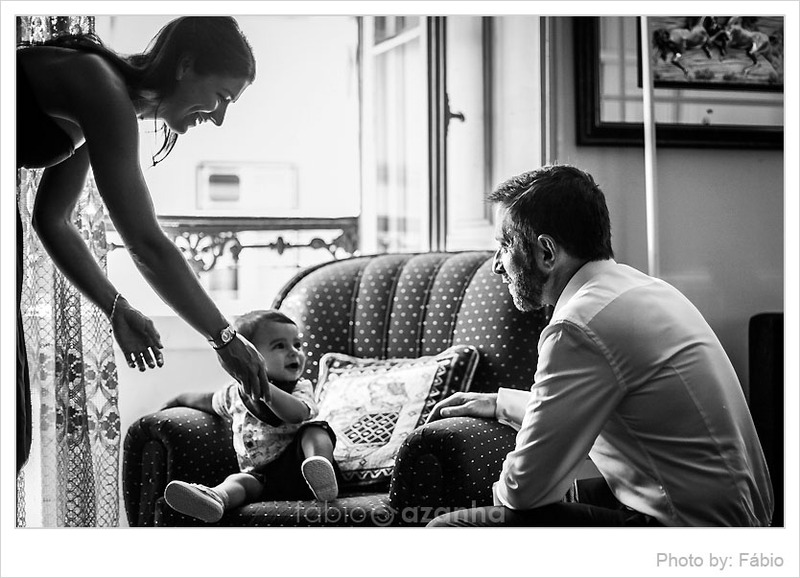 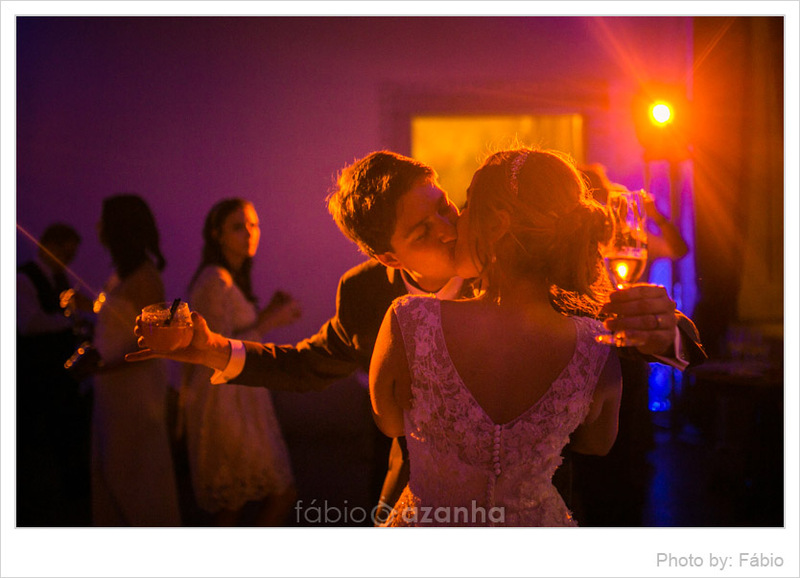 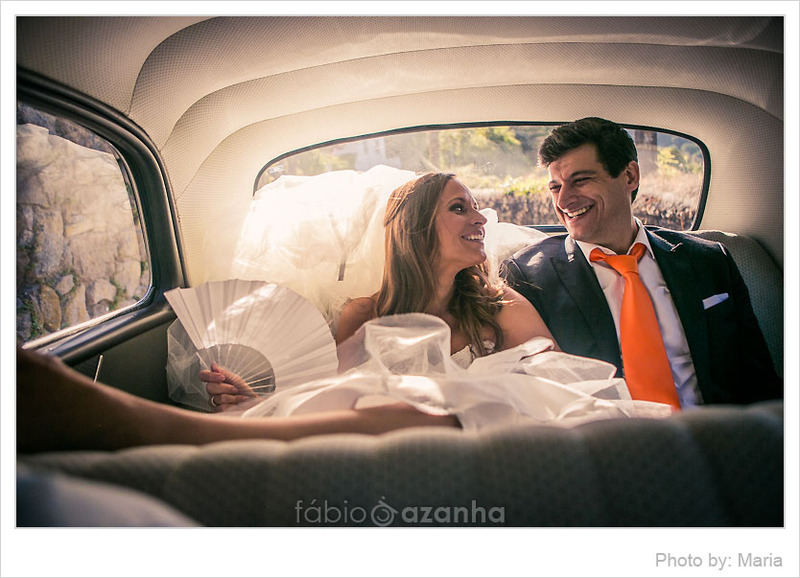 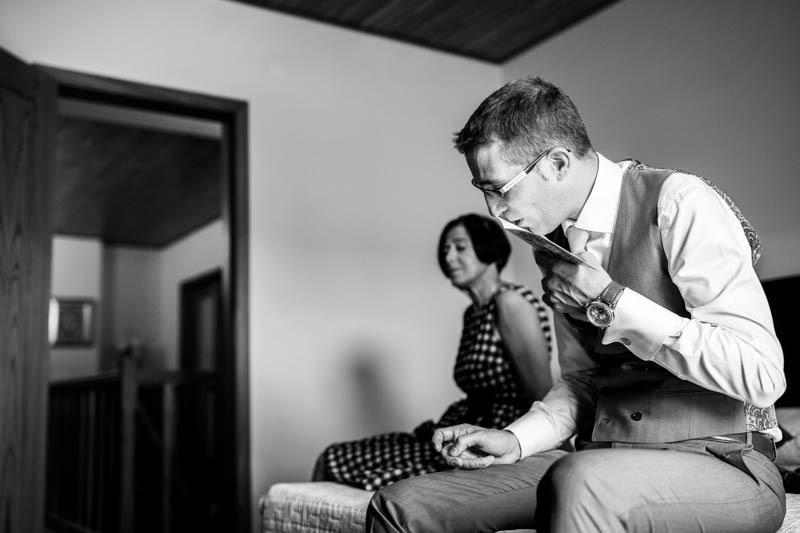 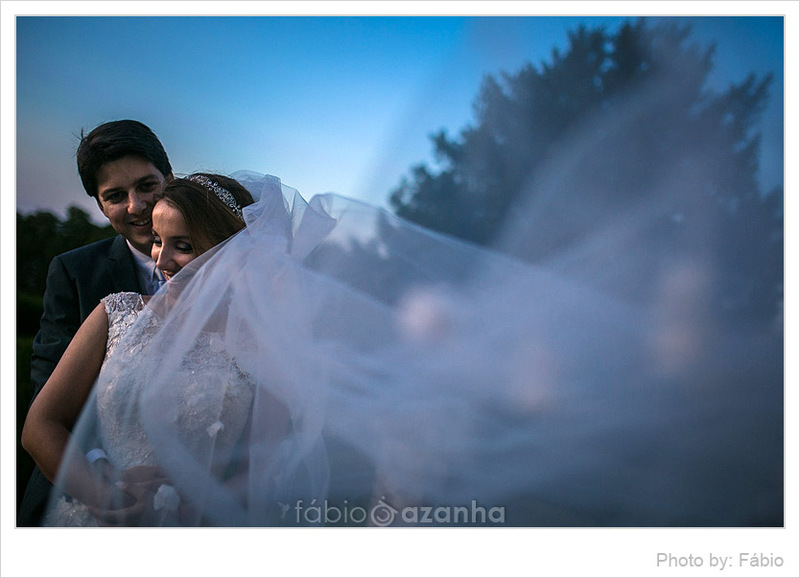 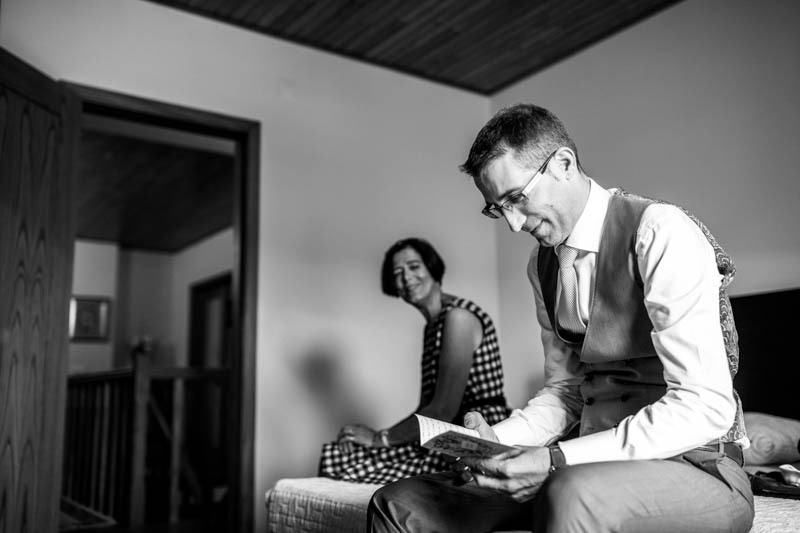 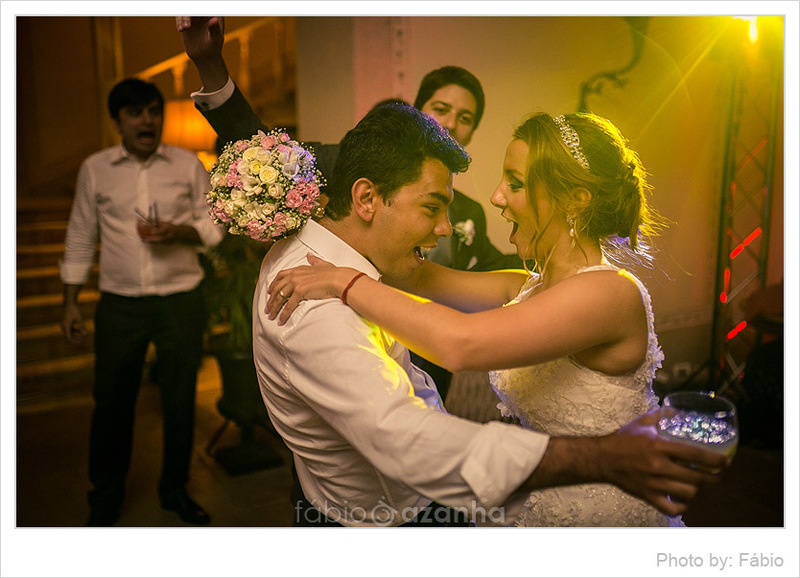 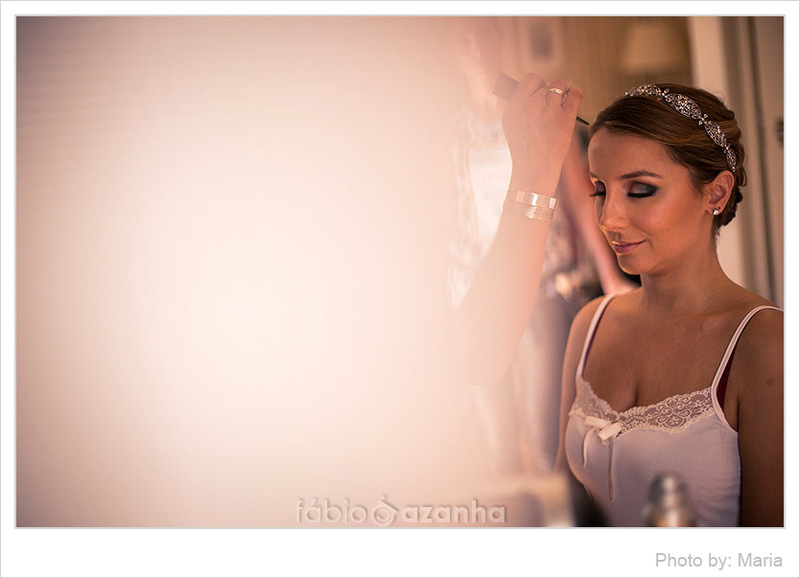 We were so lucky to be the photographers at this gorgeous couple´s Portugal Destination wedding. 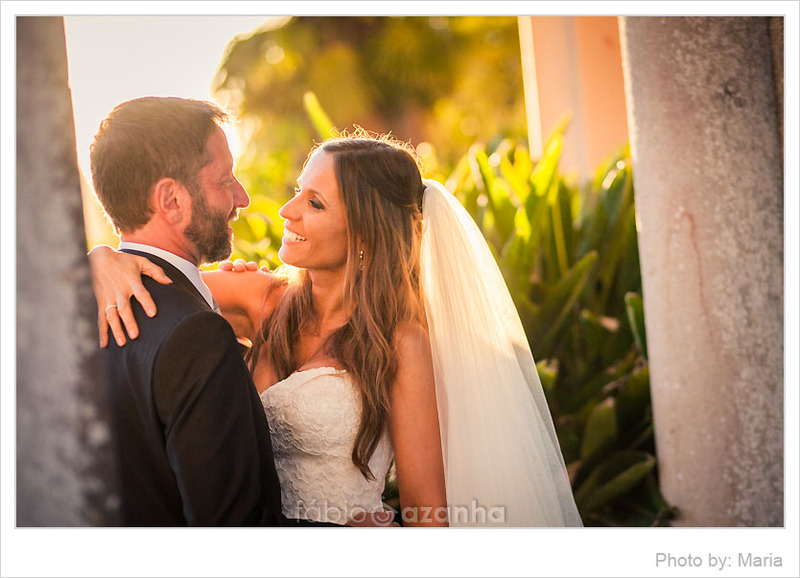 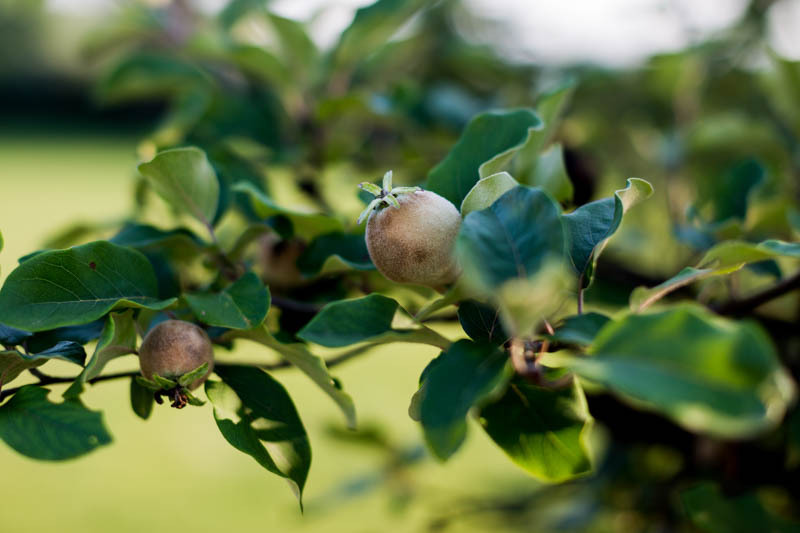 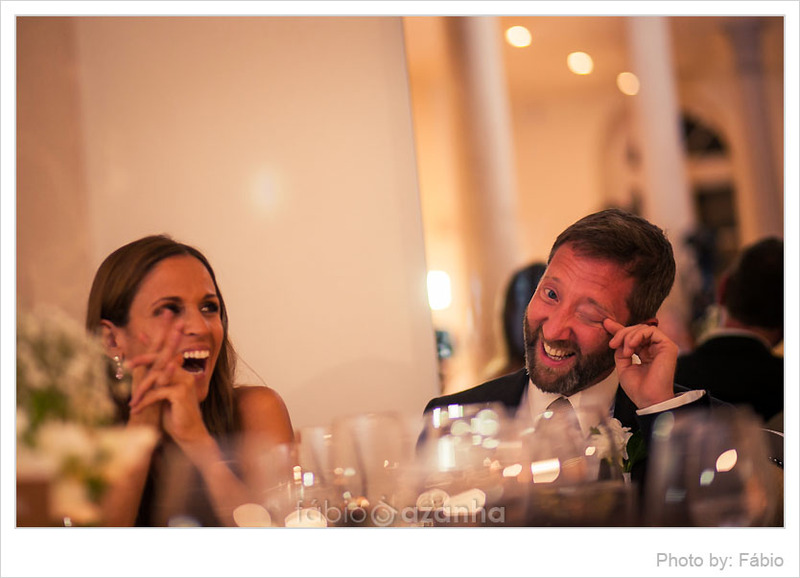 They are such a fantastic couple, and we are happy to have shared their story with you all. 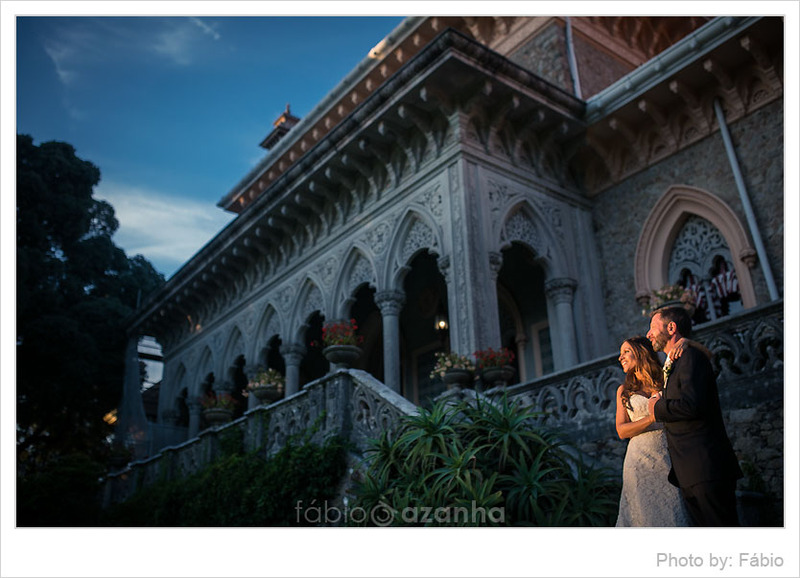 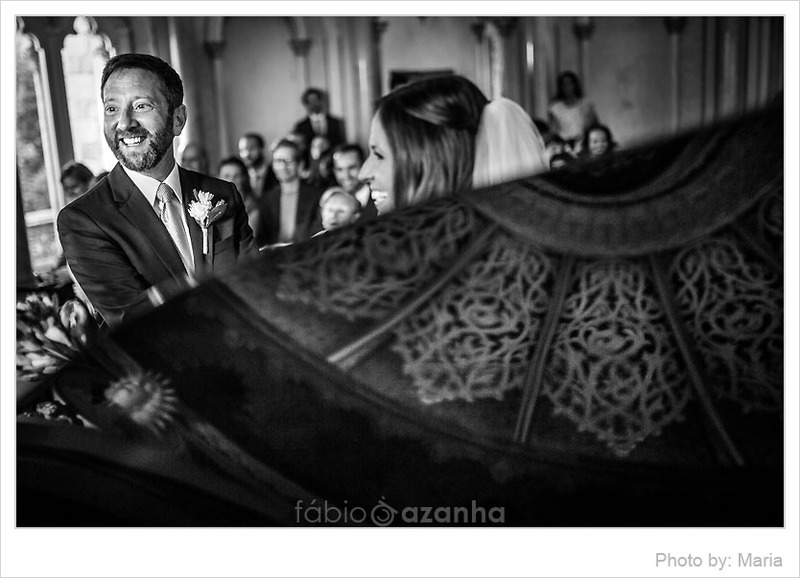 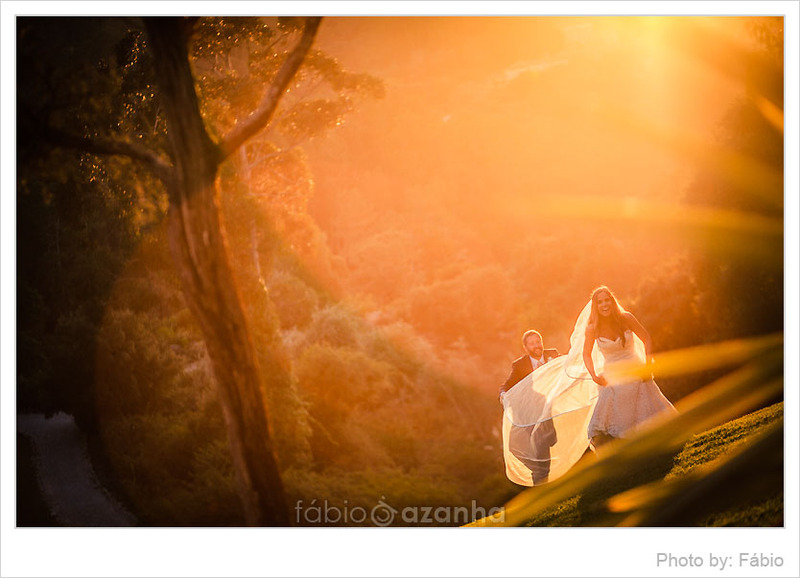 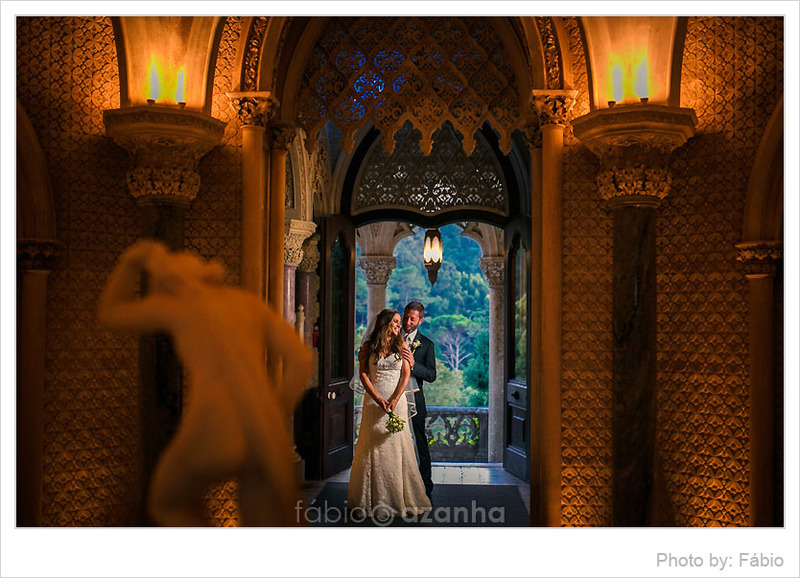 Such a beautiful Portugal Destination wedding in Monserrate Palace that we are happy to be a part of. 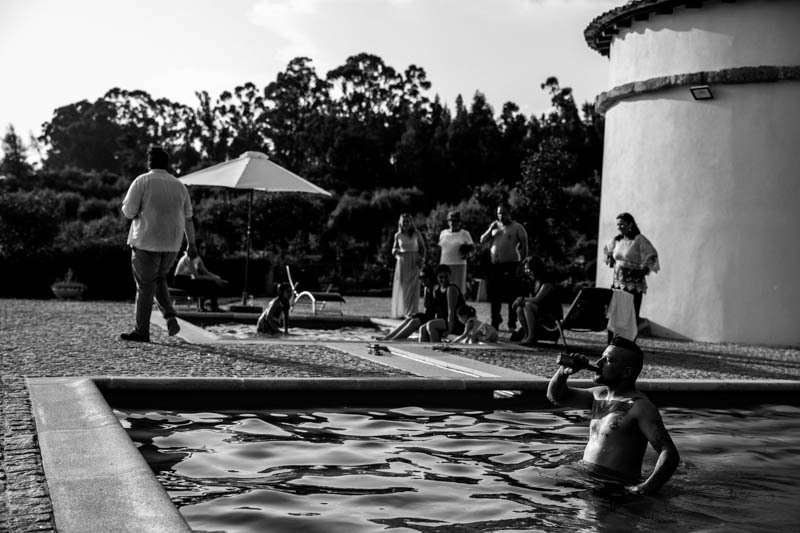 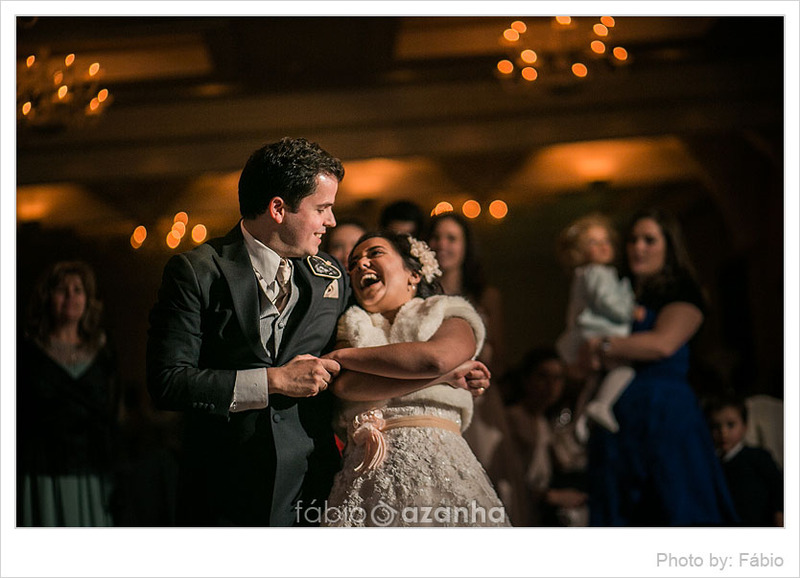 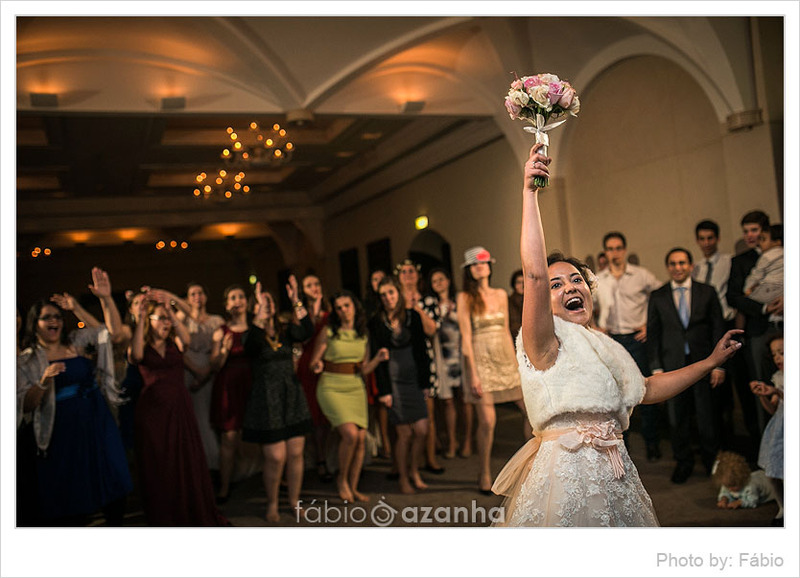 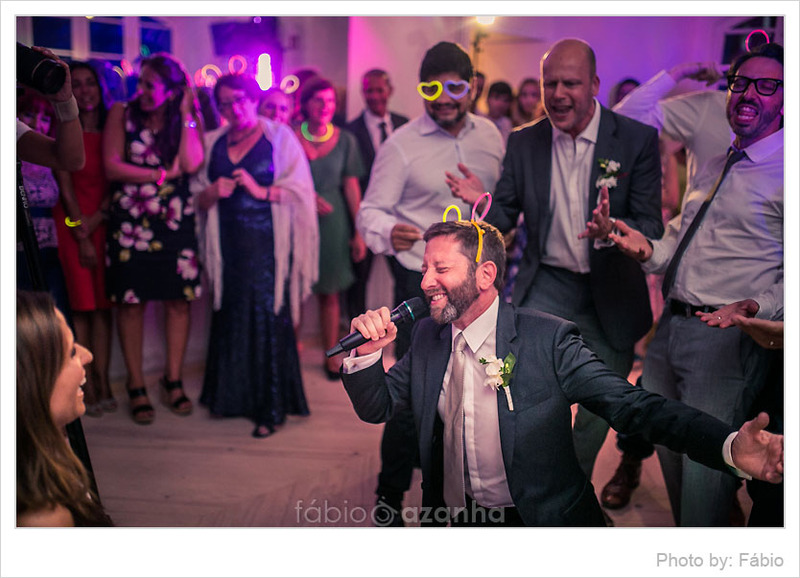 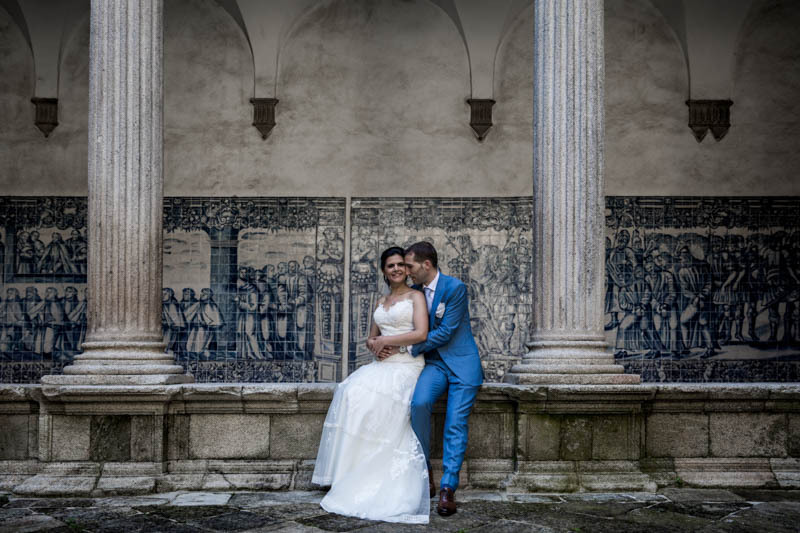 It was Penha Longa Golf Resort that hosted the Portugal Destination wedding of Aditi and Jerónimo, a lovely couple that has their life settled in busy New York but decided to tie the knot in Portugal- the groom´s hometown. 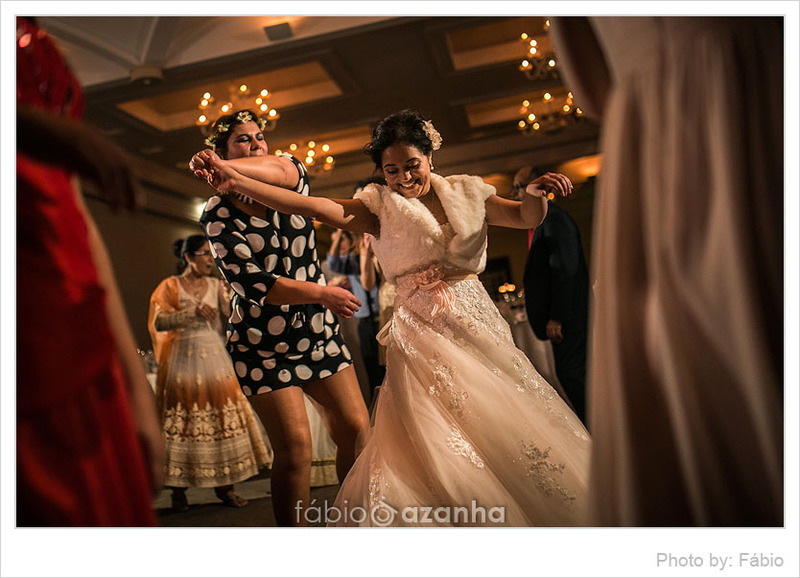 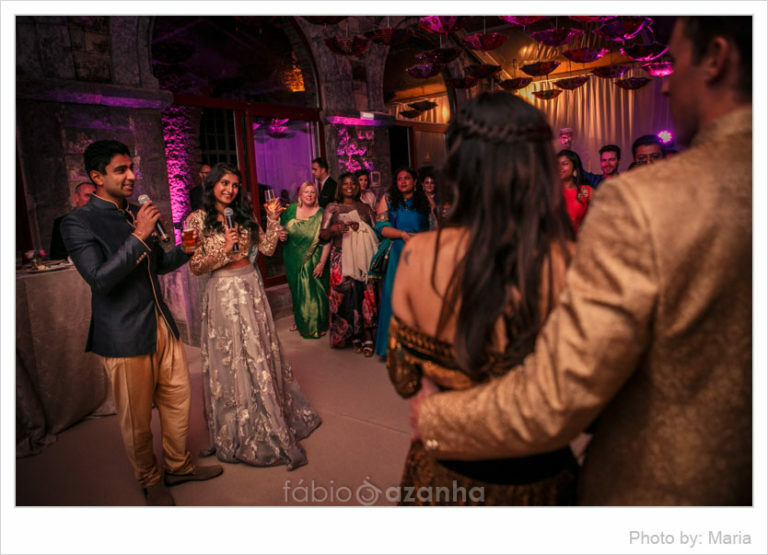 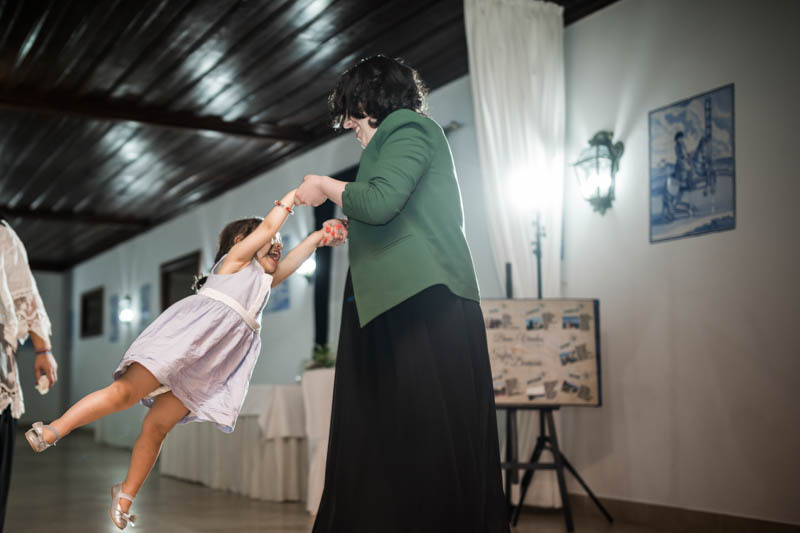 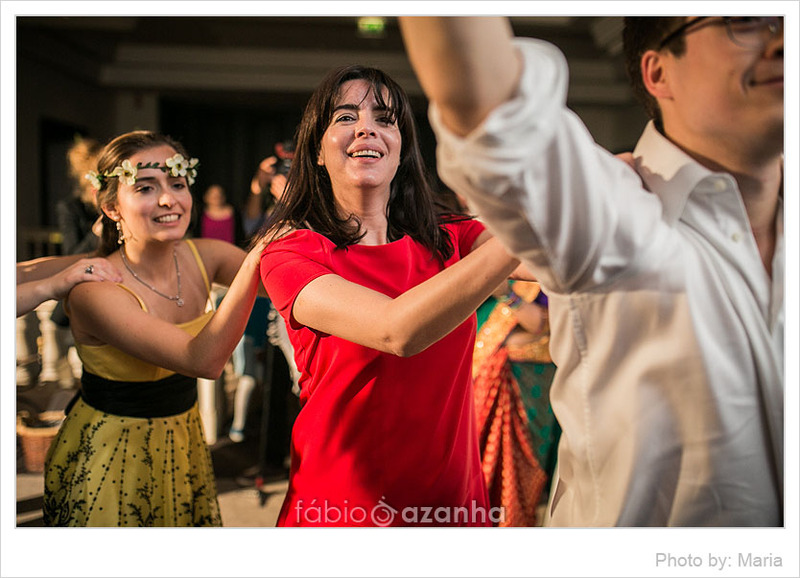 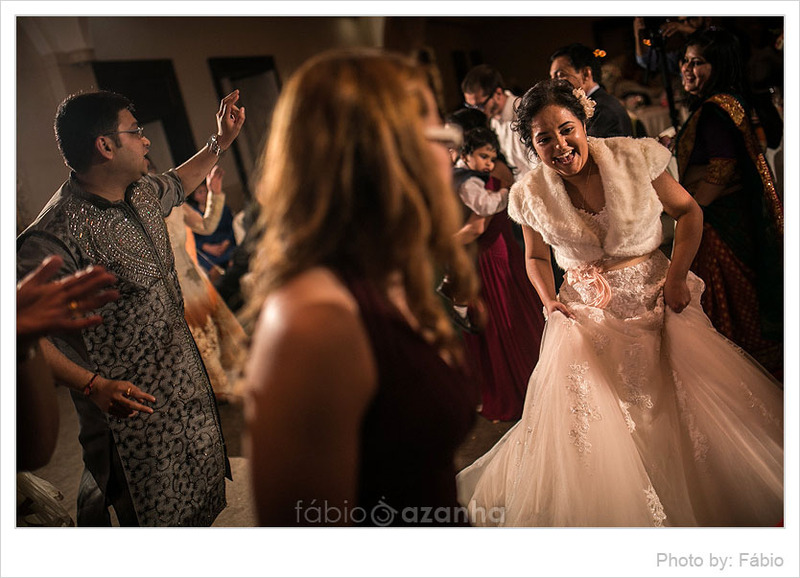 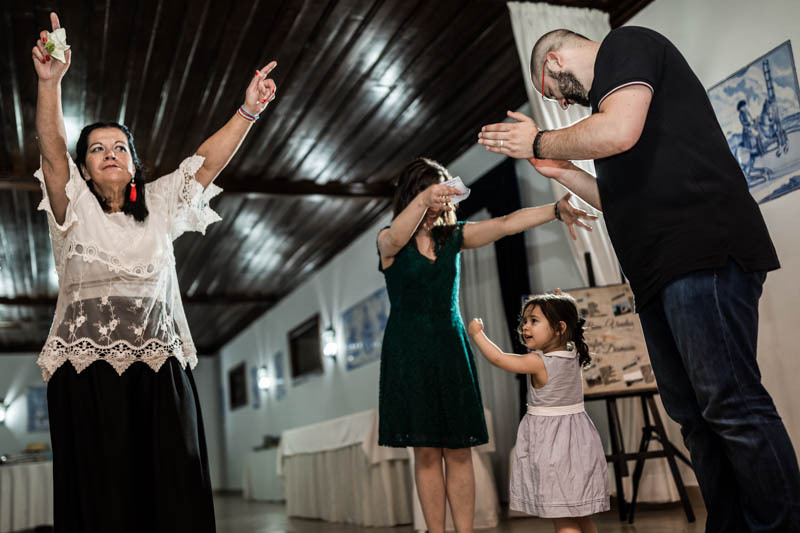 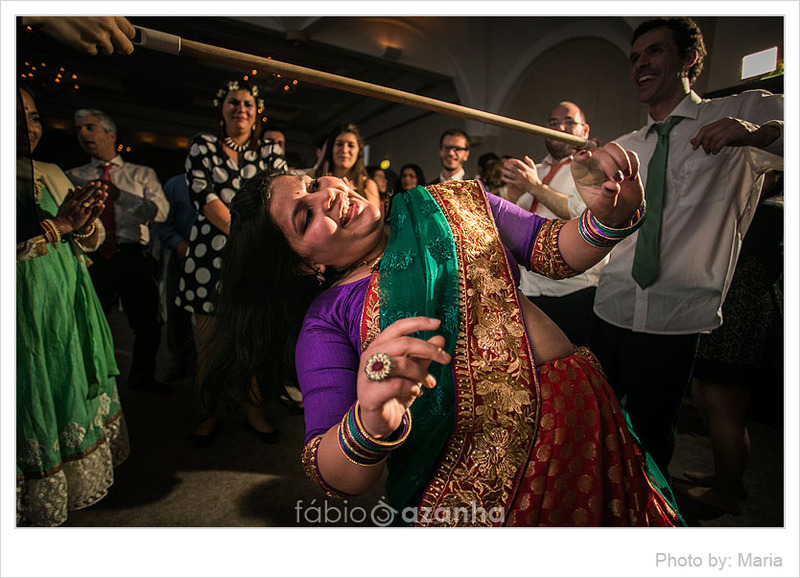 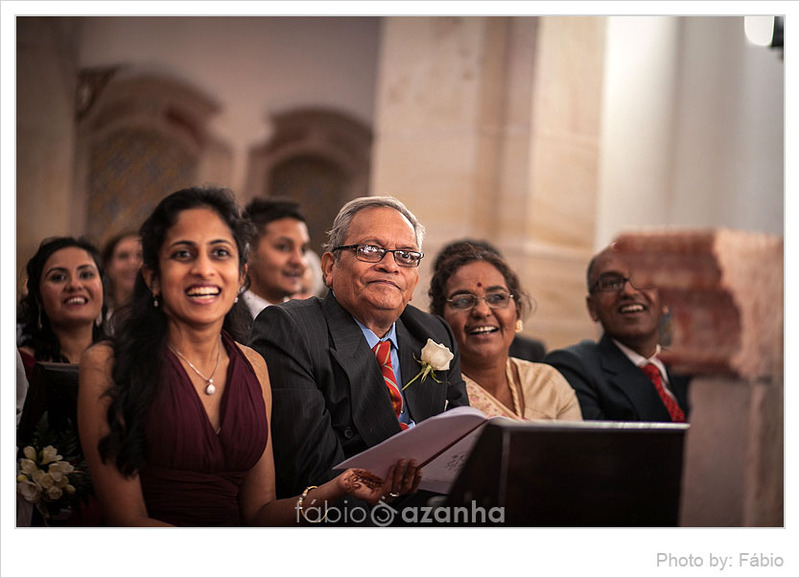 The bride is from India, and so her side of the family had to fly over, but they thoroughly enjoyed the venture which allowed them to get to know beautiful Portugal. 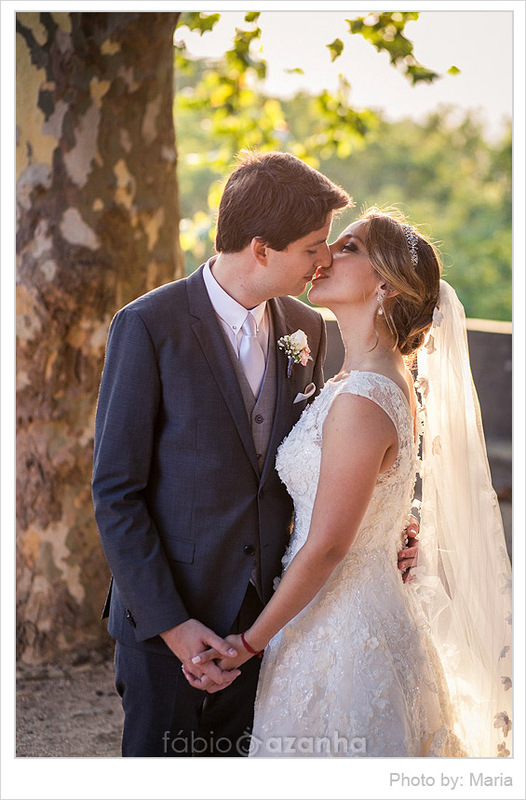 For the last four years together they spent time living in three different cities. 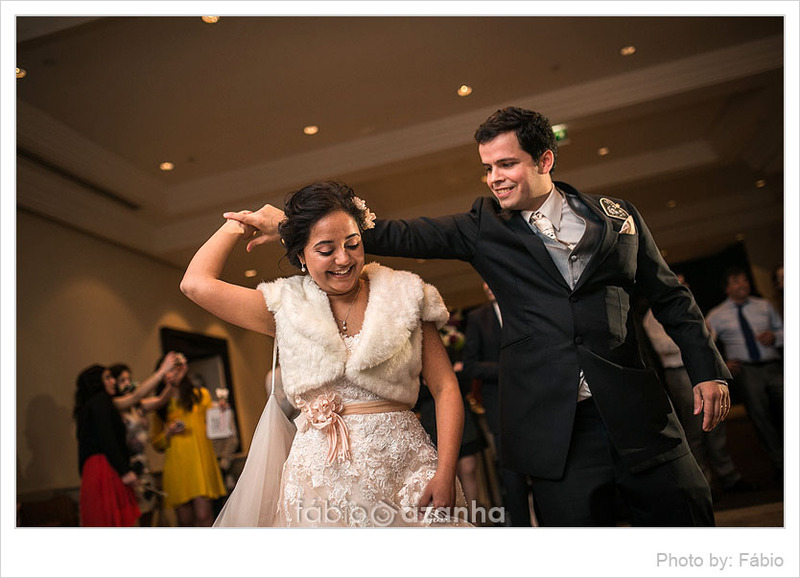 Their love for families, celebration, sharing, and togetherness, was an inspiration for how they wanted their wedding to be. 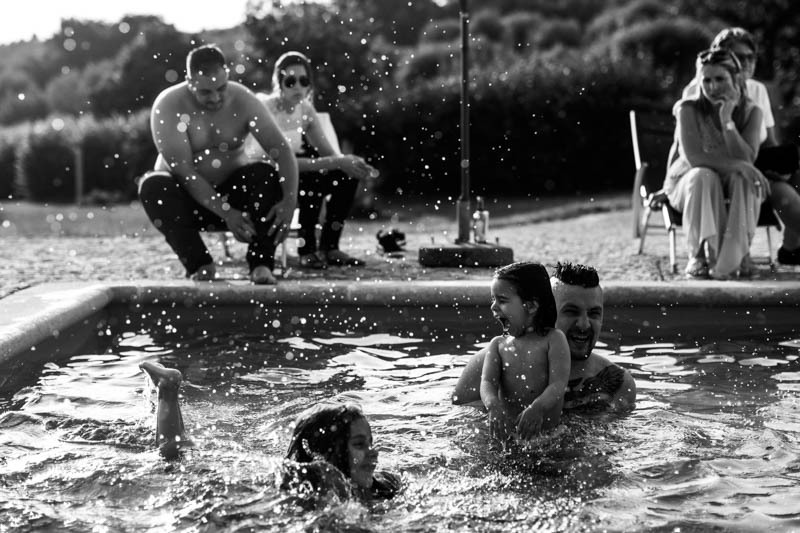 Something about being in a with their friends and families makes them completely present with each other. 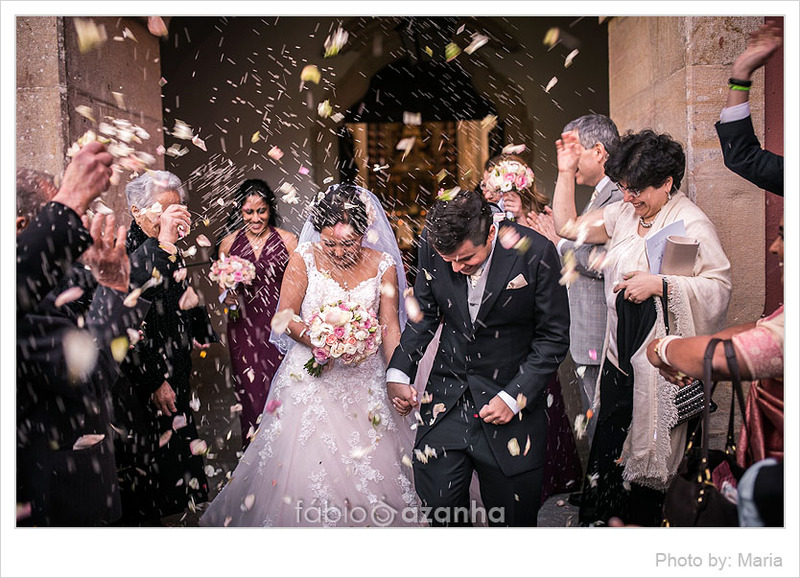 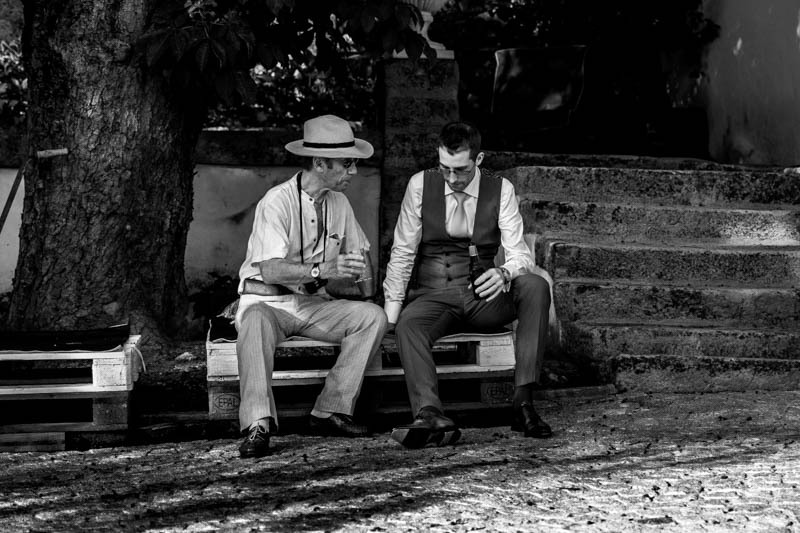 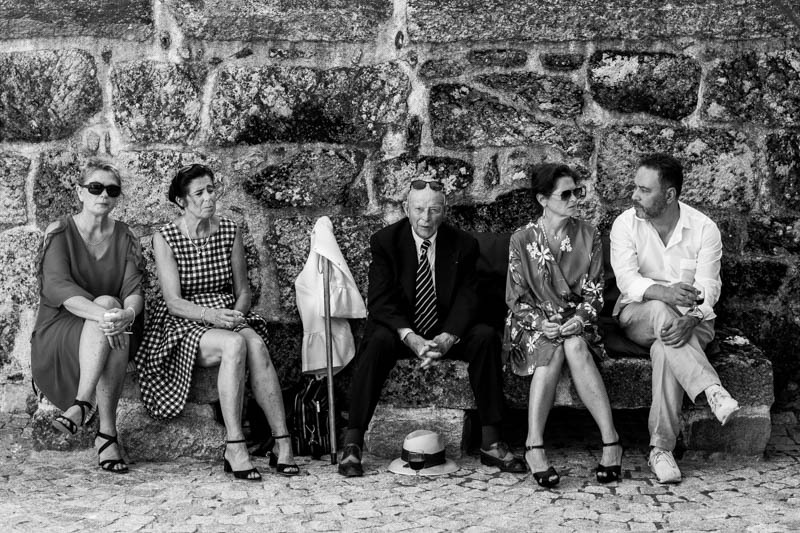 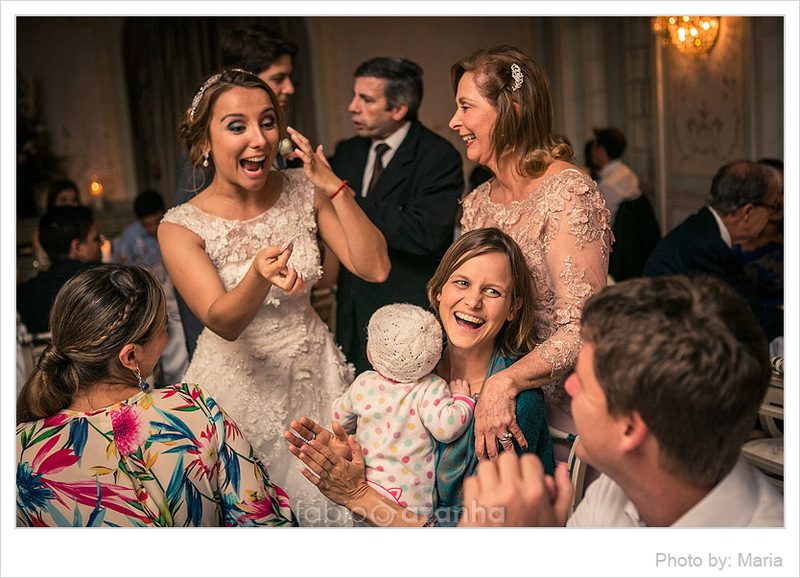 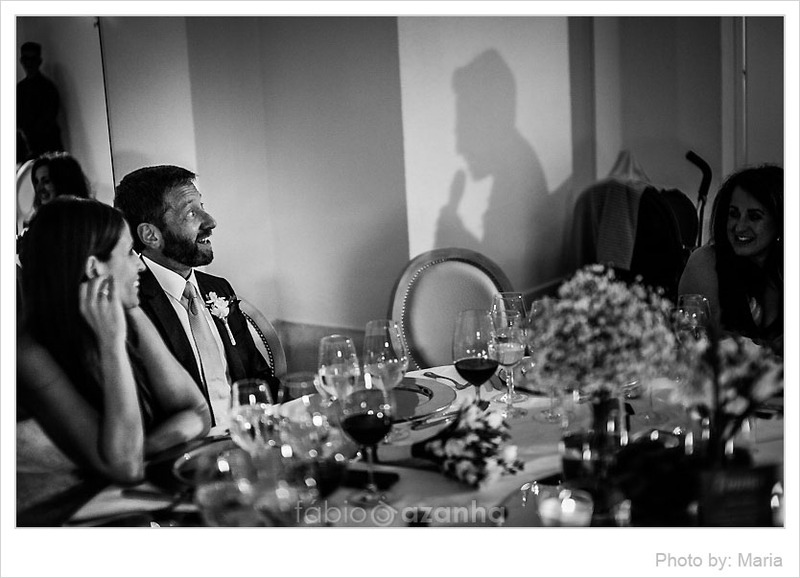 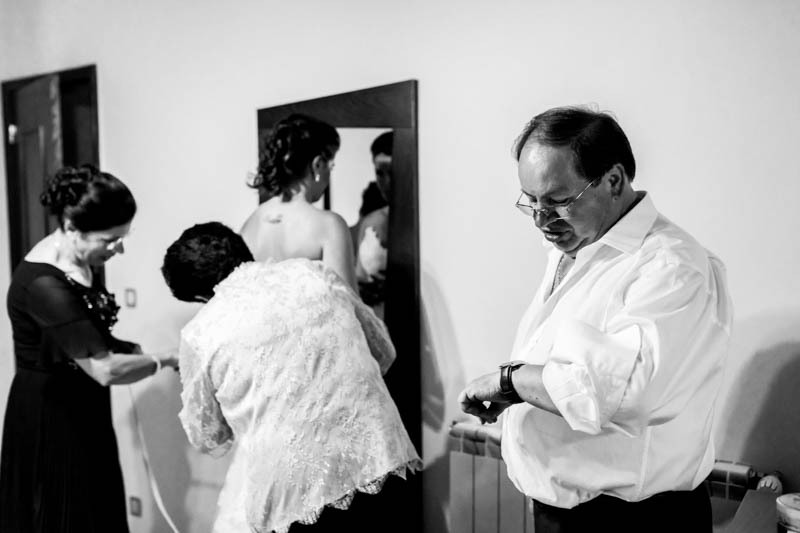 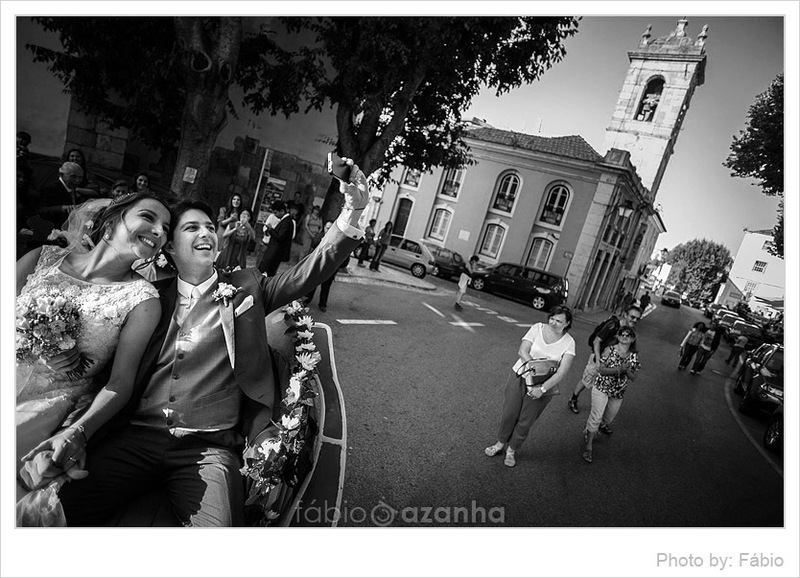 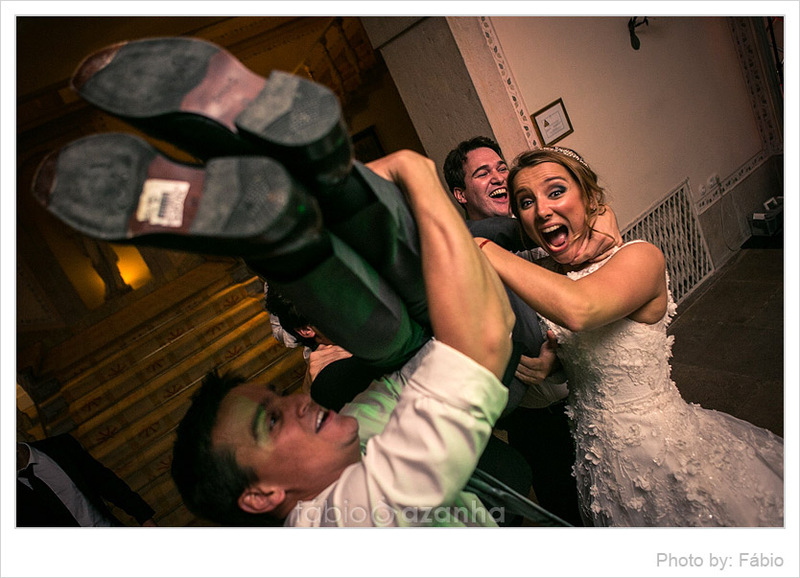 And so their Portugal Wedding had to be with all their loved ones cherishing and sharing those special moments. 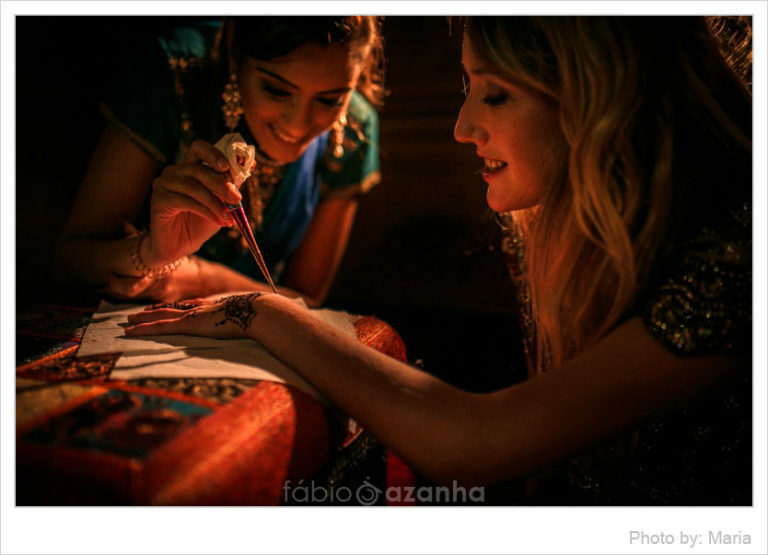 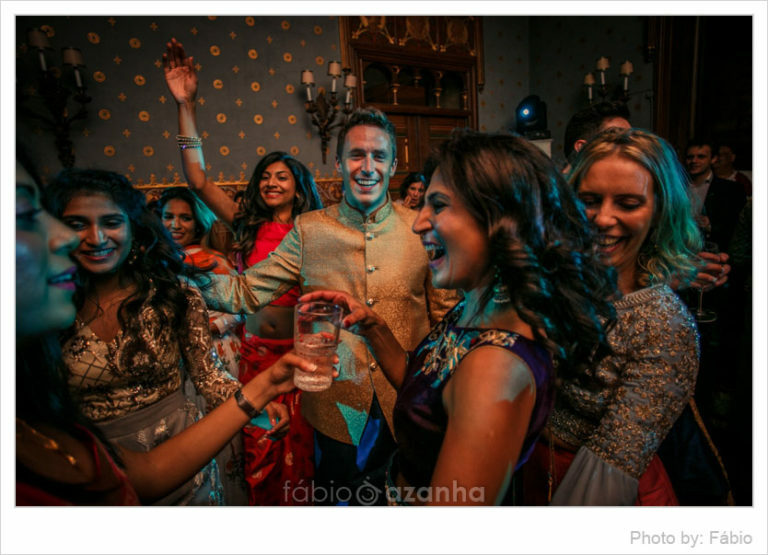 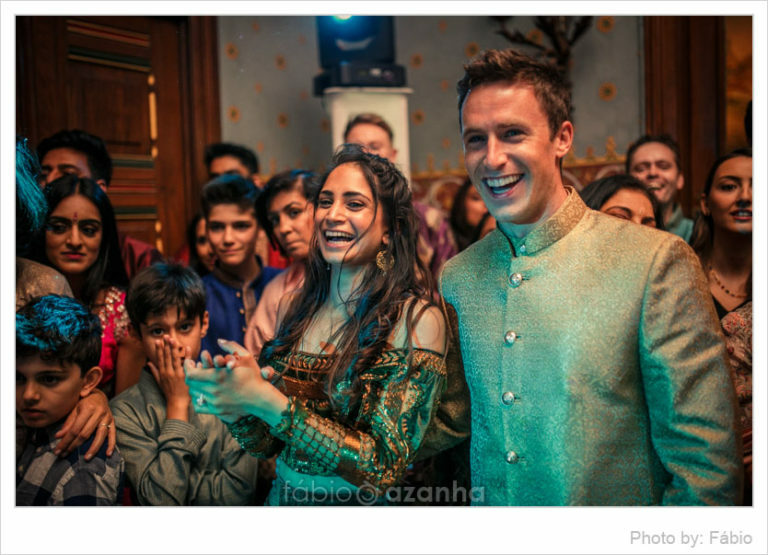 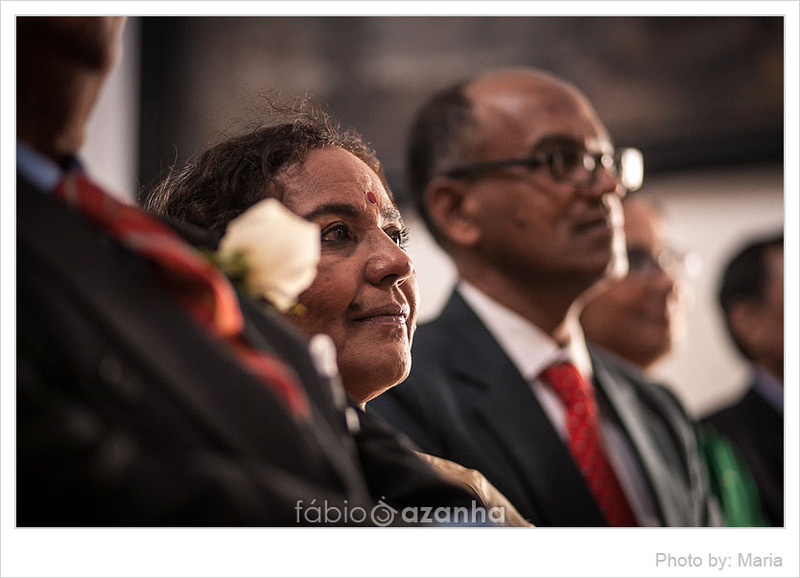 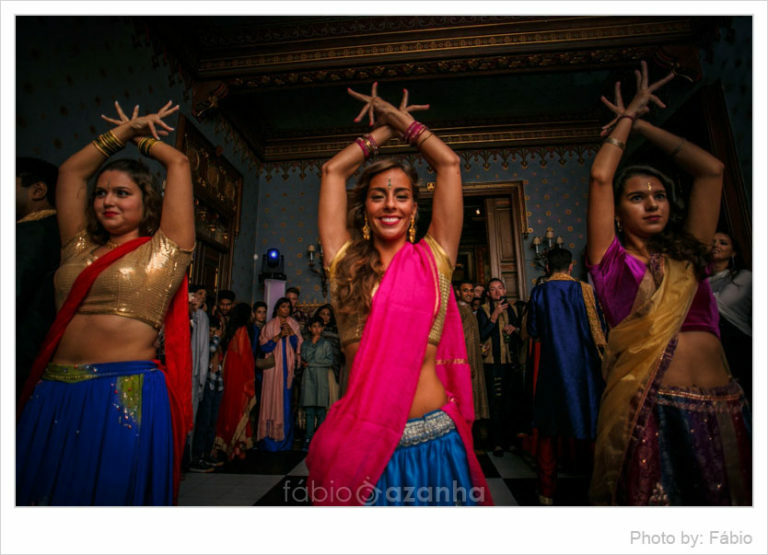 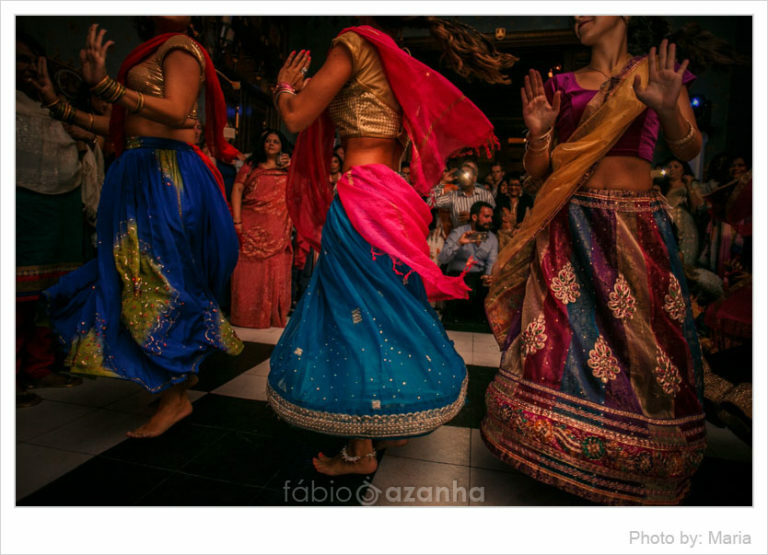 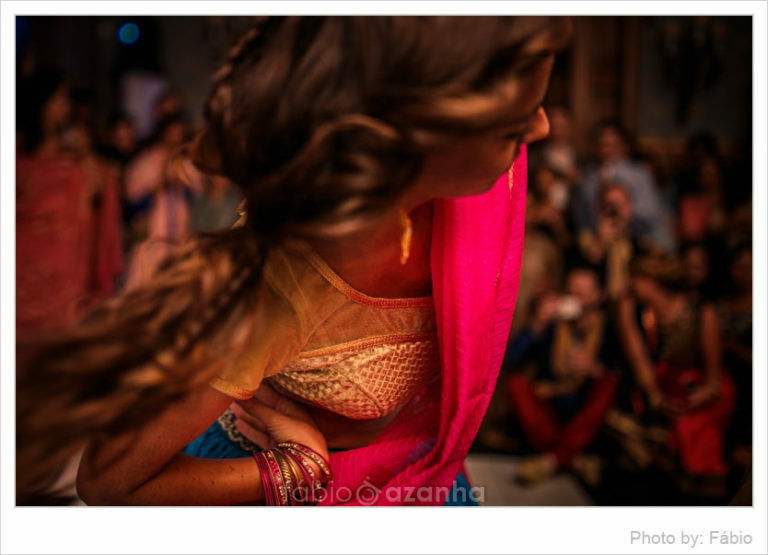 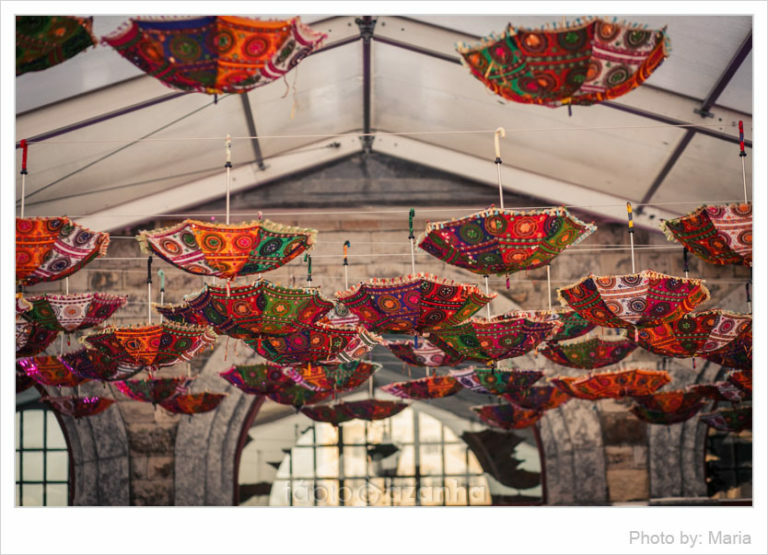 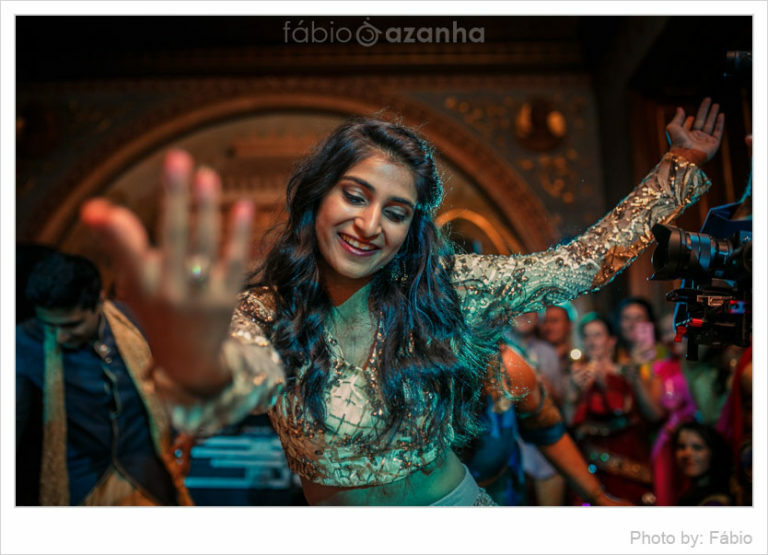 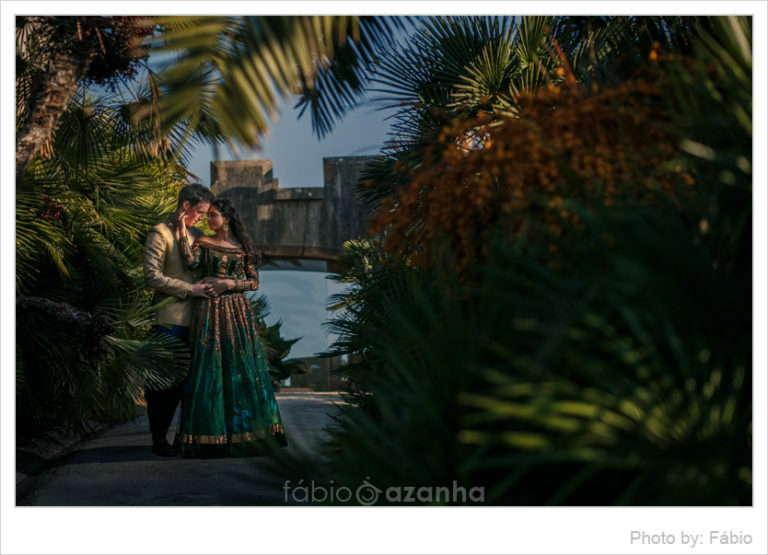 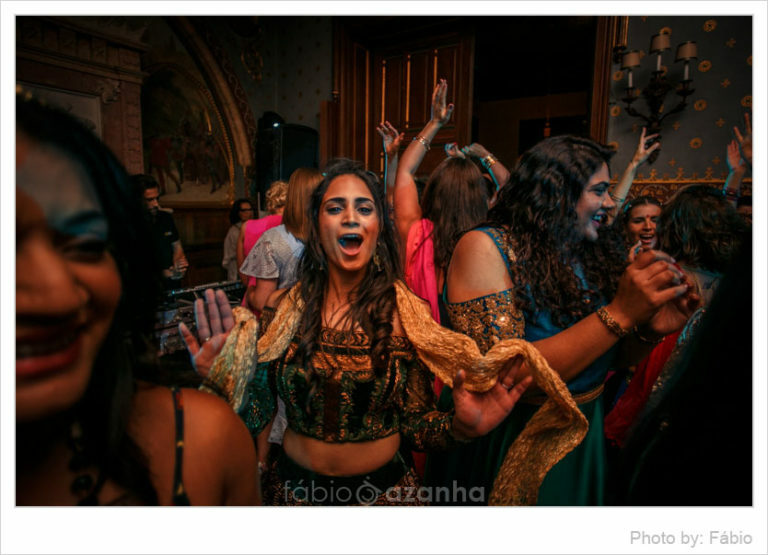 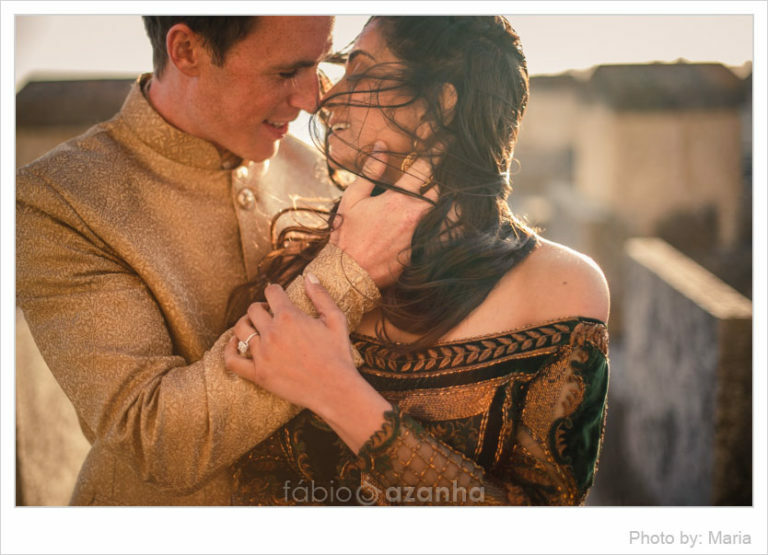 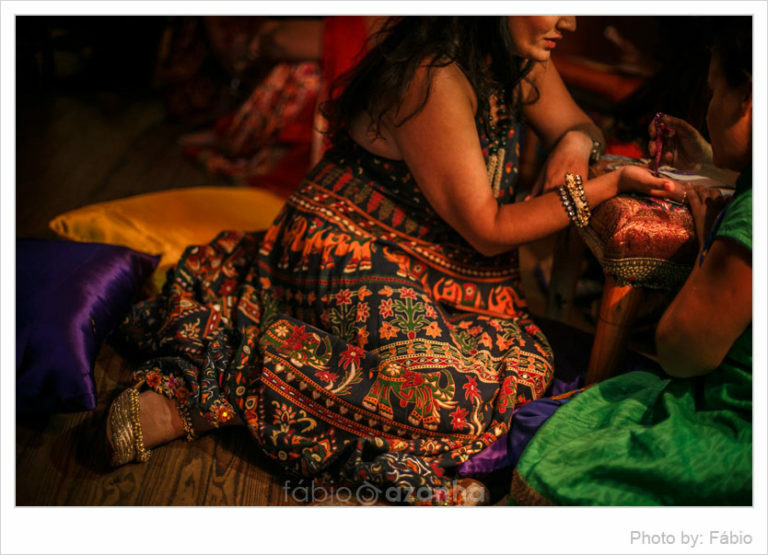 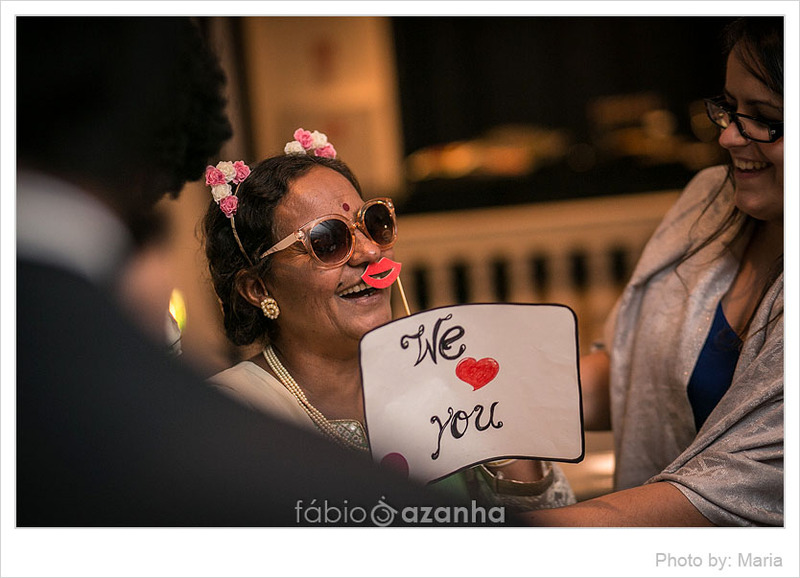 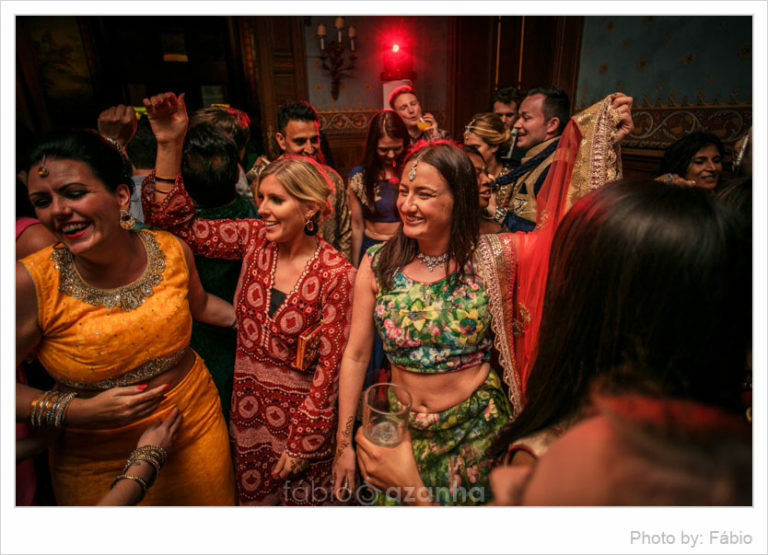 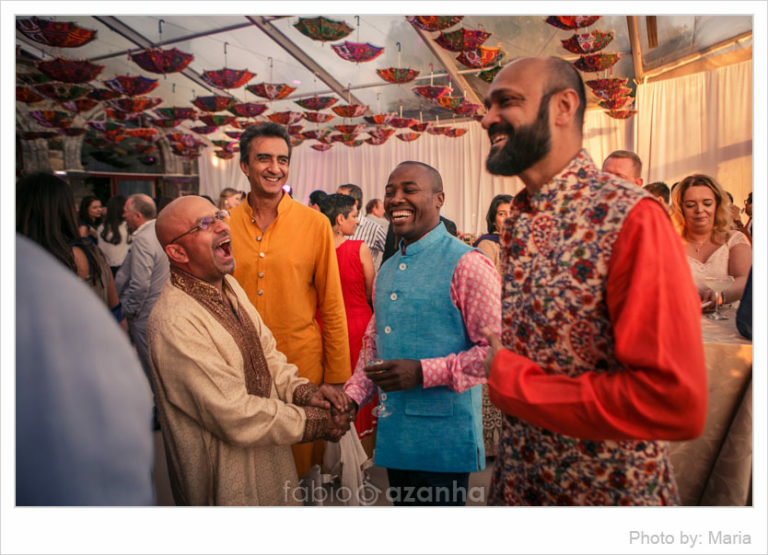 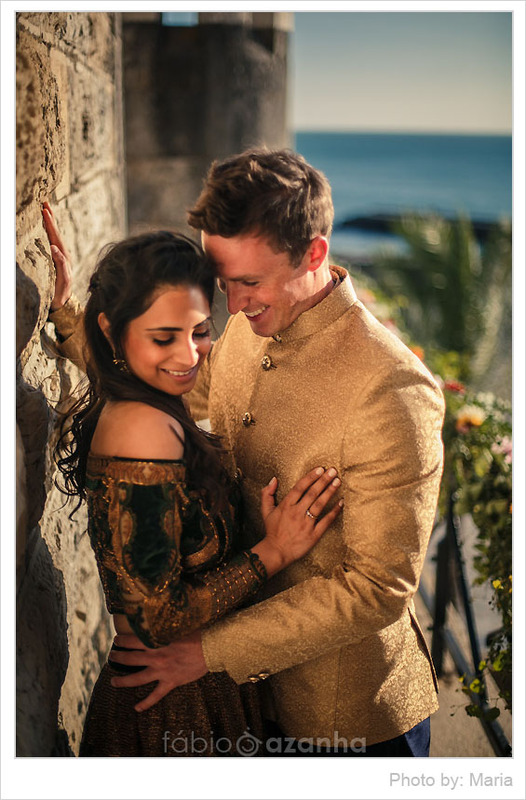 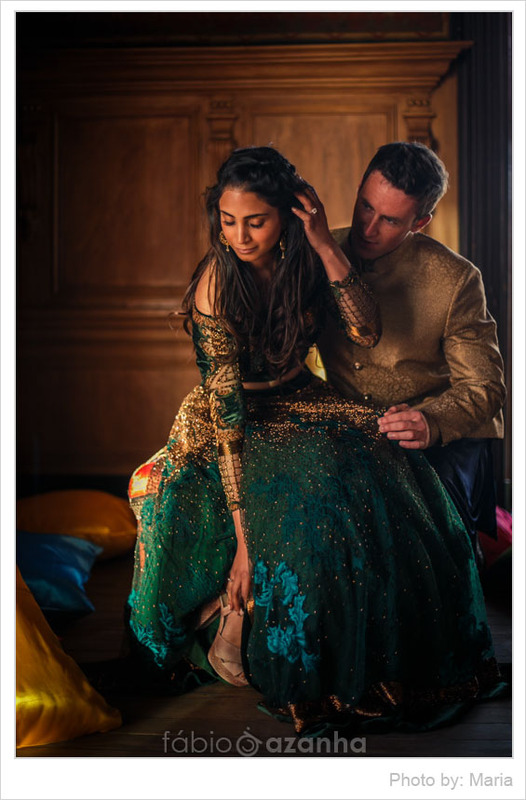 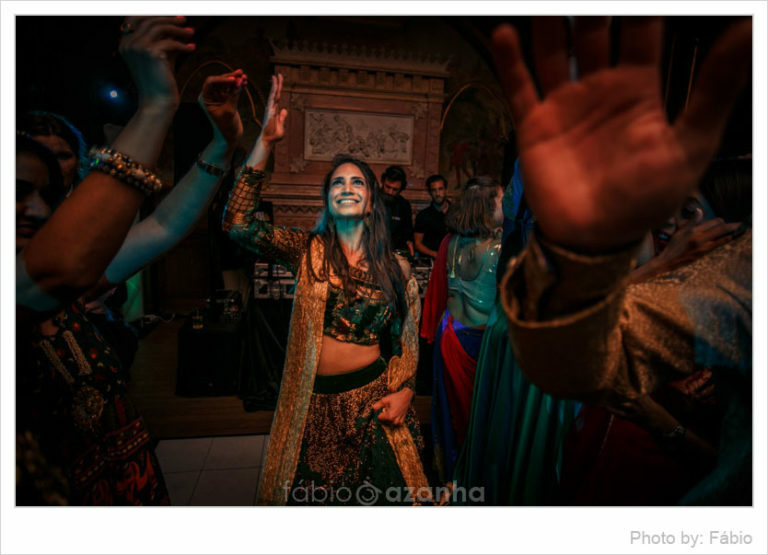 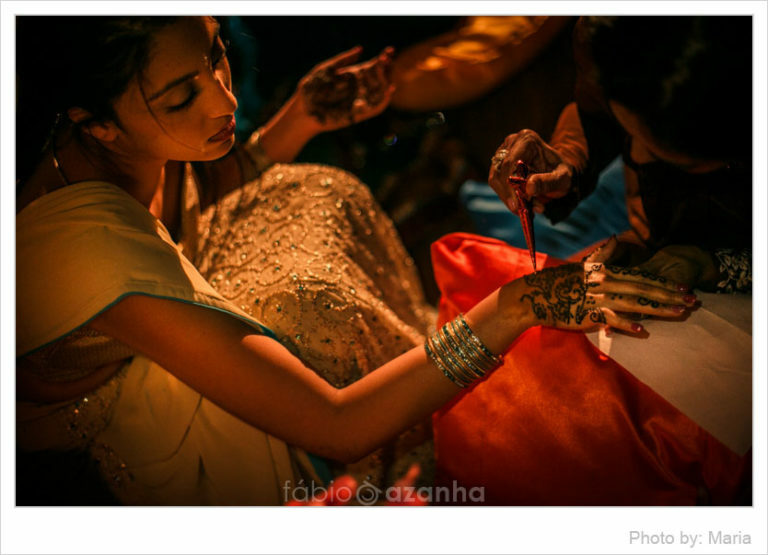 Many Indian culture touches had made the wedding extra special, and as Portugal wedding photographer it brought up so much vividness and exotic feel that the pictures speak for themselves. 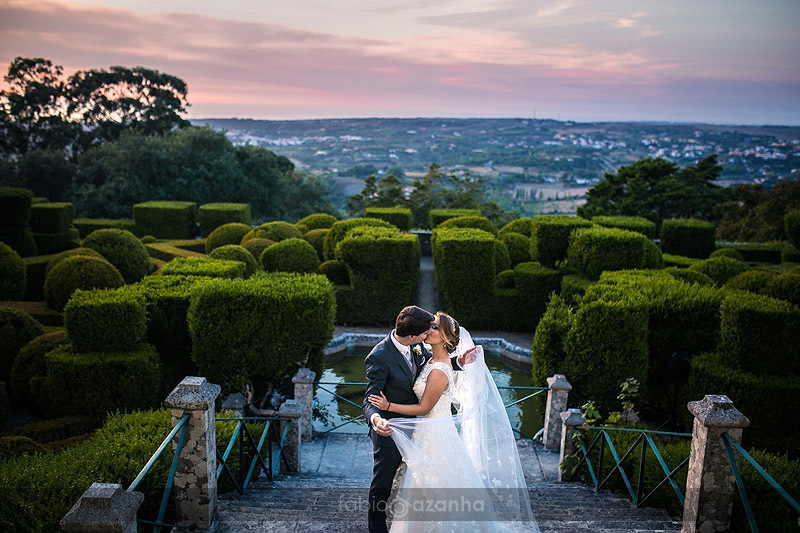 There are a lot of great Portugal Wedding Venues, and Penha Longa Golf Resort is one of the great places where couples can enjoy their wedding day in an elegant yet intimistic fashion. 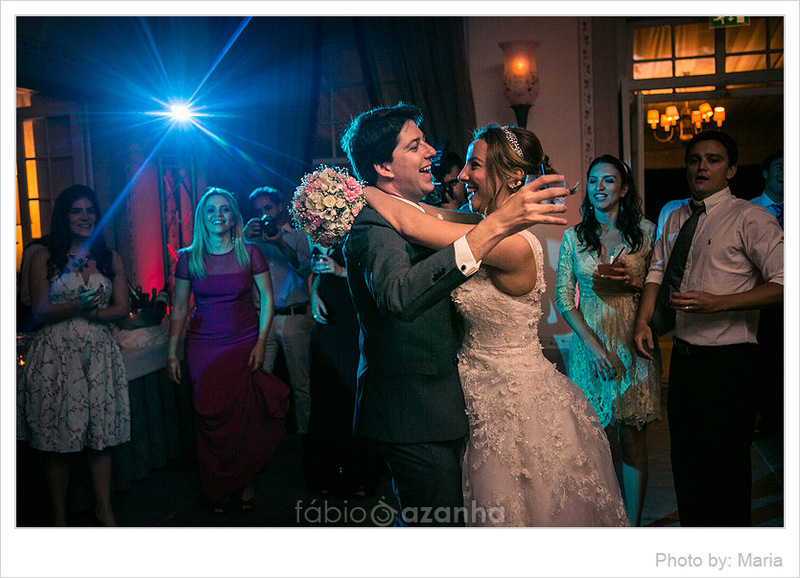 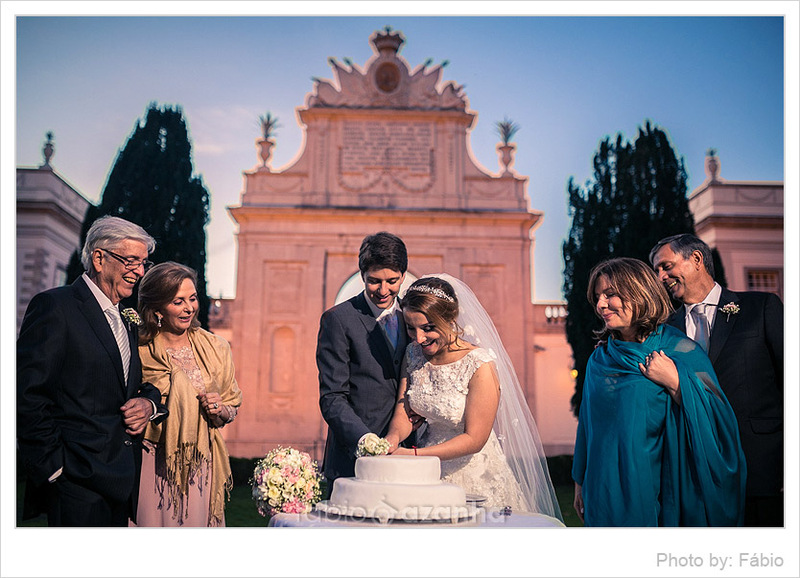 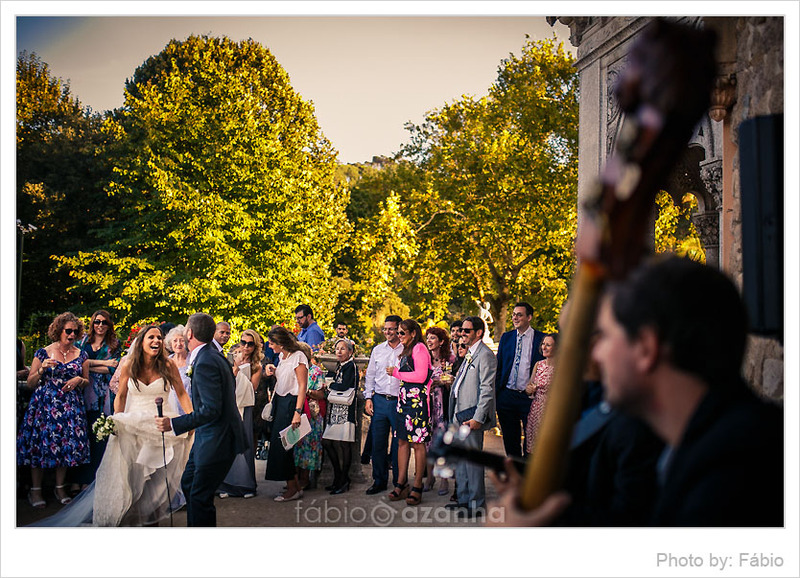 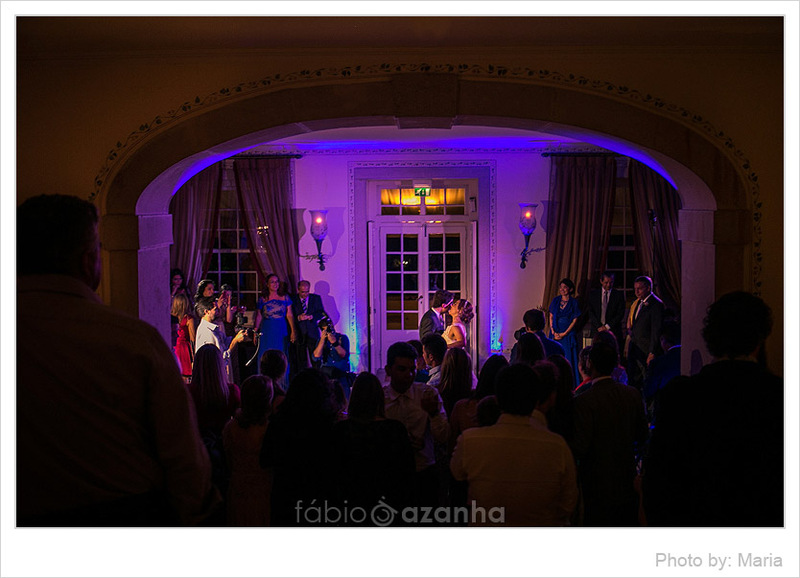 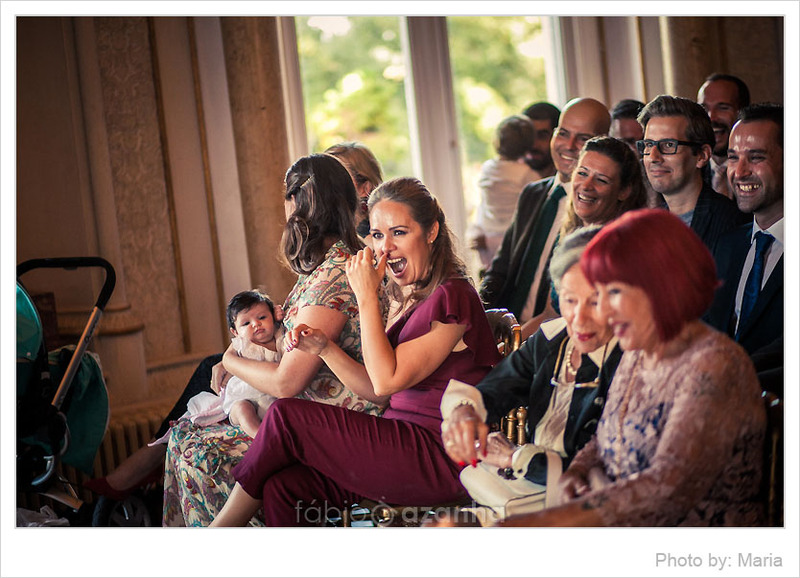 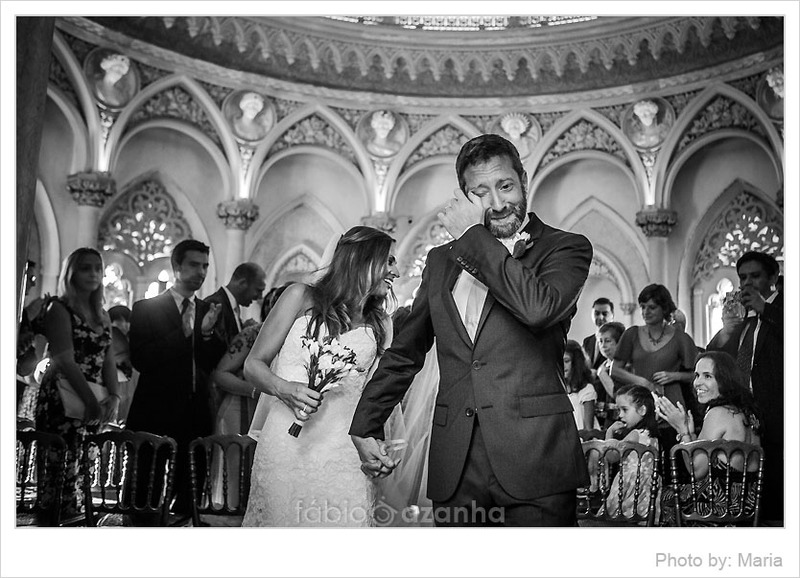 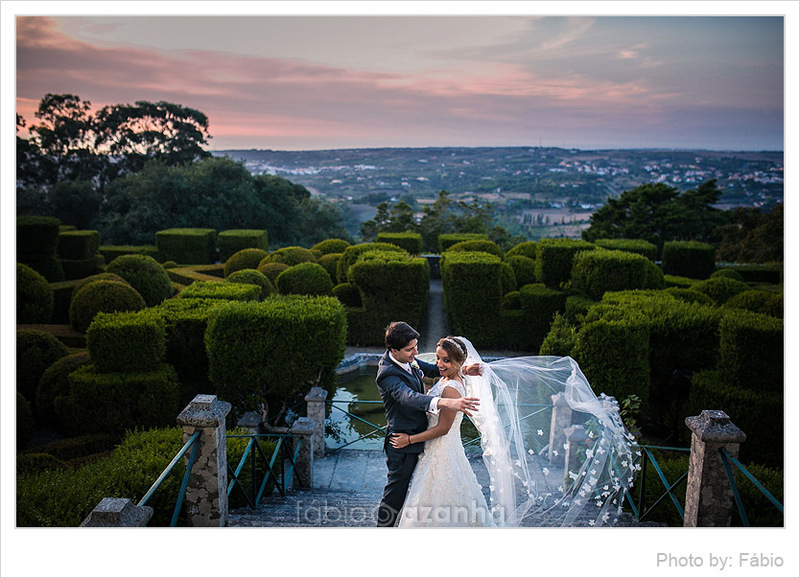 It has been one of a time wedding in Portugal that occurred at the grounds of Tivoli Seteais Palace in Sintra. 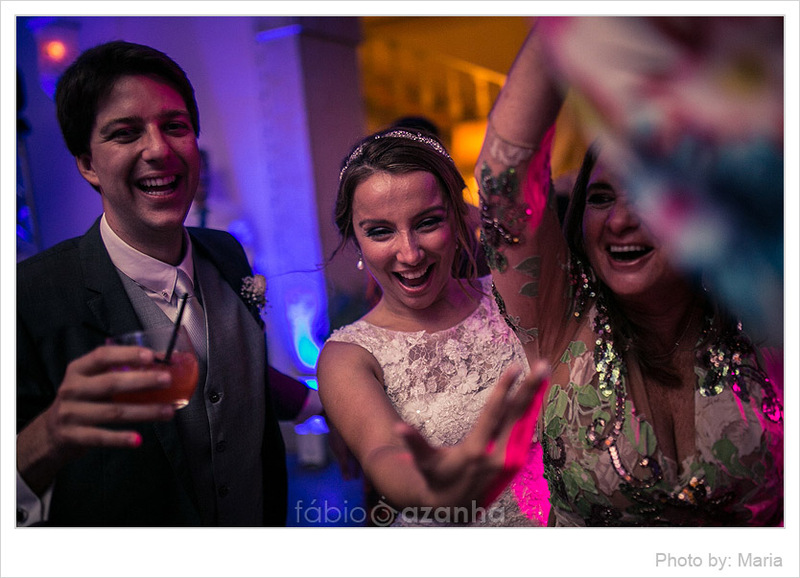 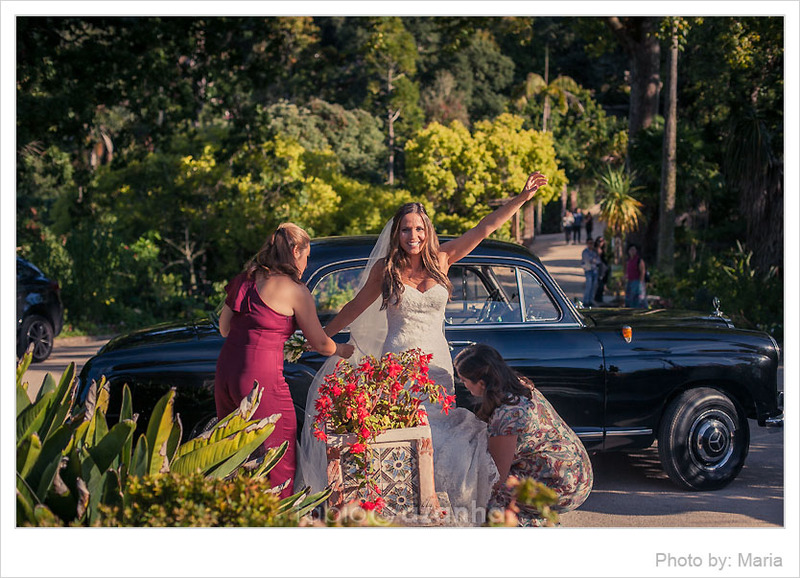 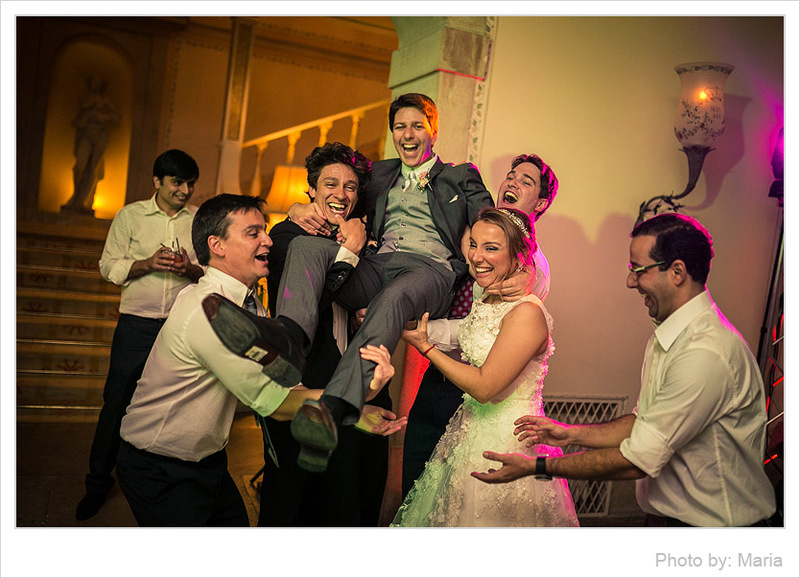 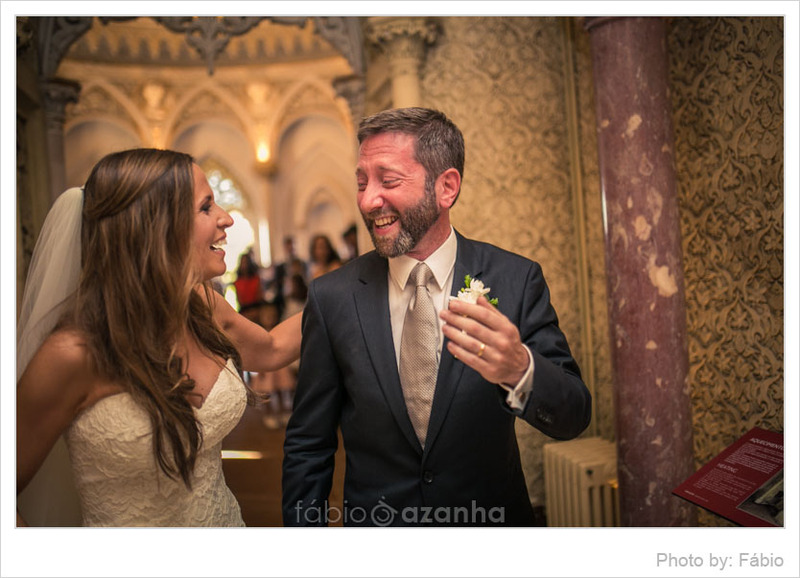 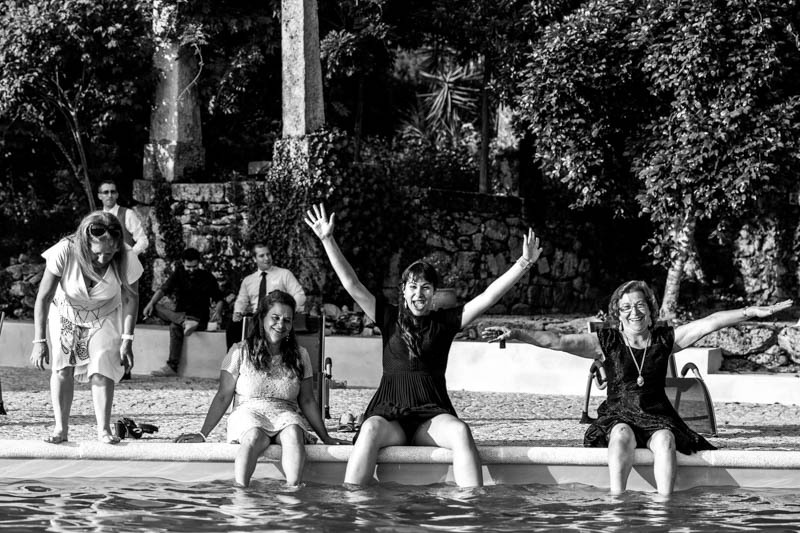 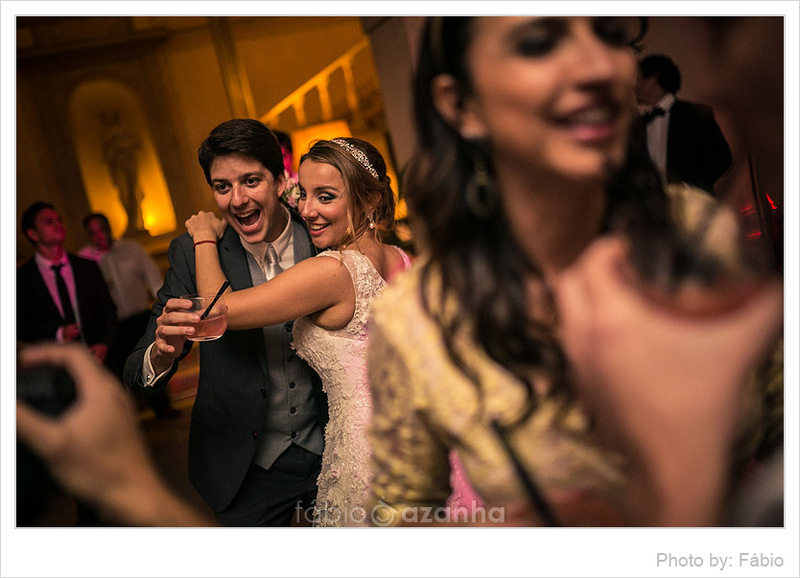 The couple had chosen us to be their Portugal wedding photographers, and we couldn´t be more thrilled that we were chosen to attend this happy bunch that came all the way from Brazil to celebrate this romantic Sintra Wedding. 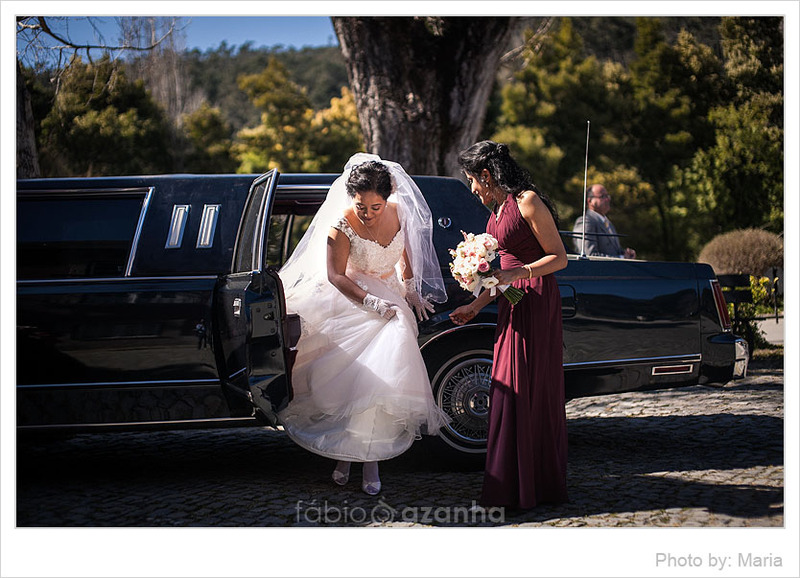 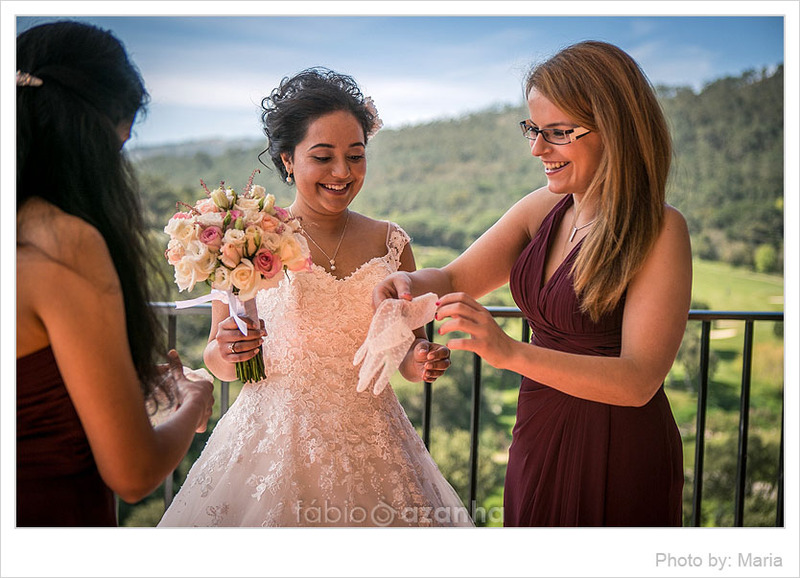 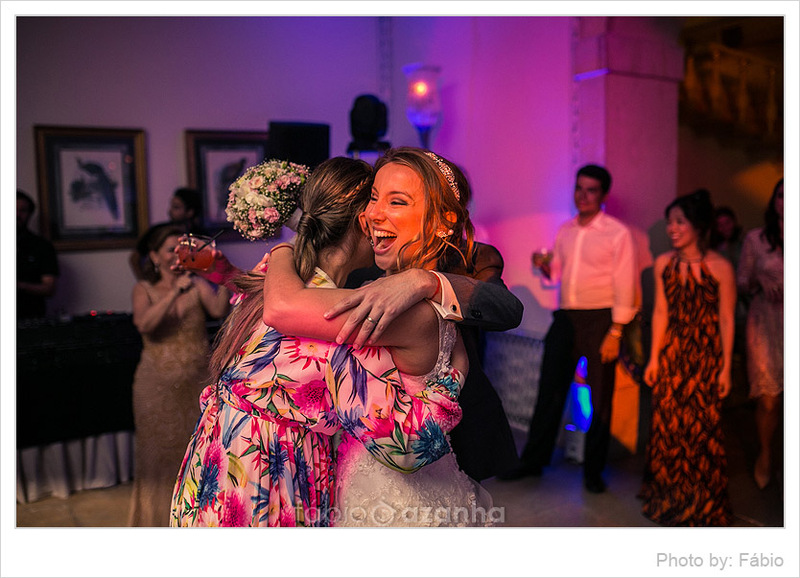 Everything was done to perfection, and the couple´s guests not only took with them happy new marriage memories, but also a fabulous impression of the ever so romantic Sintra region of Portugal.